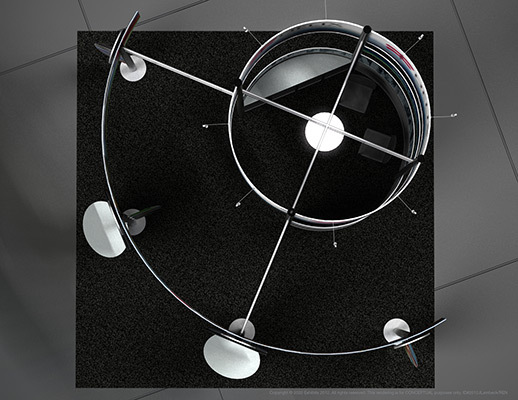 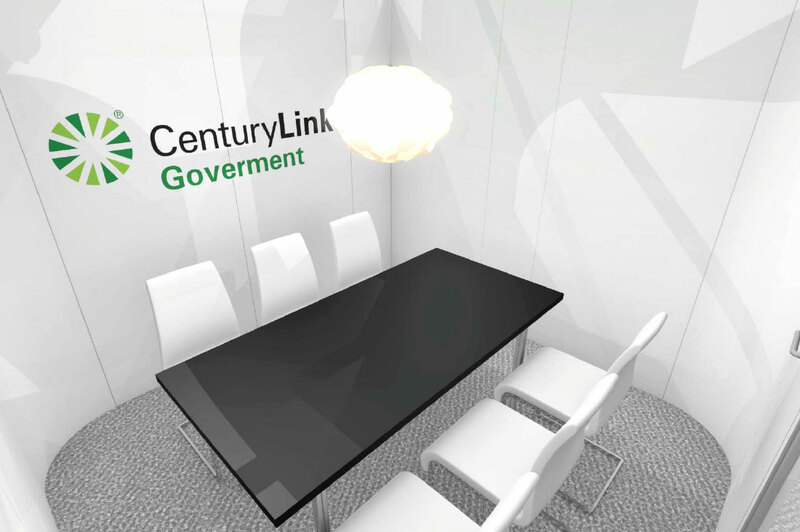 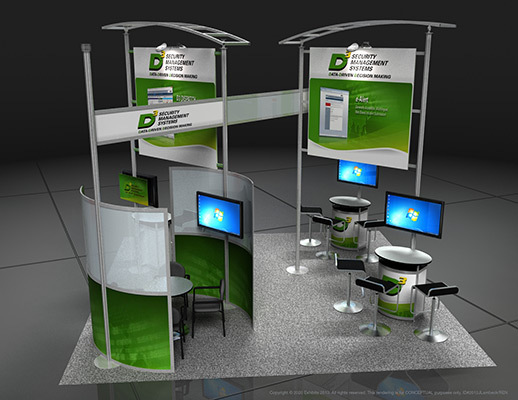 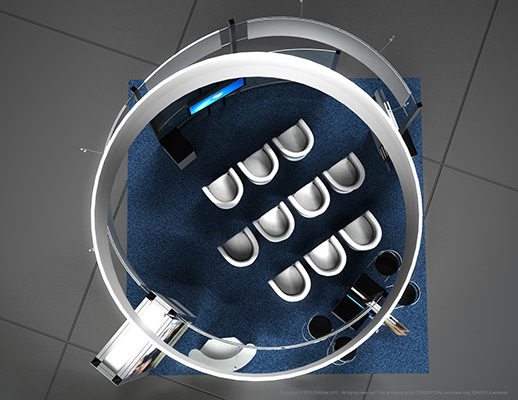 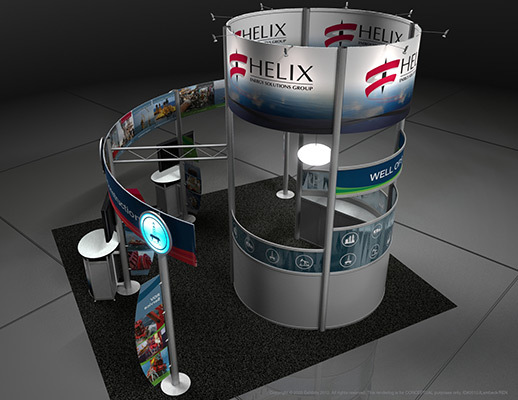 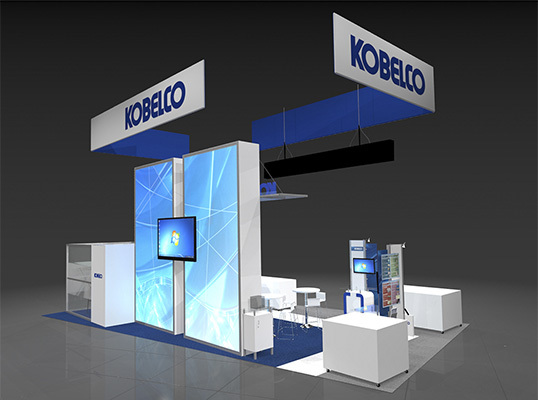 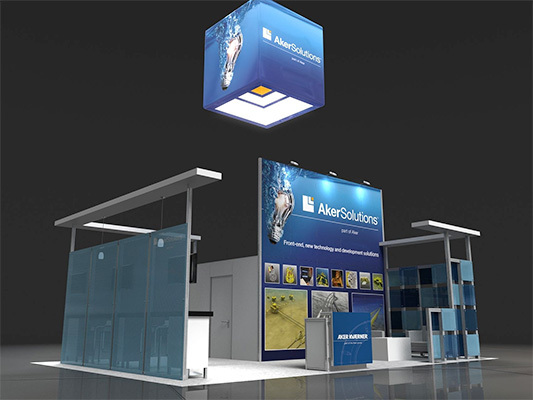 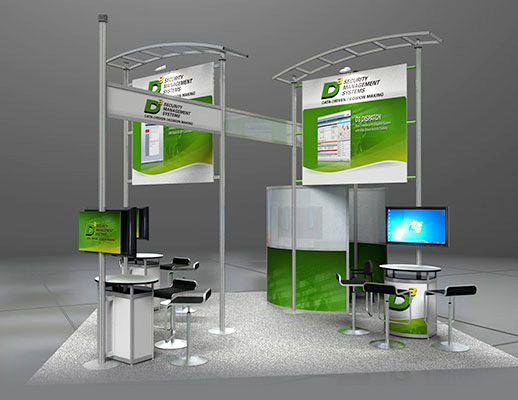 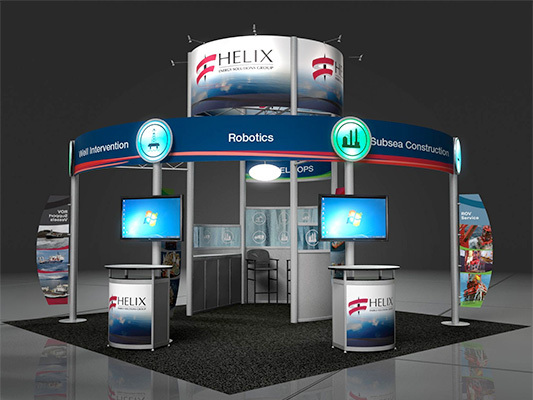 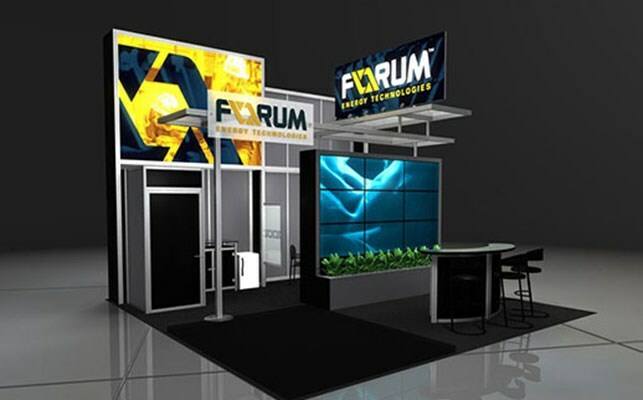 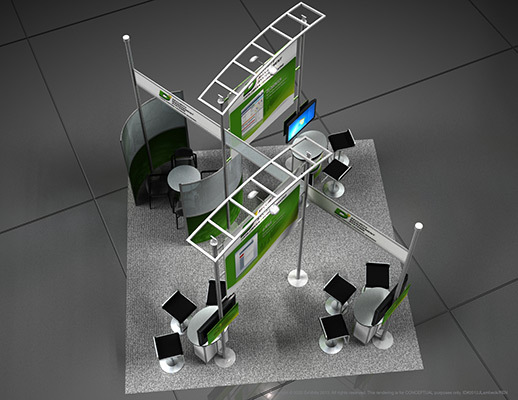 Dual overhead logo signs delineate the area into one area designed for open conversations and meetings with the other designed for information and browsing. 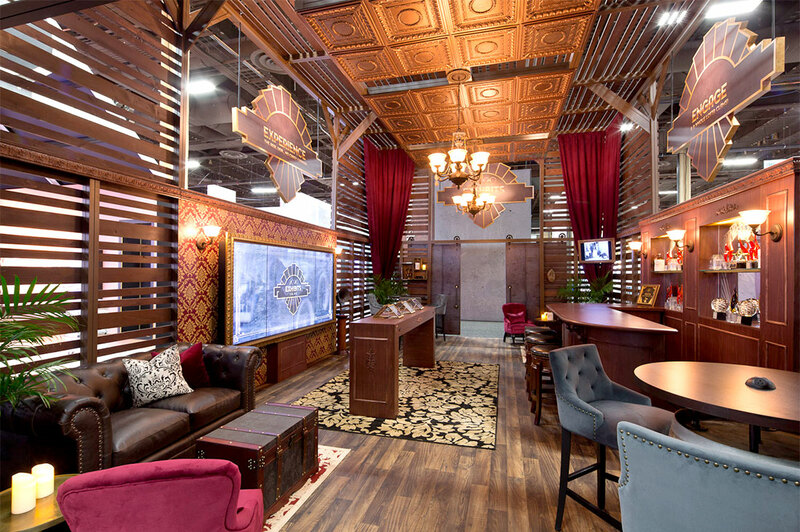 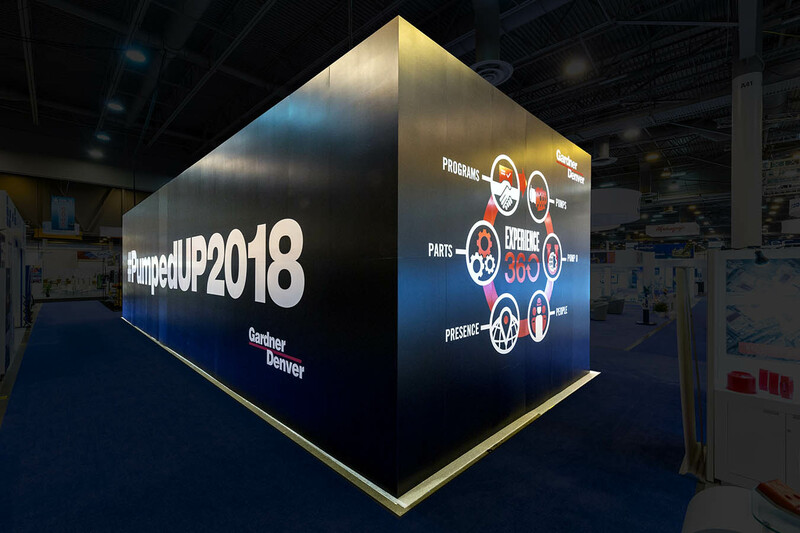 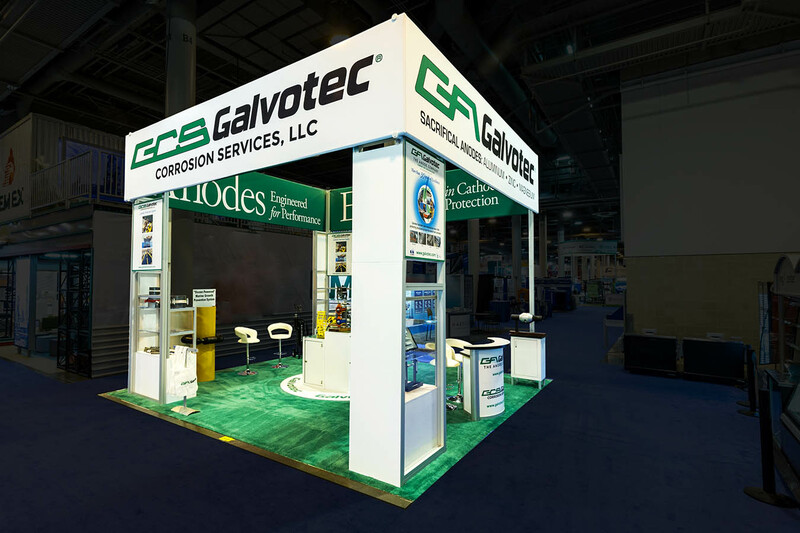 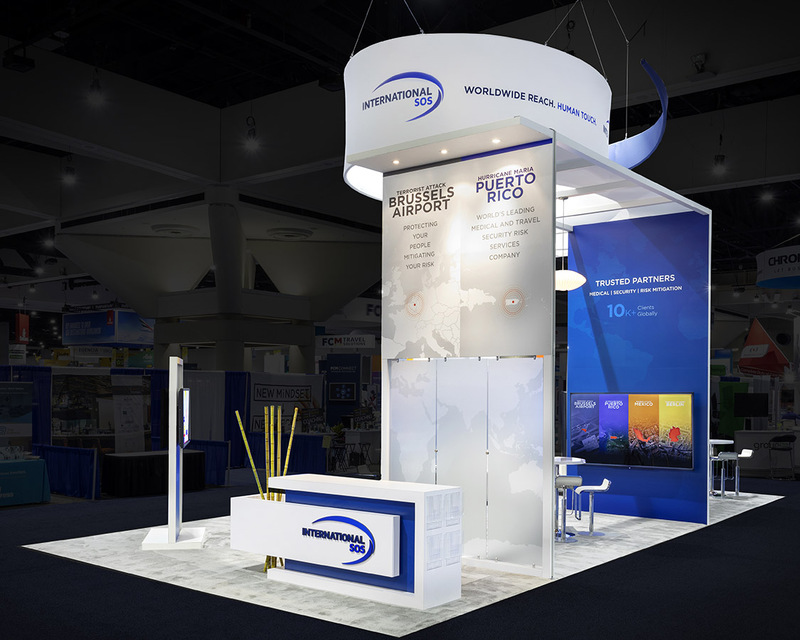 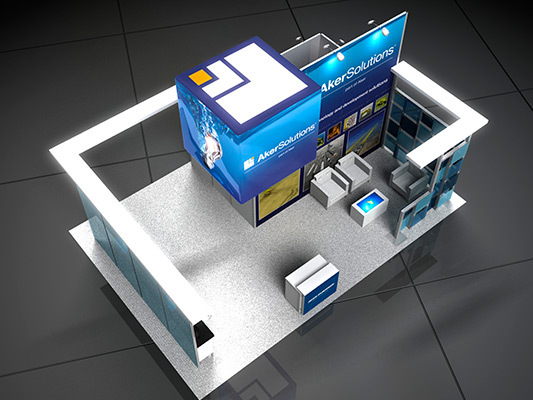 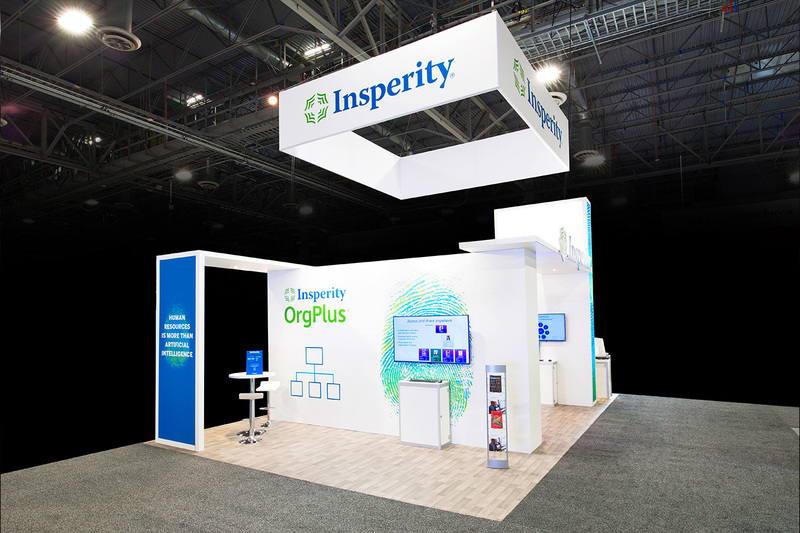 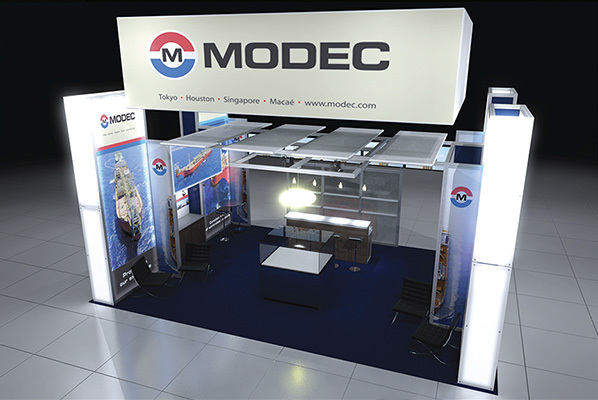 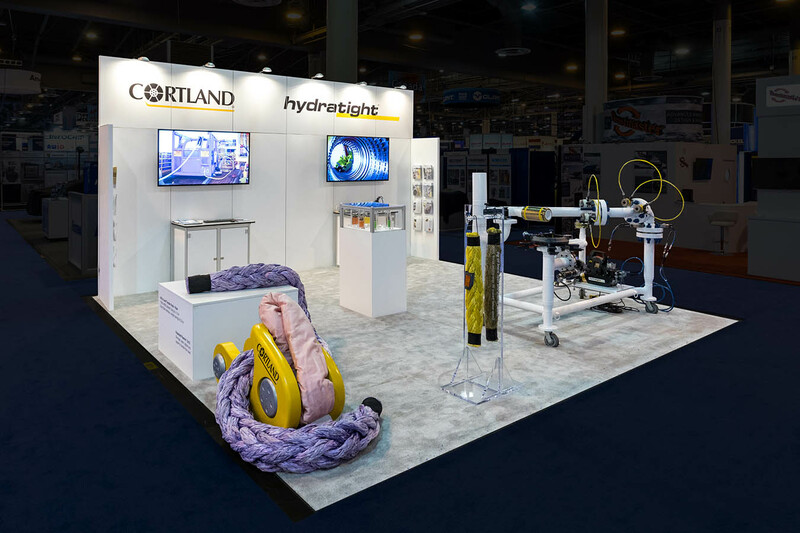 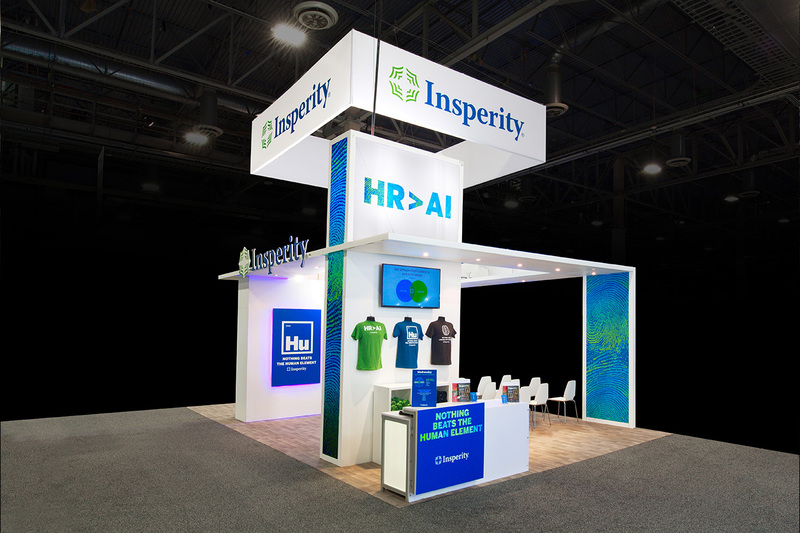 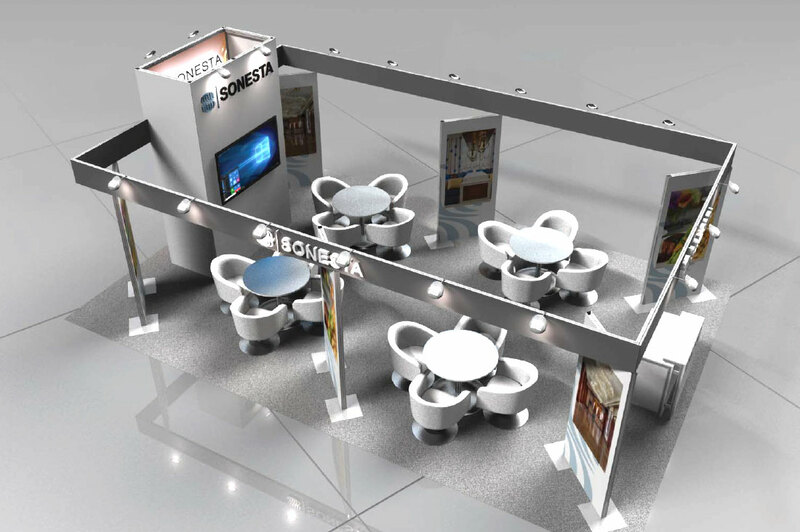 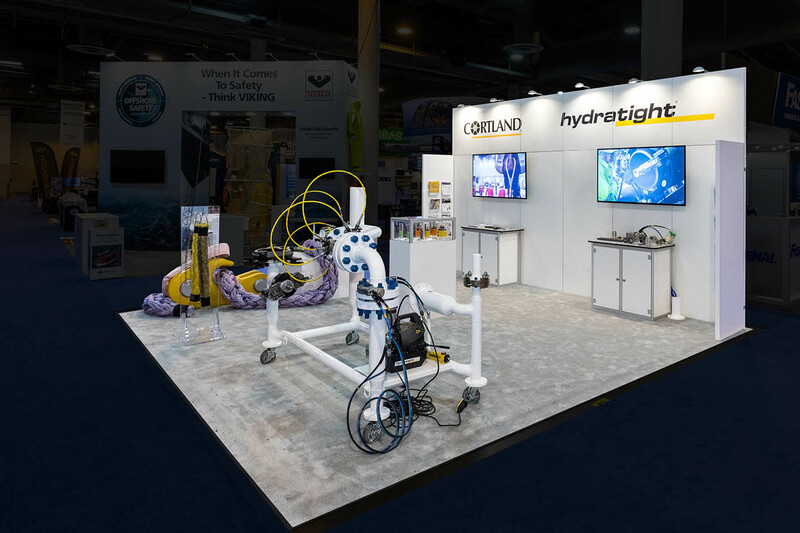 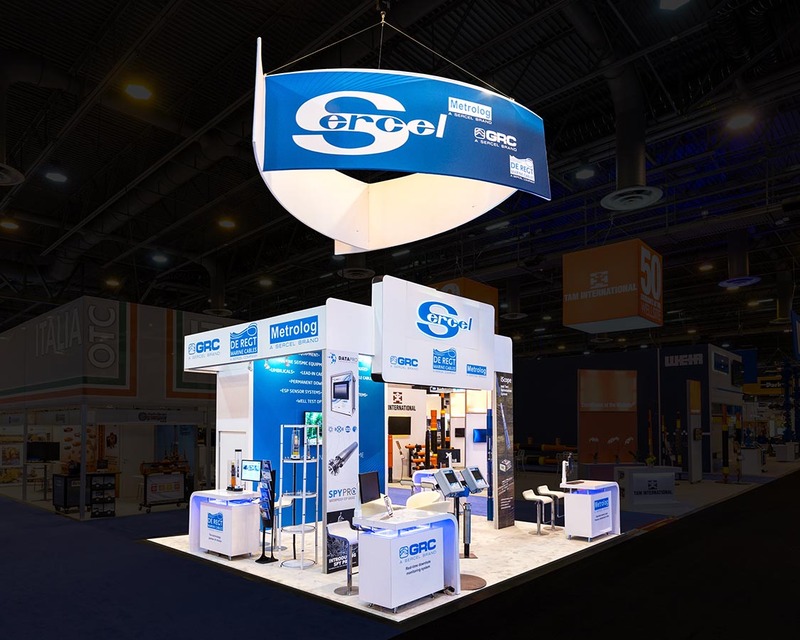 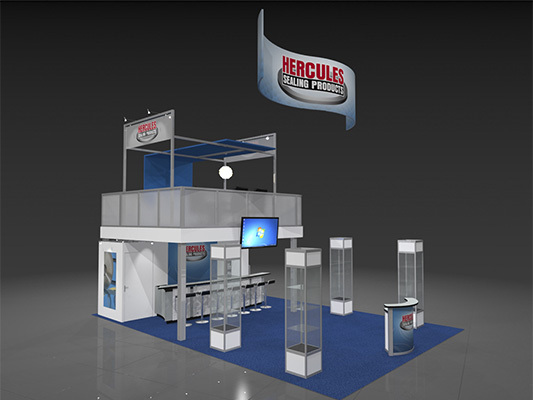 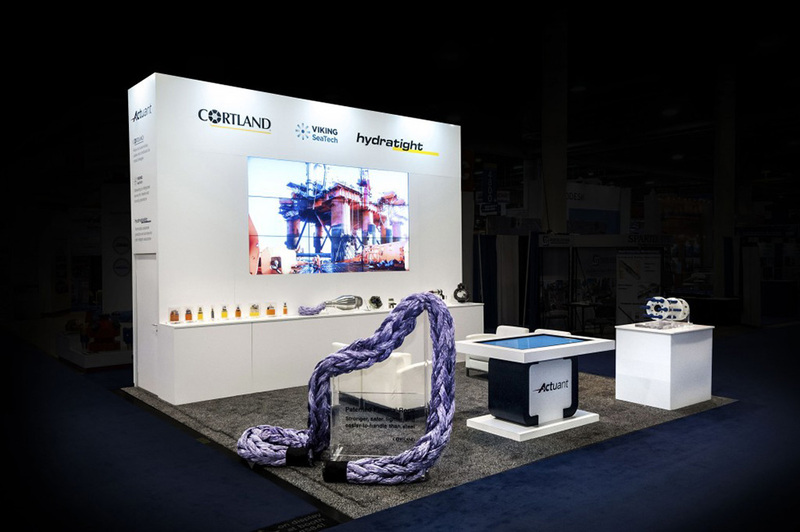 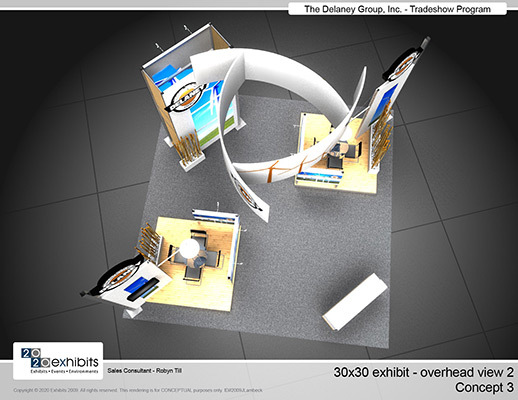 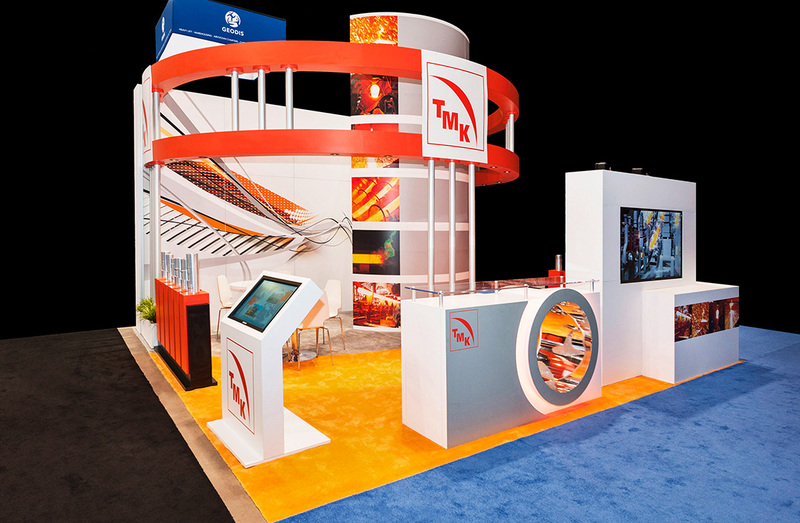 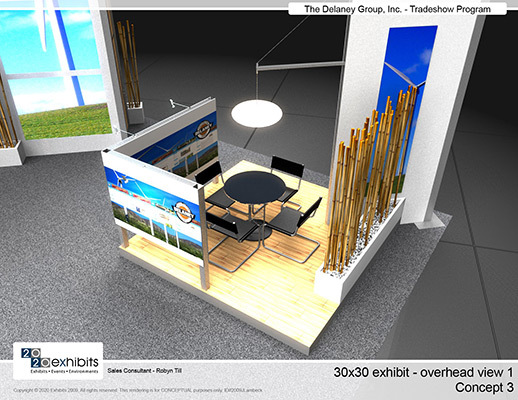 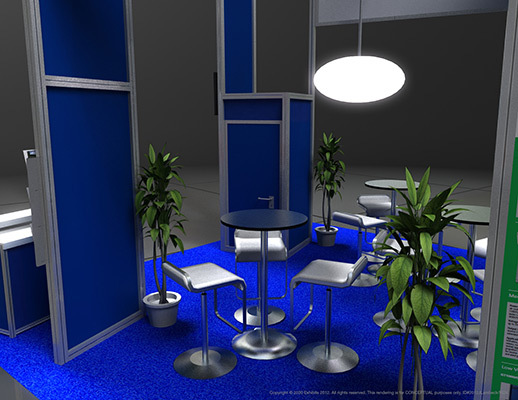 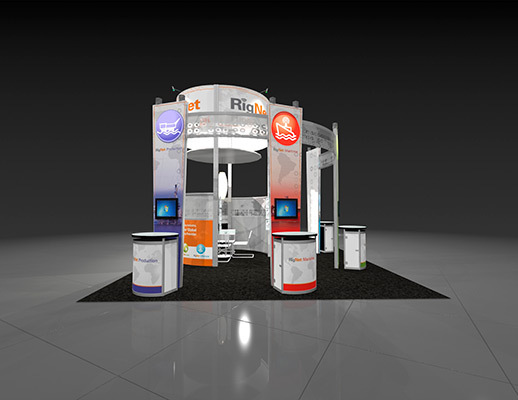 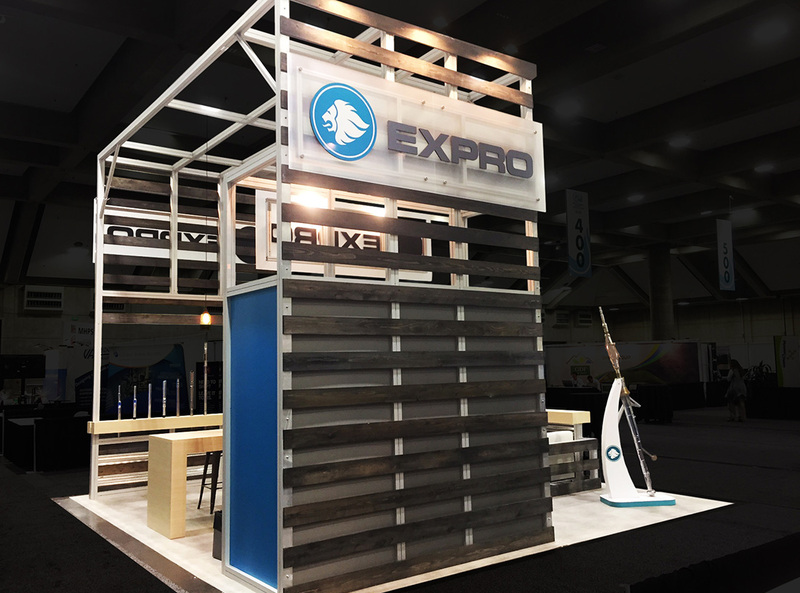 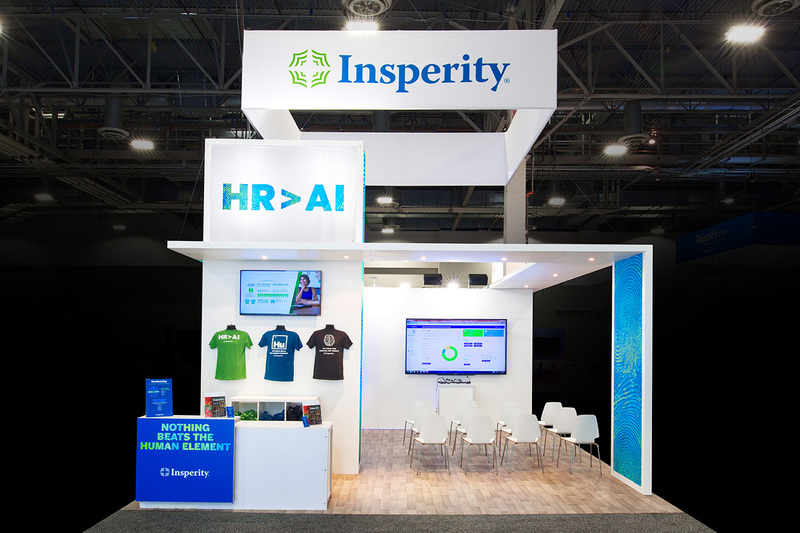 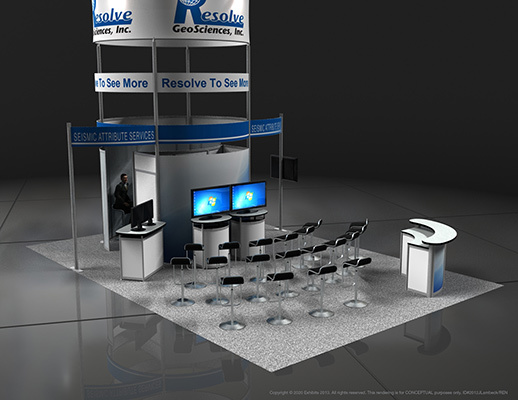 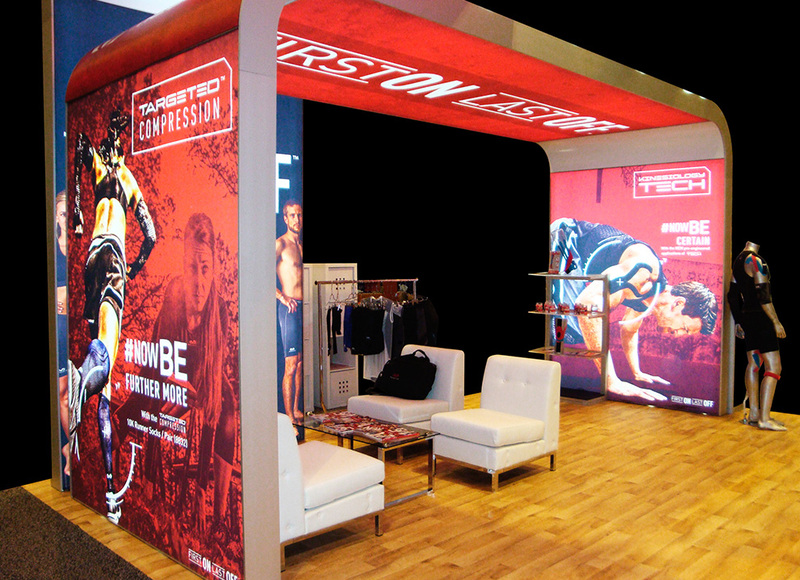 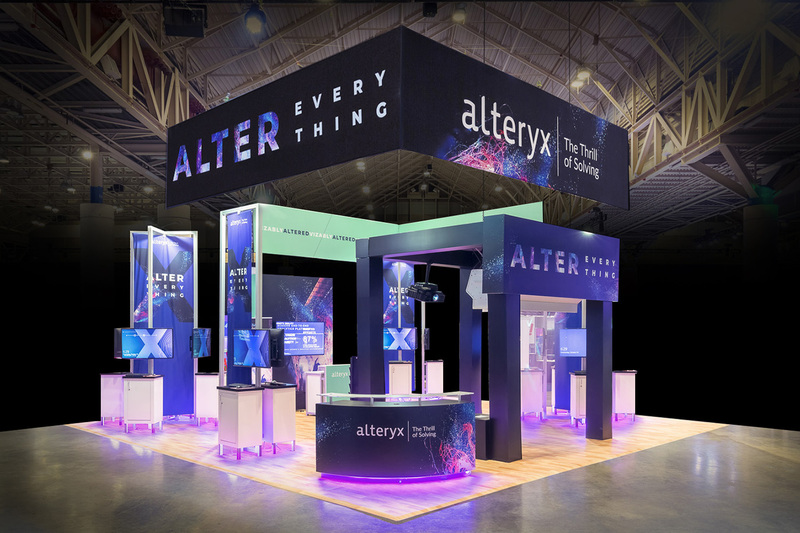 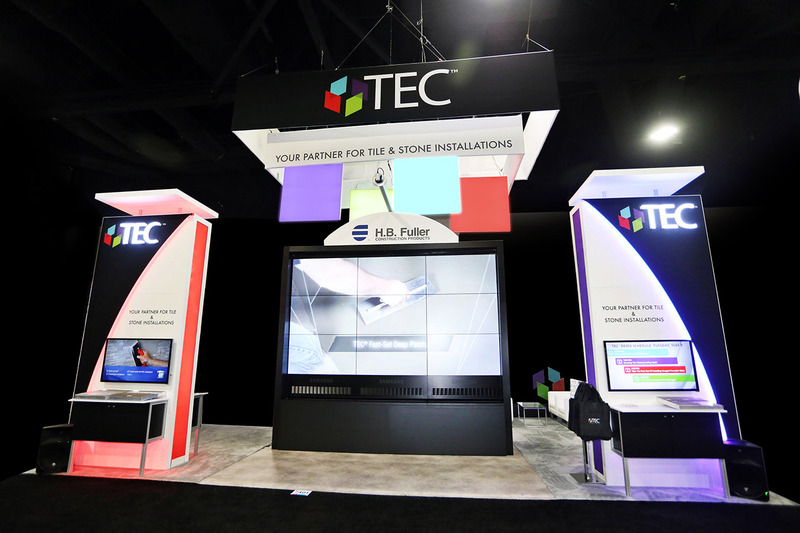 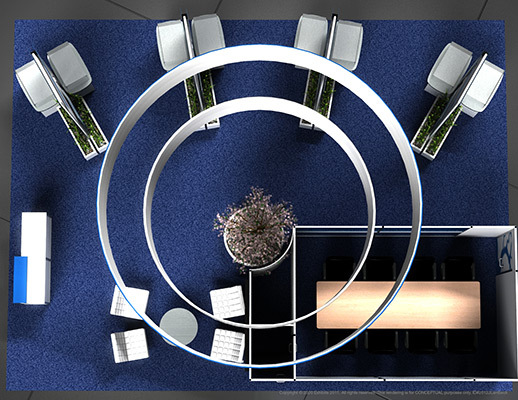 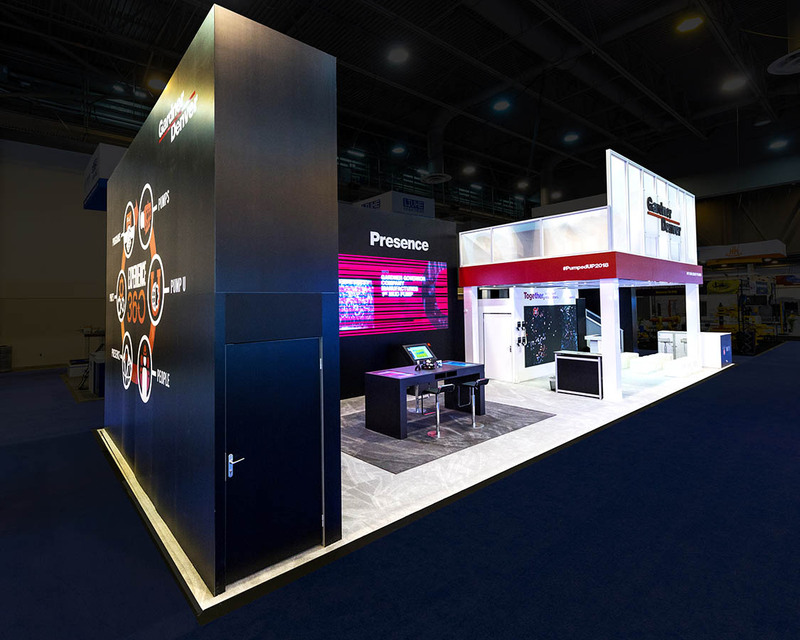 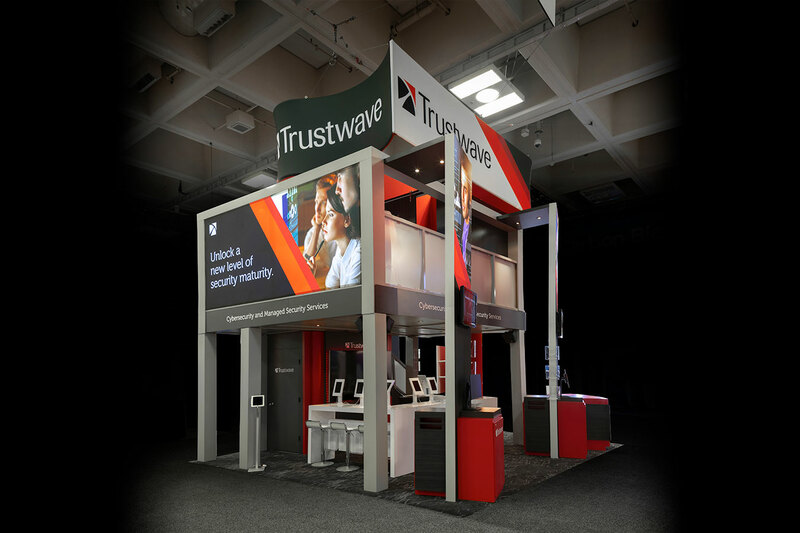 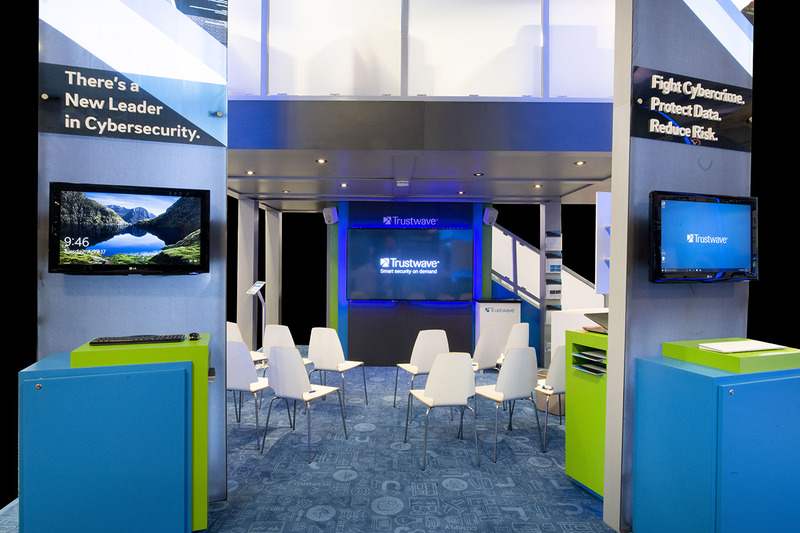 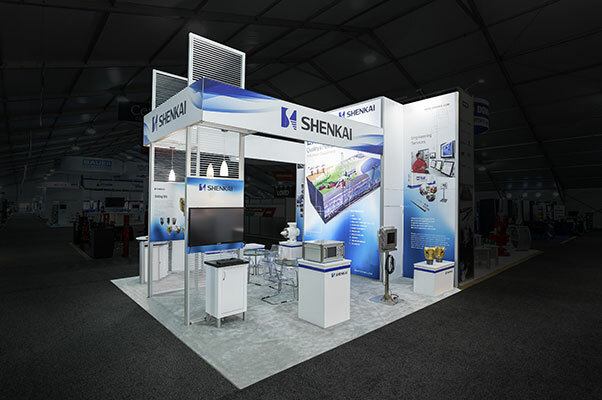 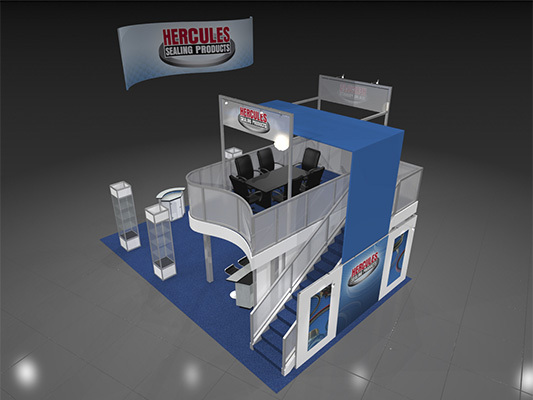 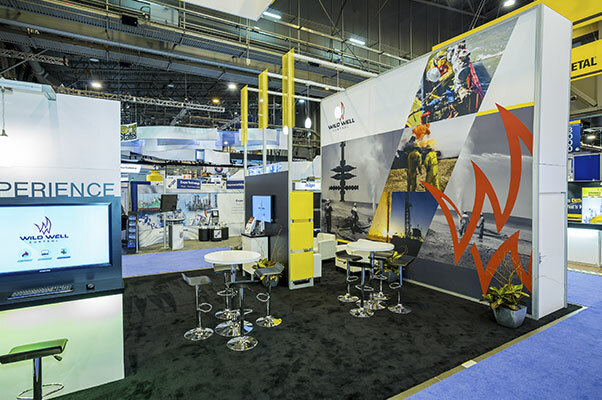 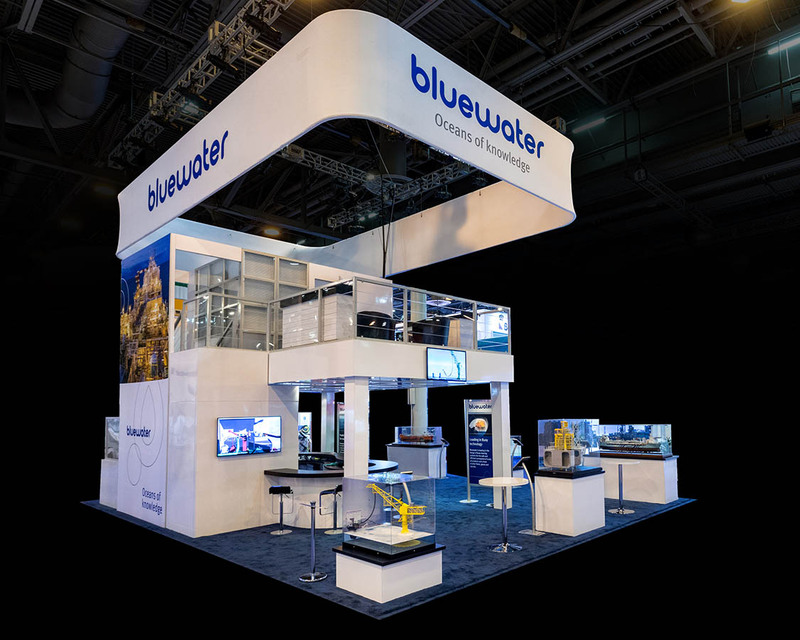 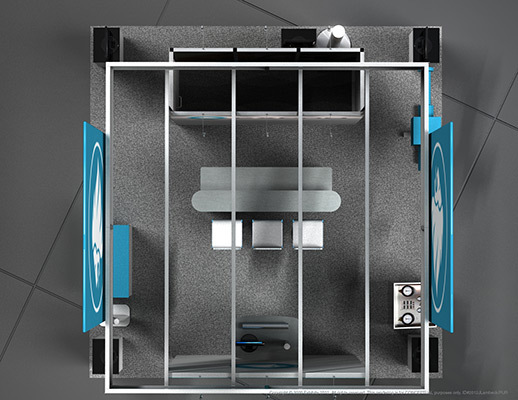 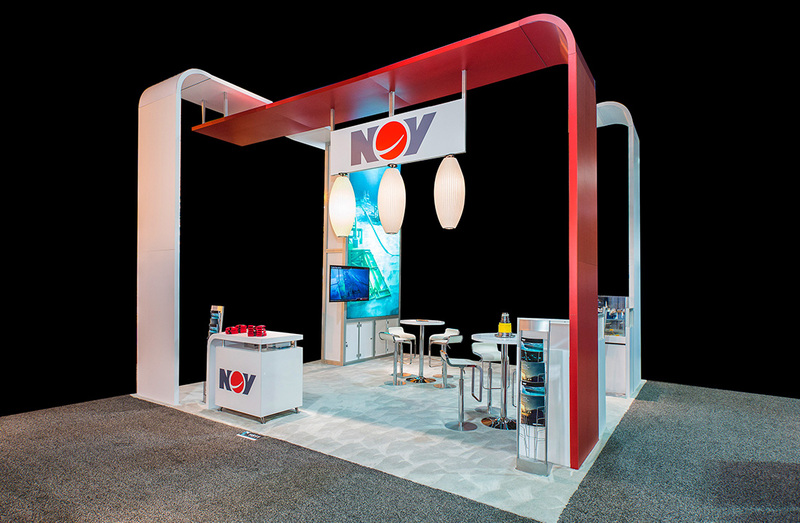 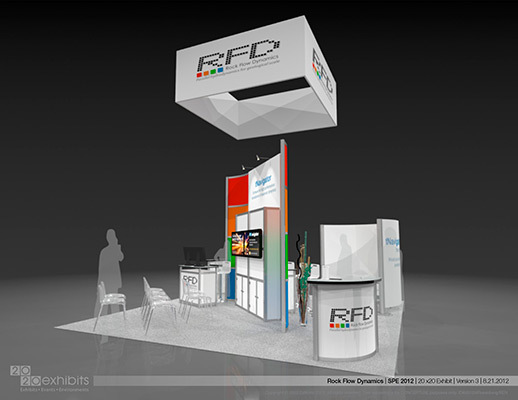 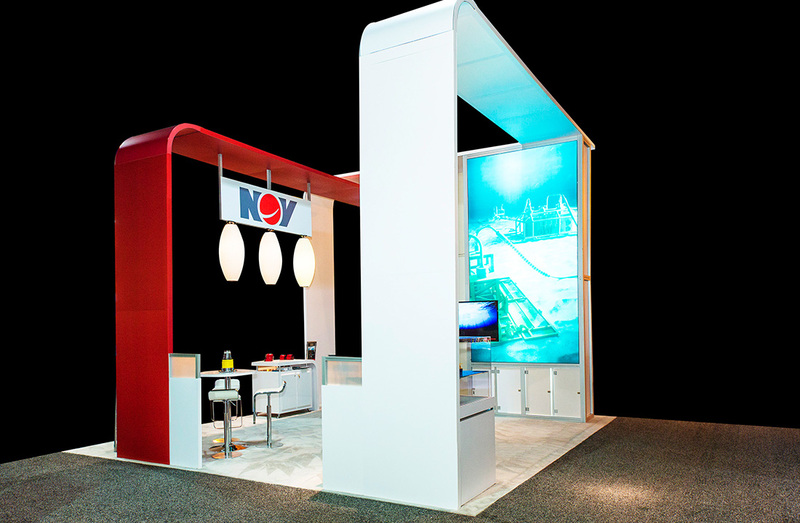 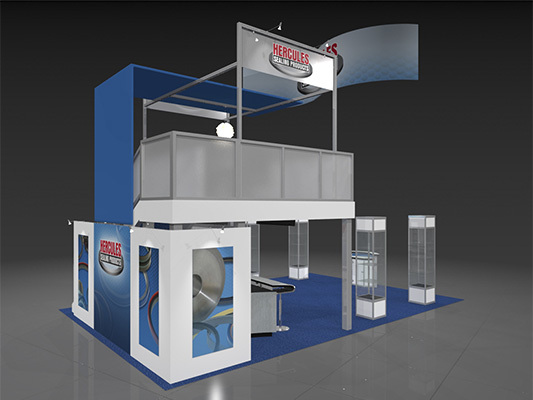 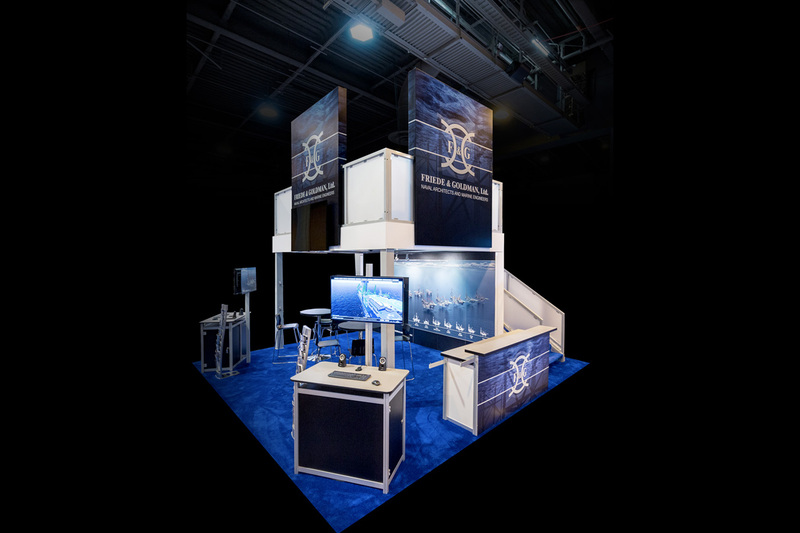 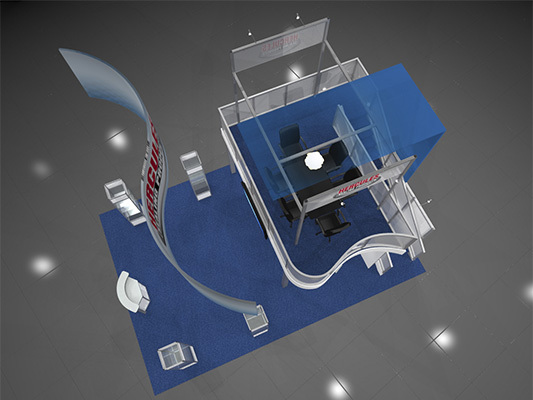 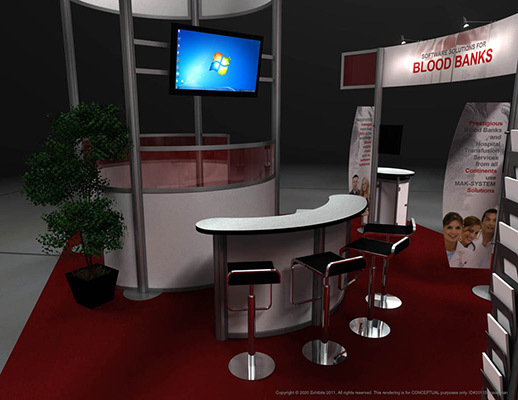 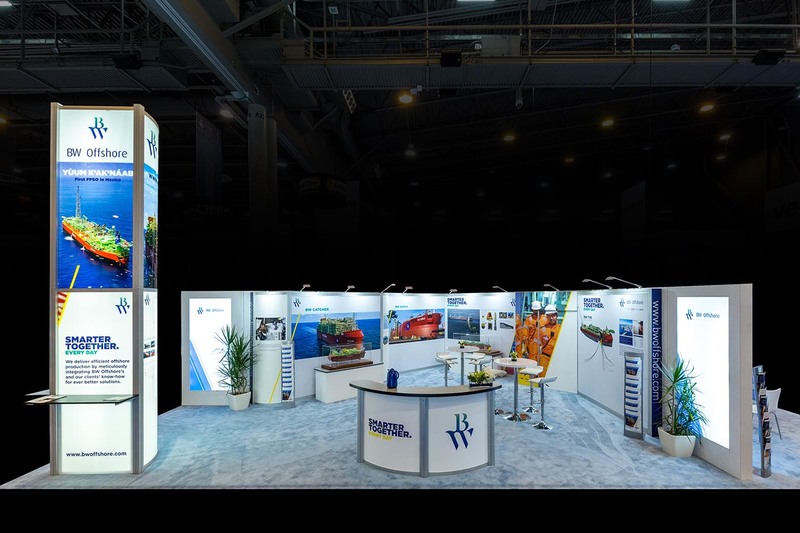 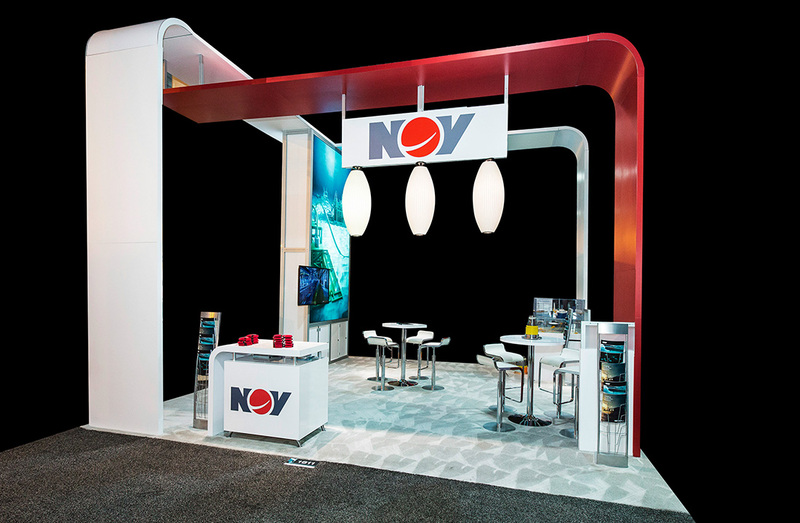 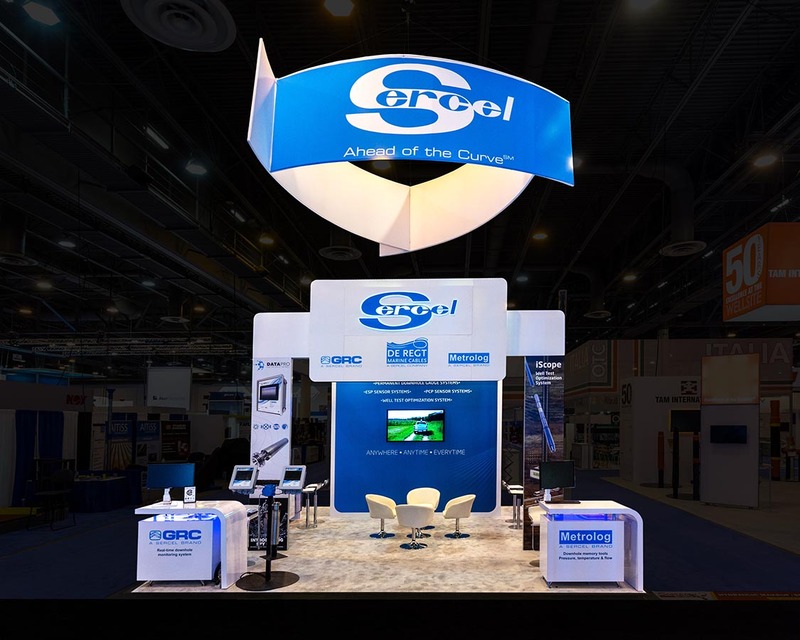 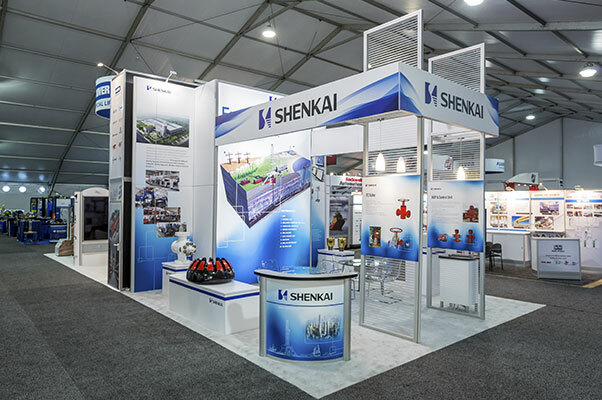 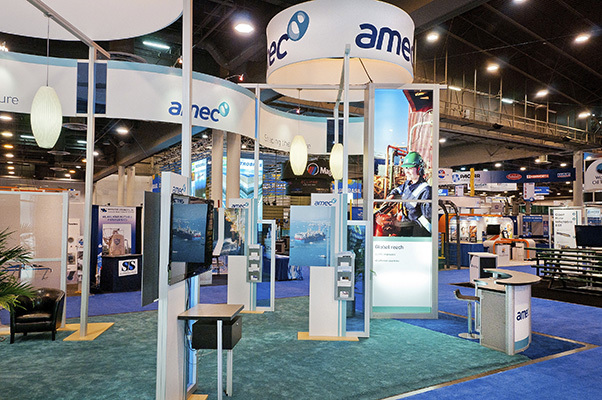 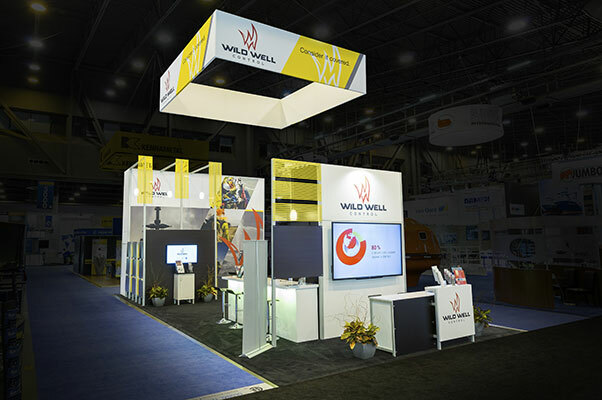 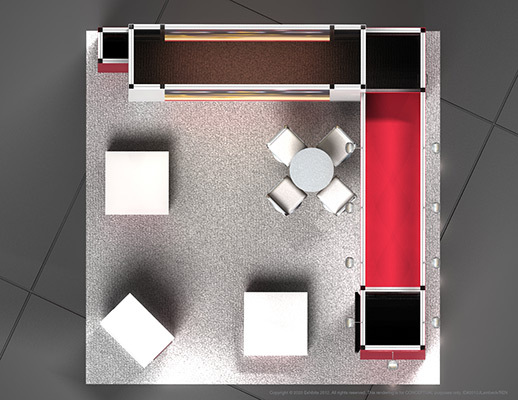 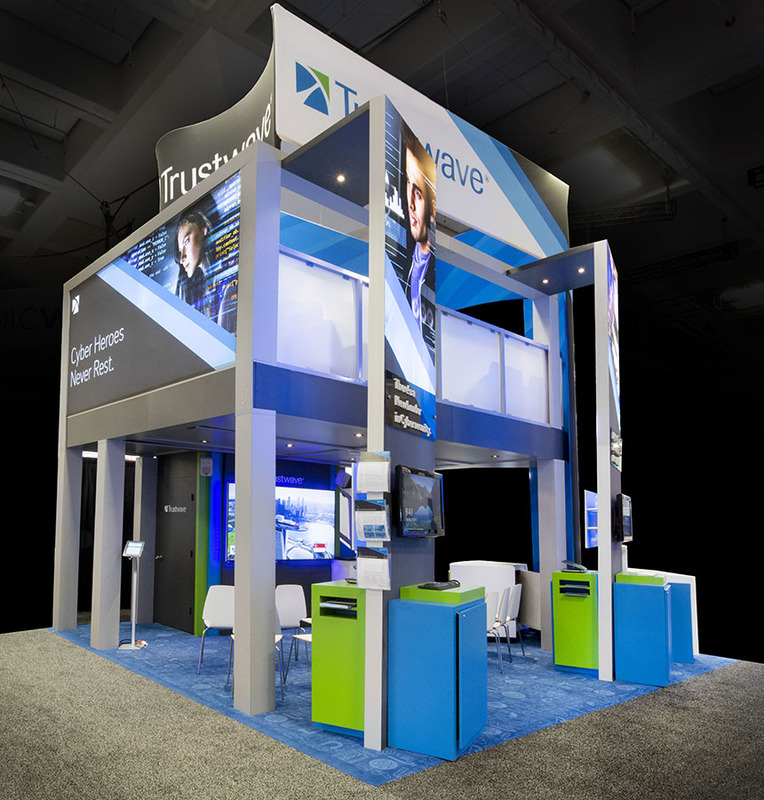 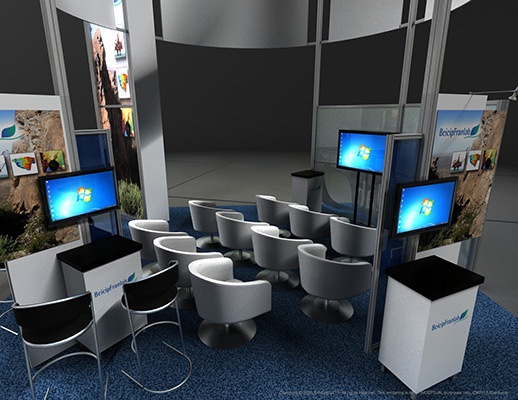 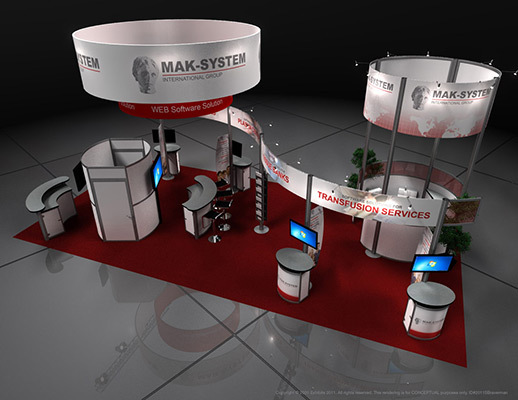 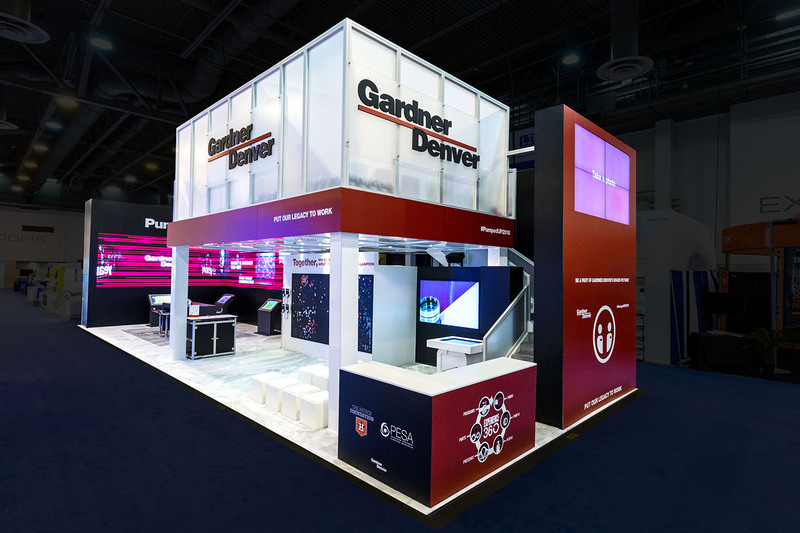 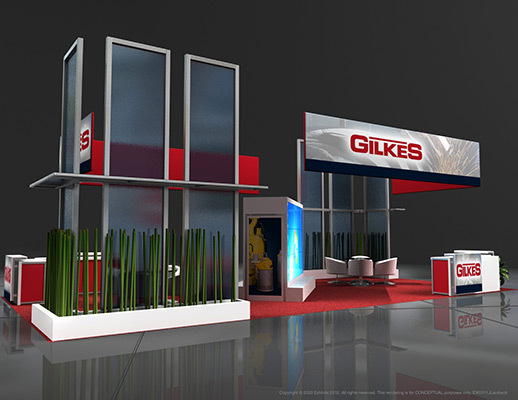 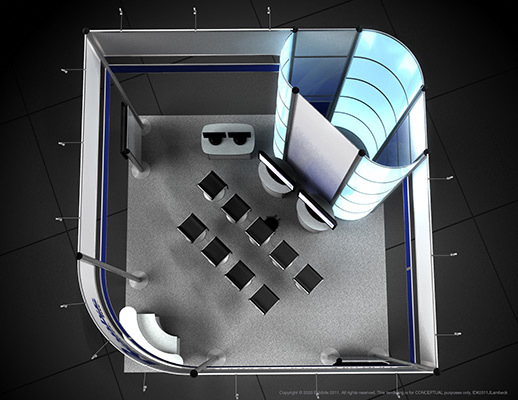 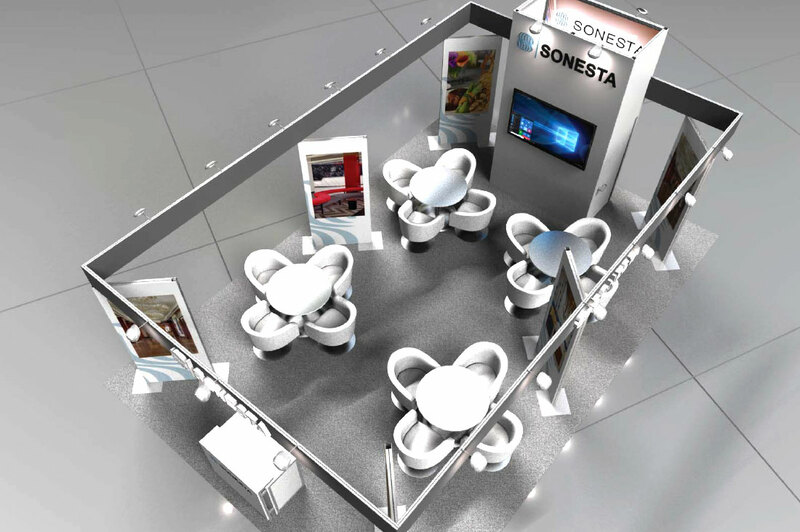 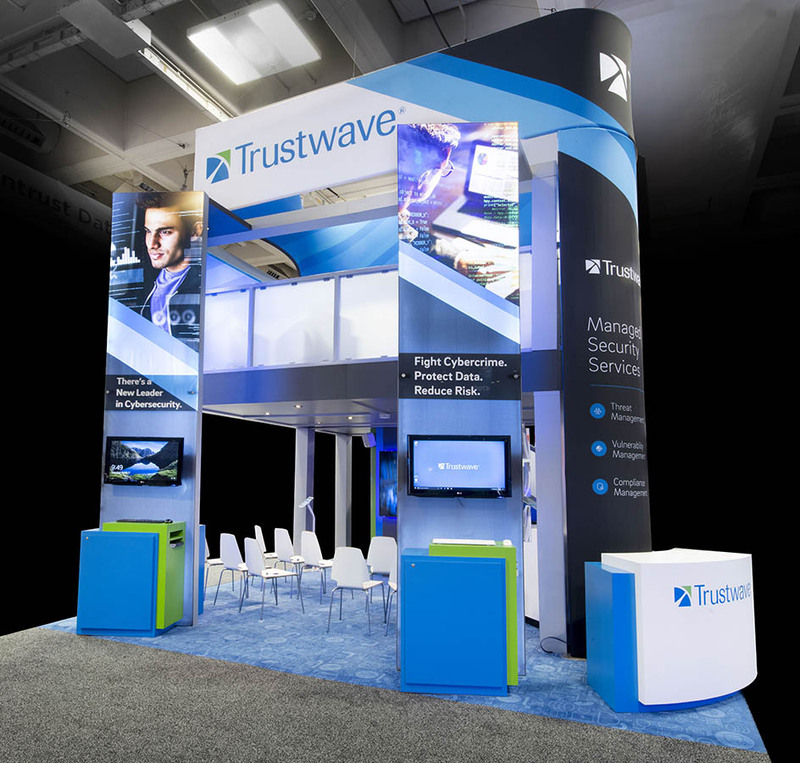 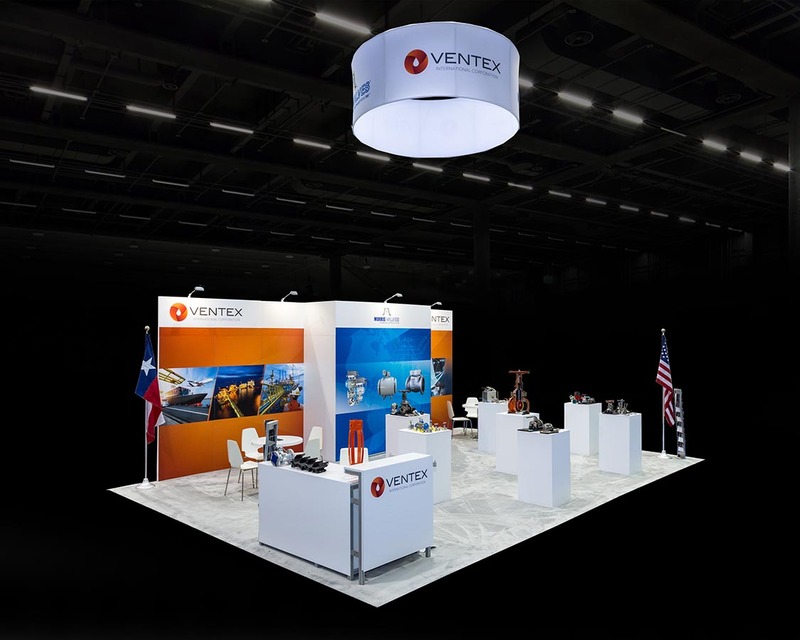 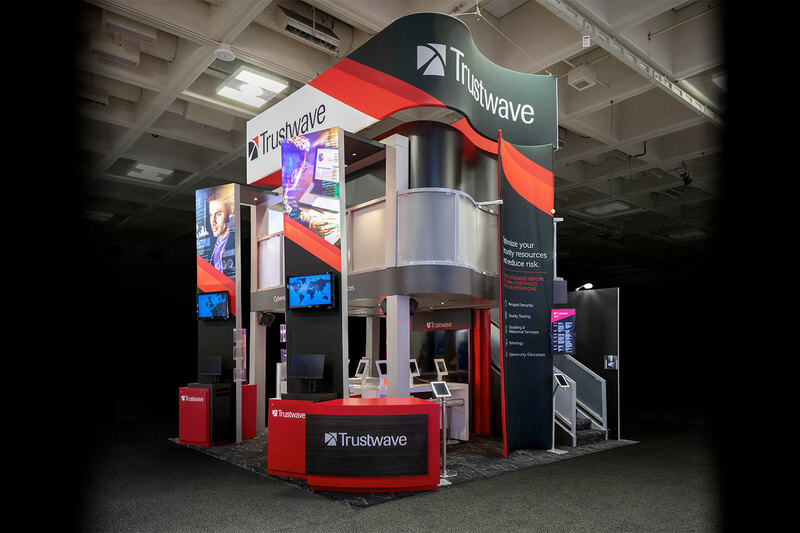 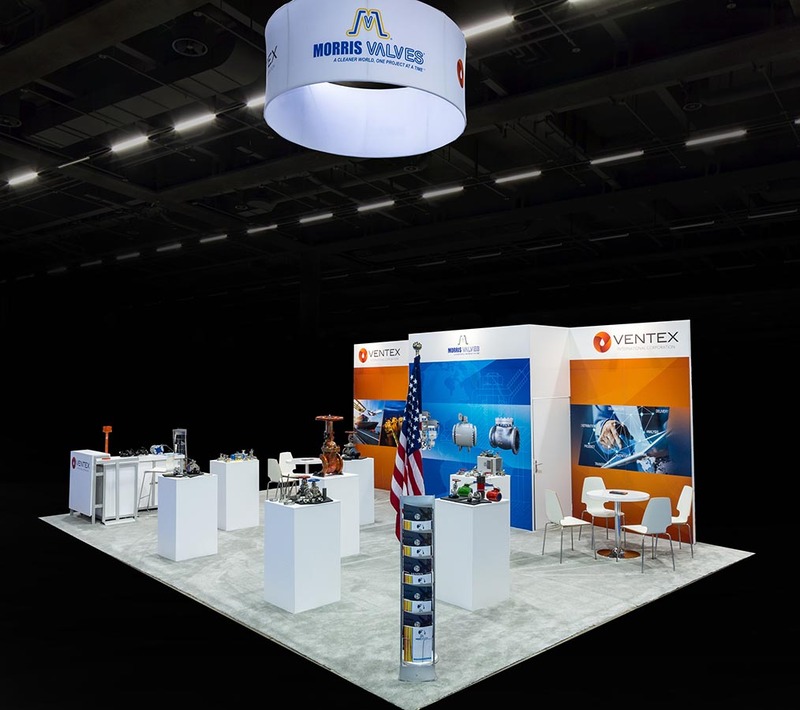 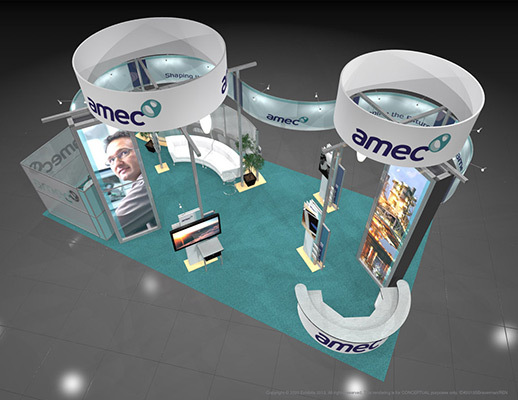 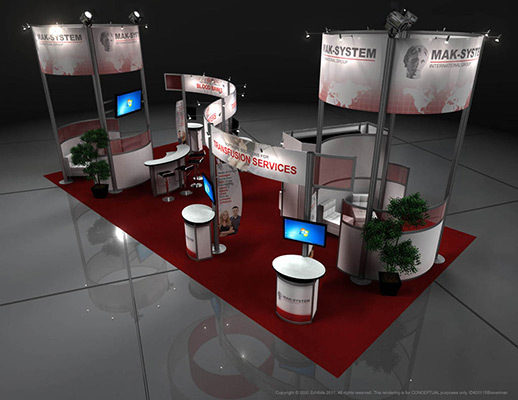 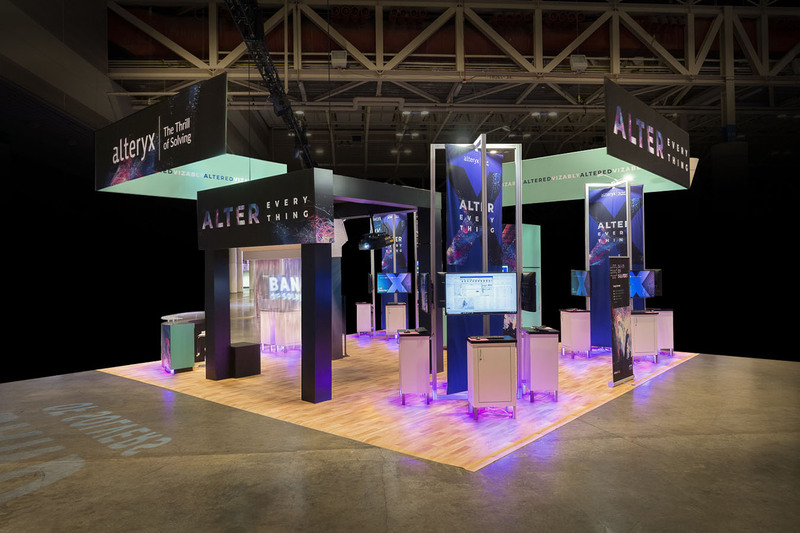 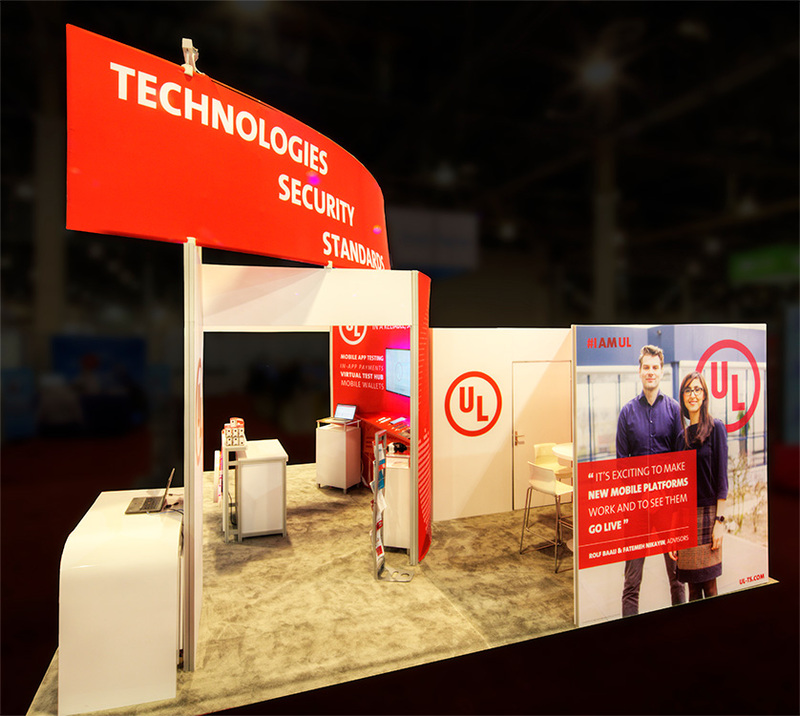 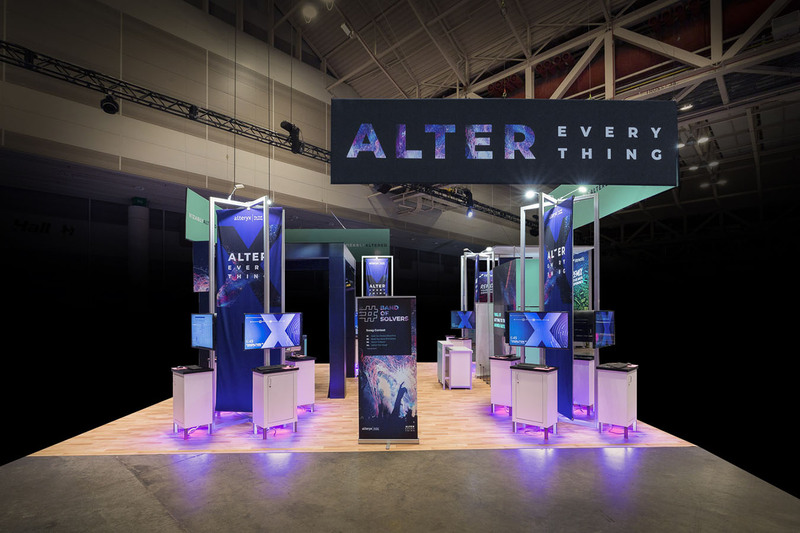 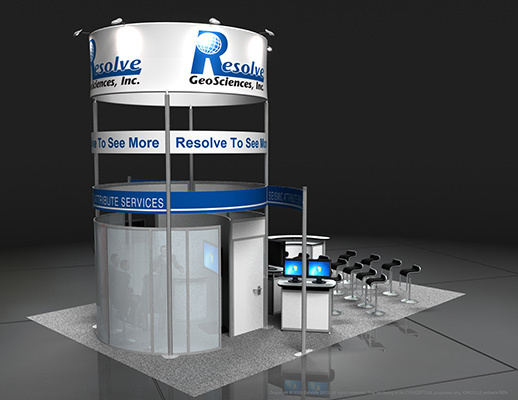 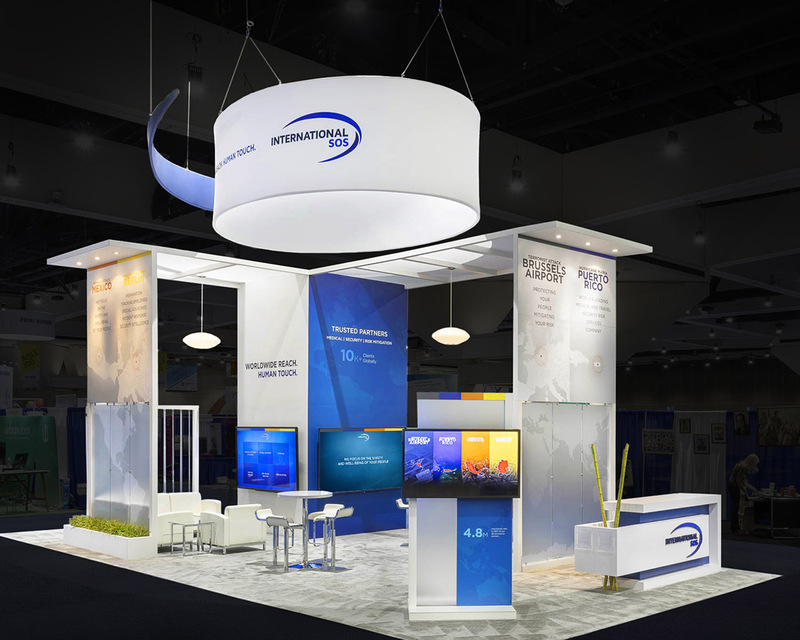 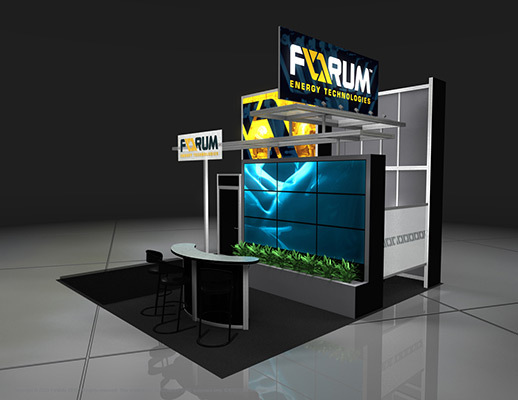 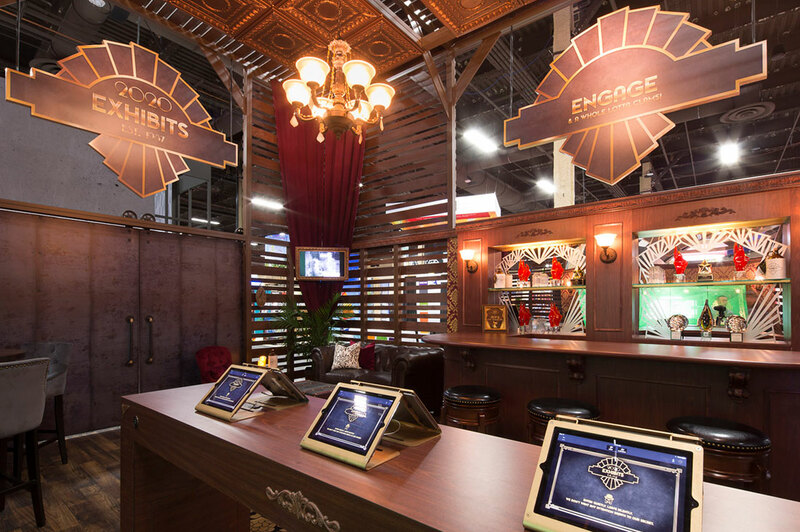 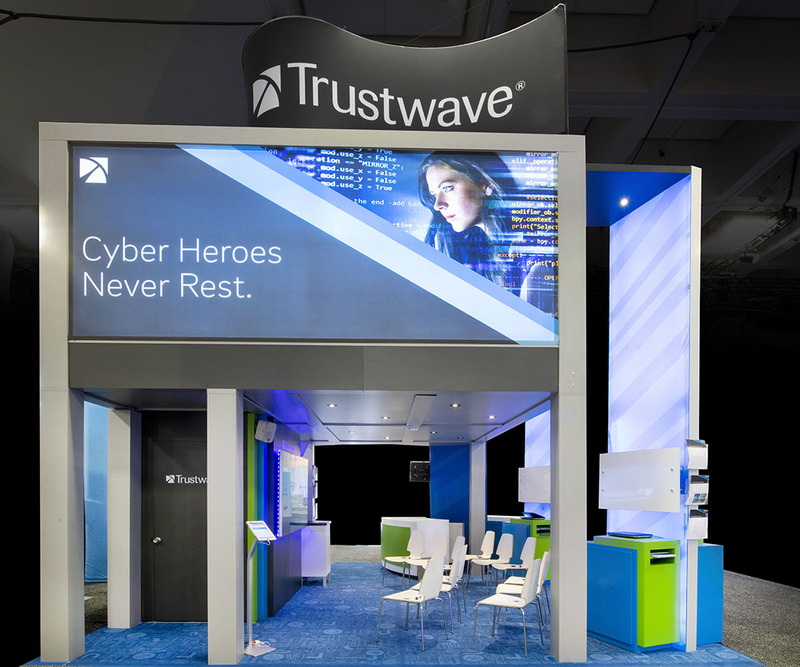 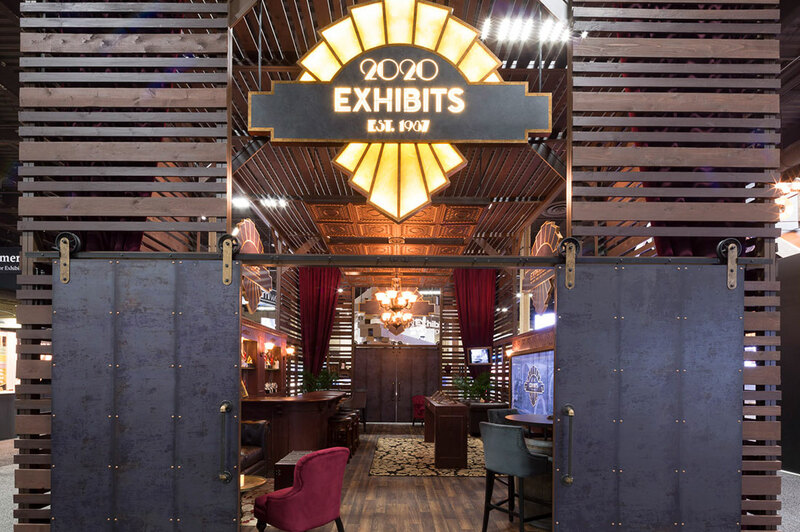 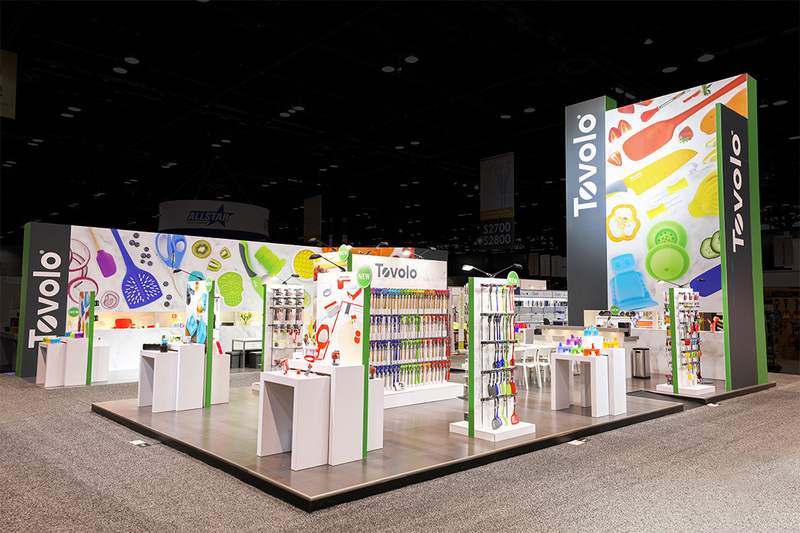 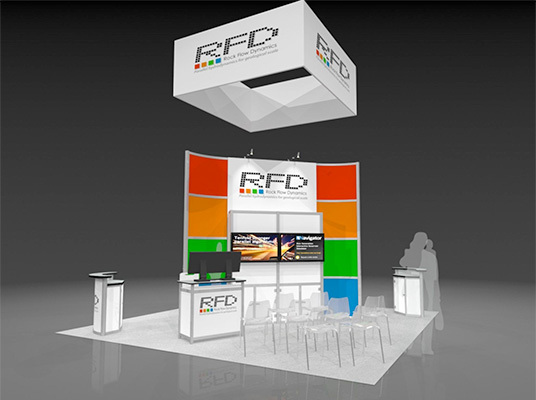 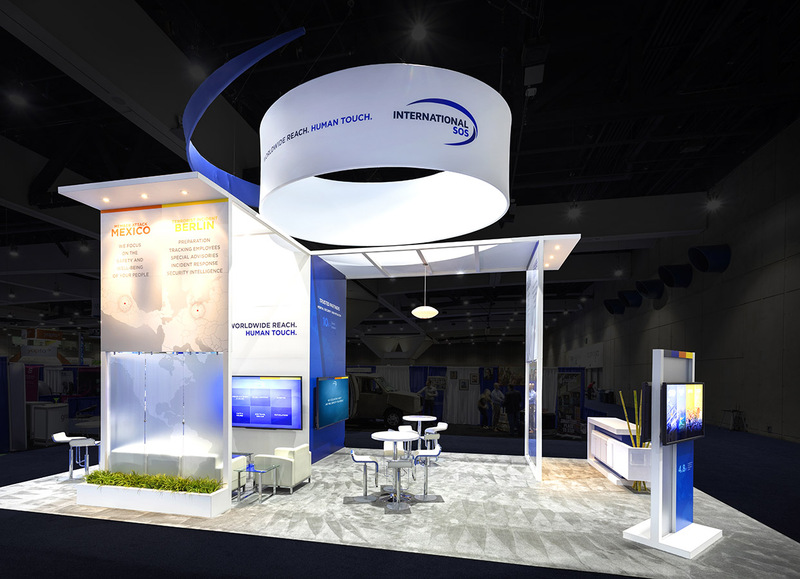 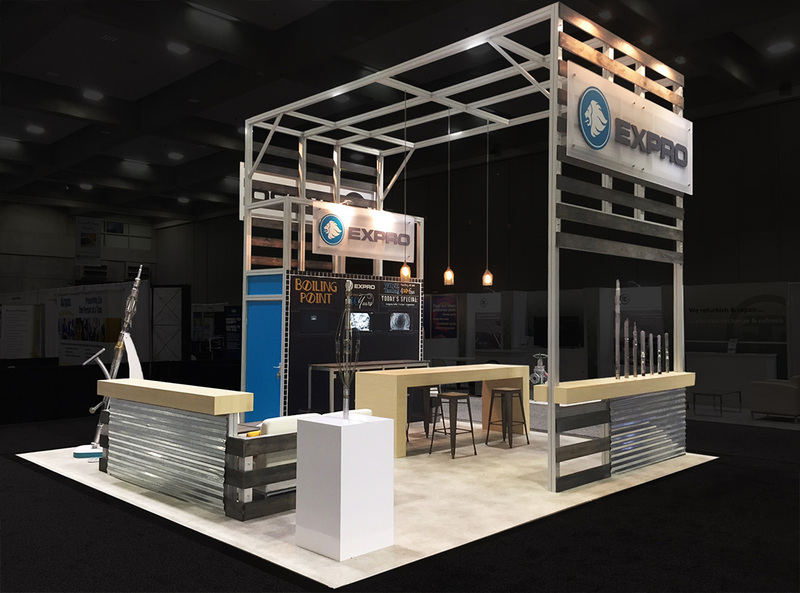 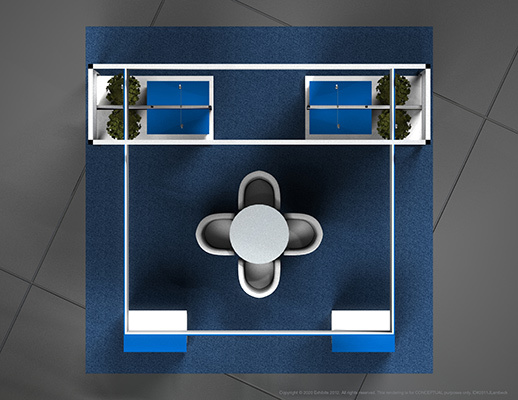 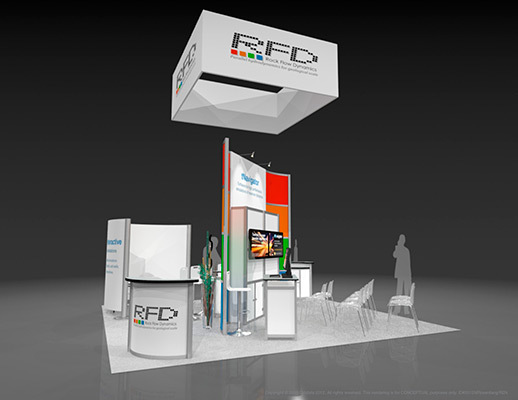 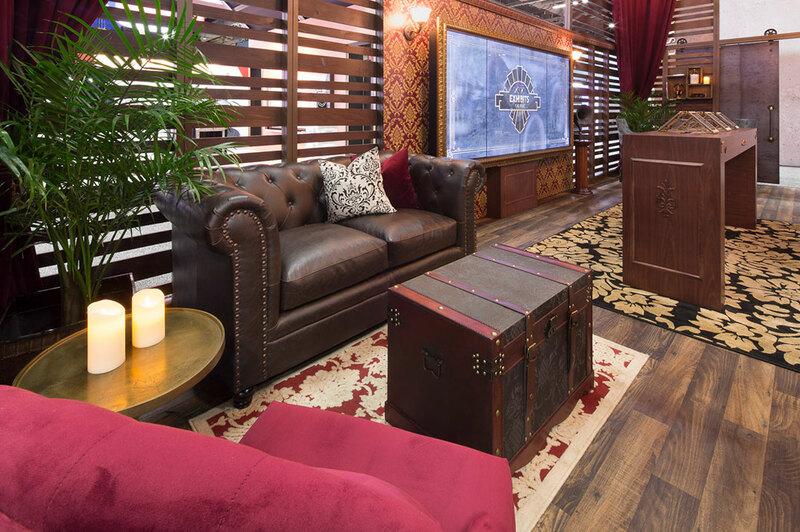 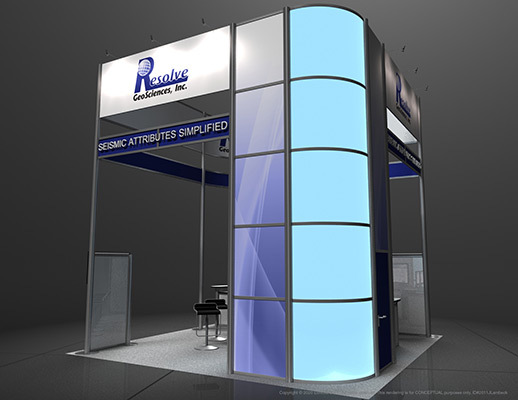 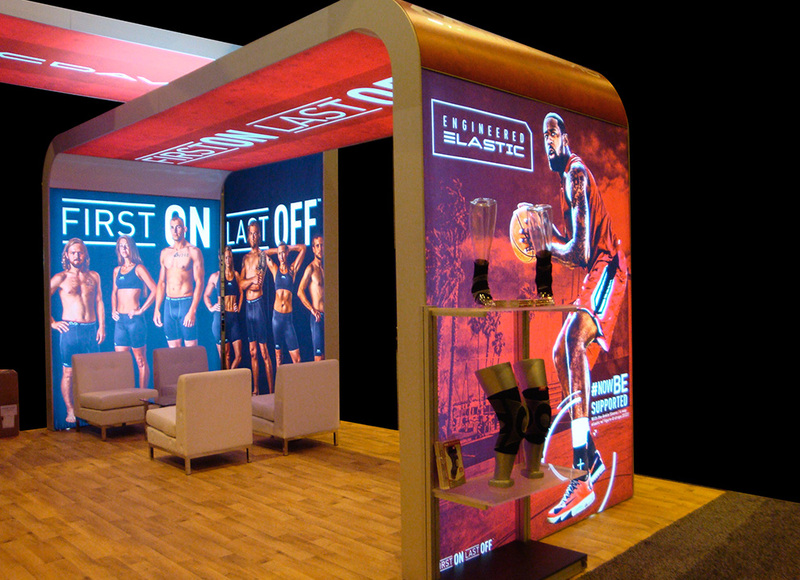 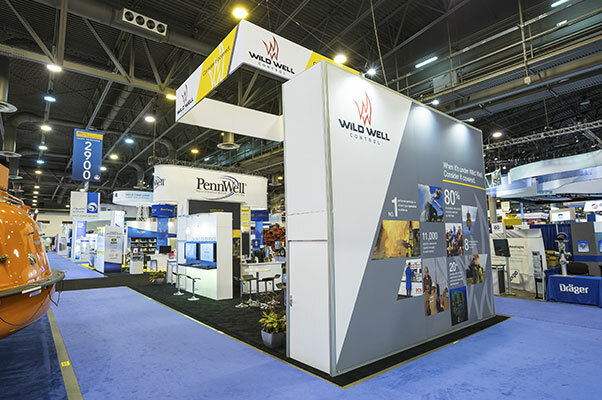 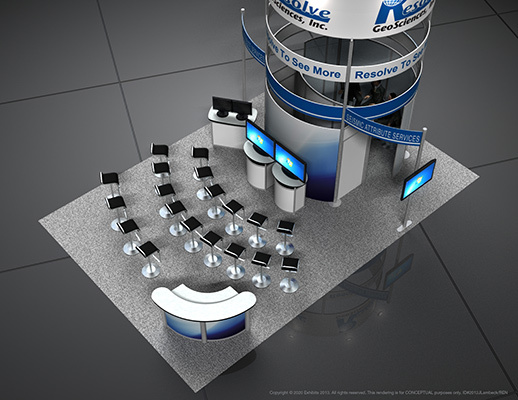 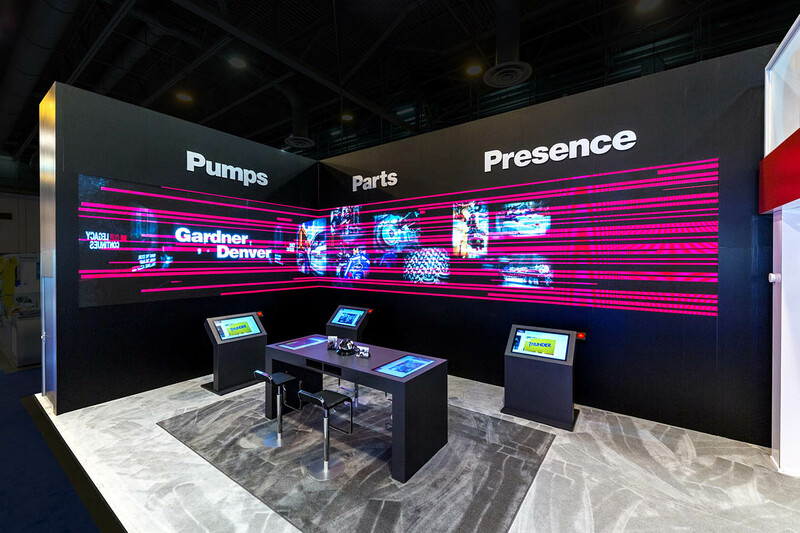 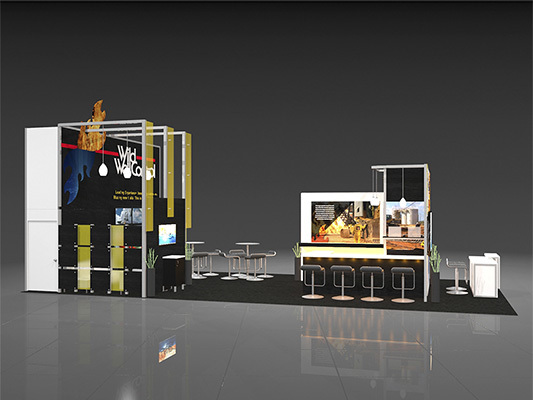 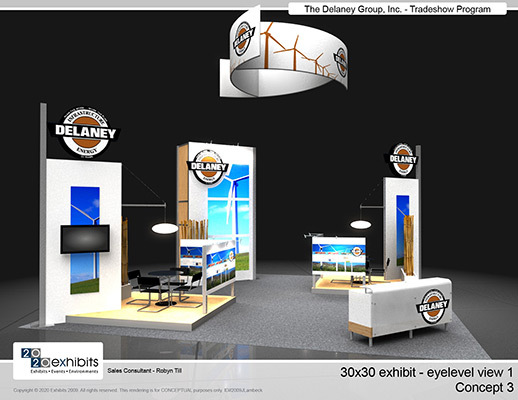 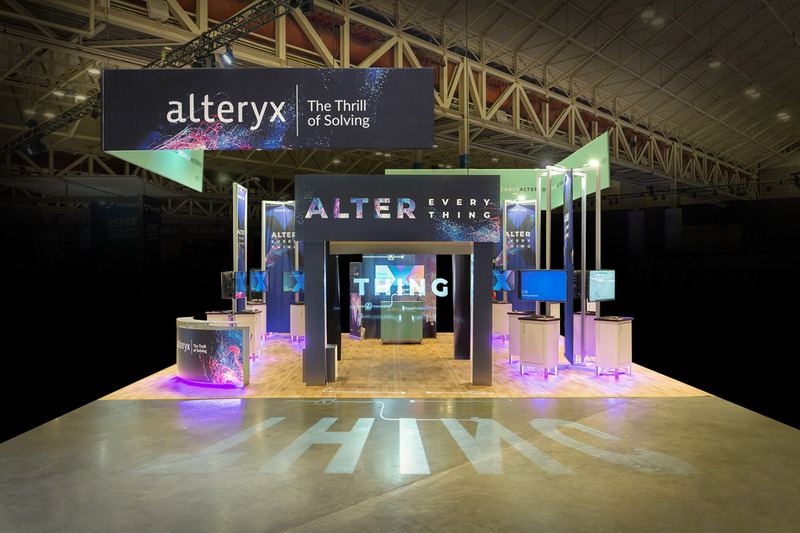 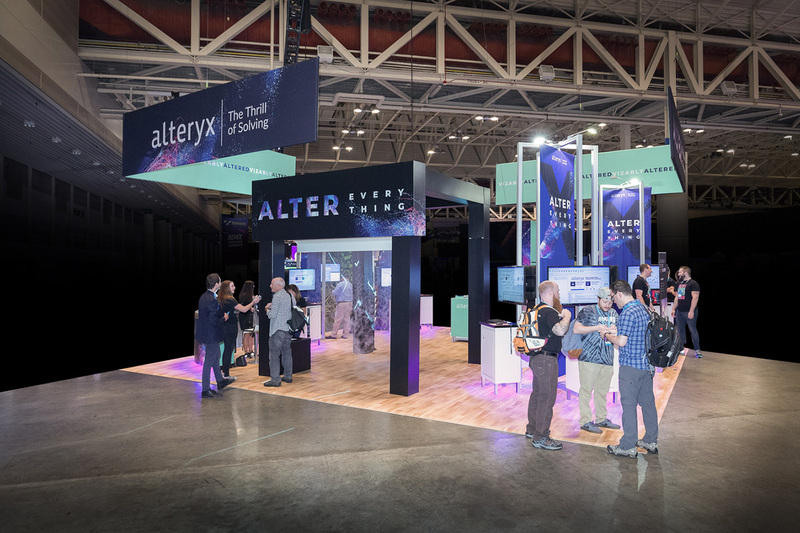 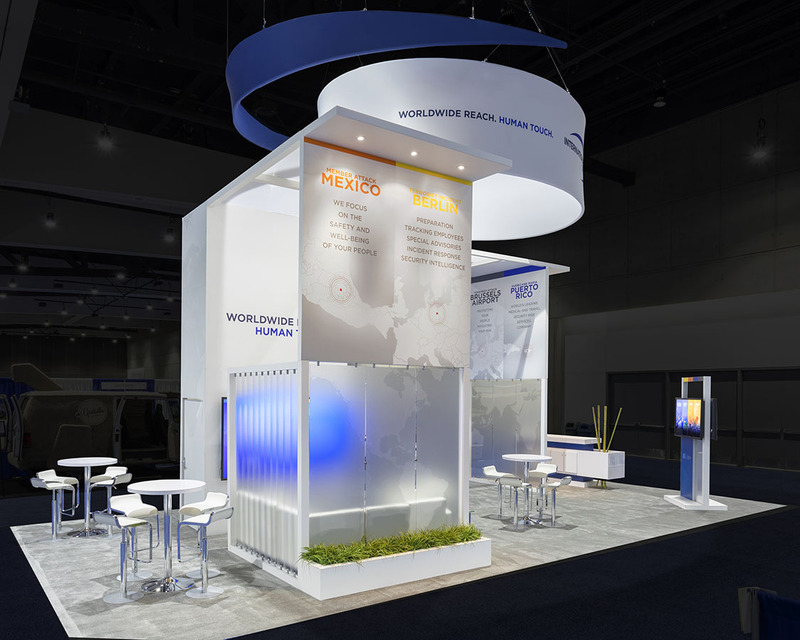 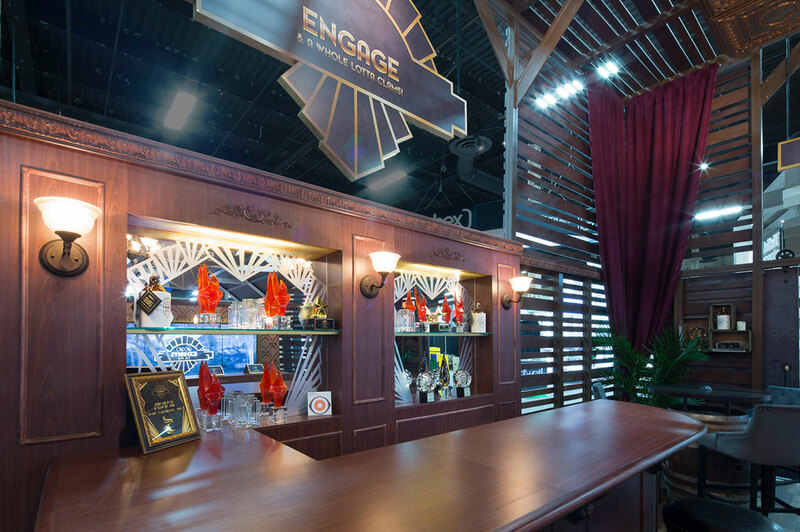 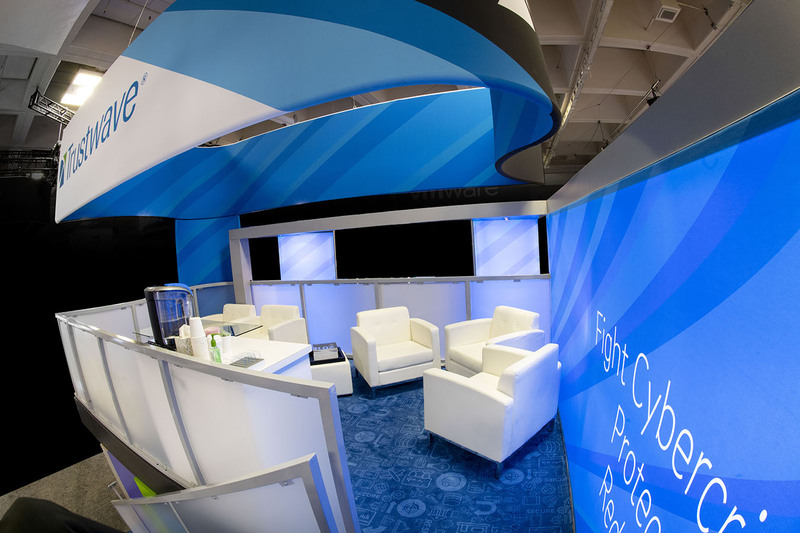 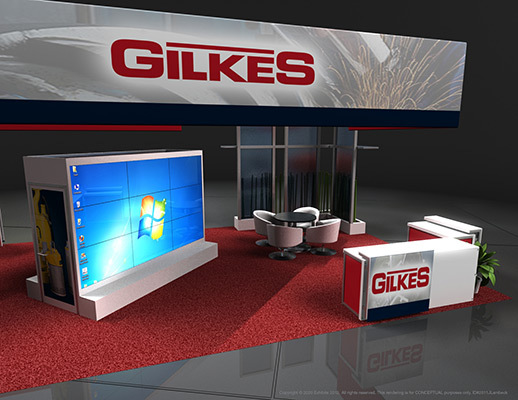 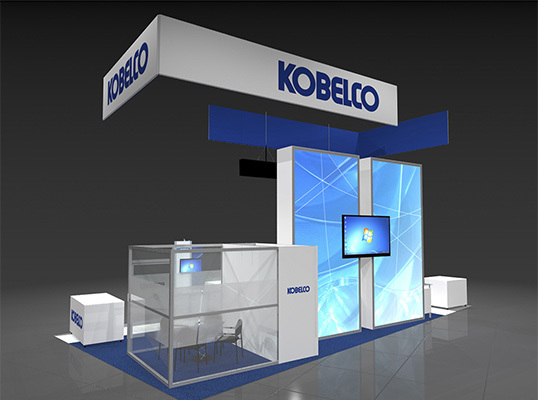 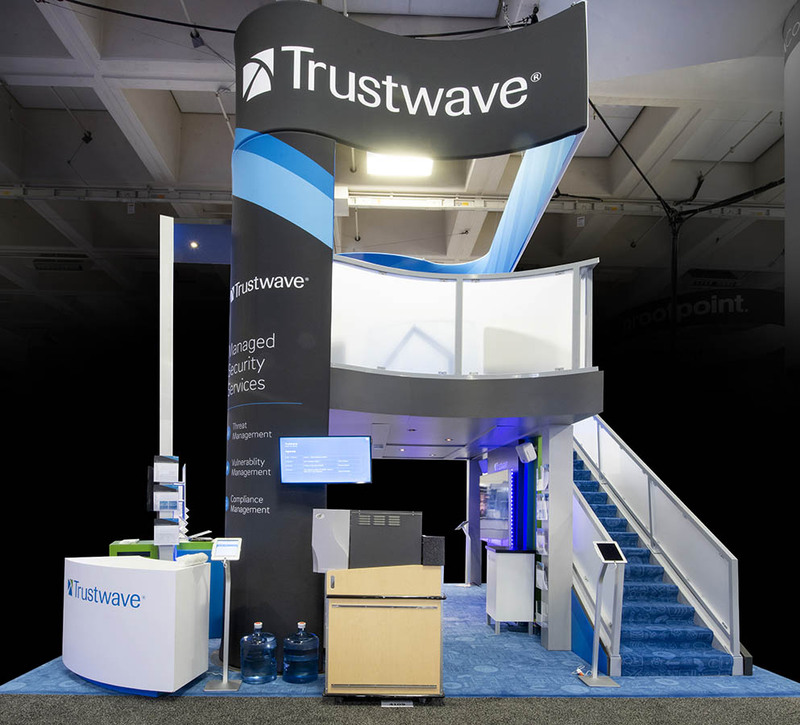 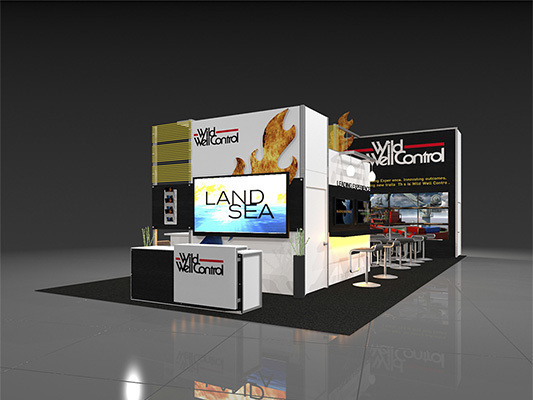 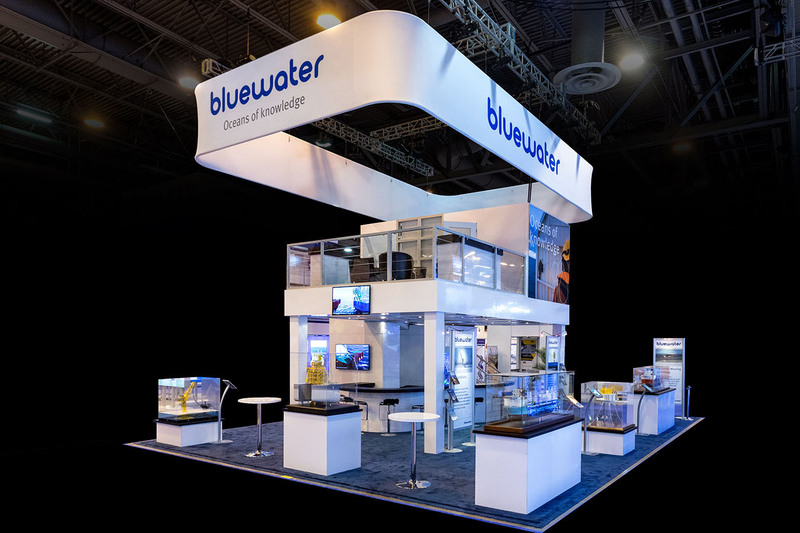 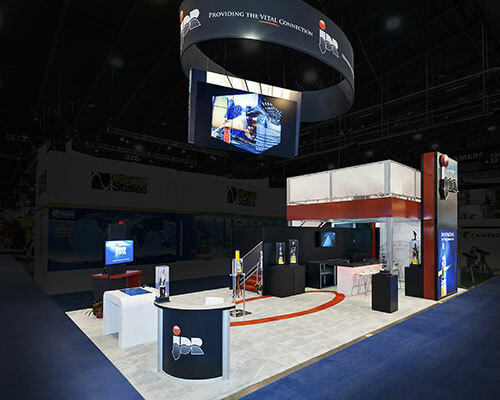 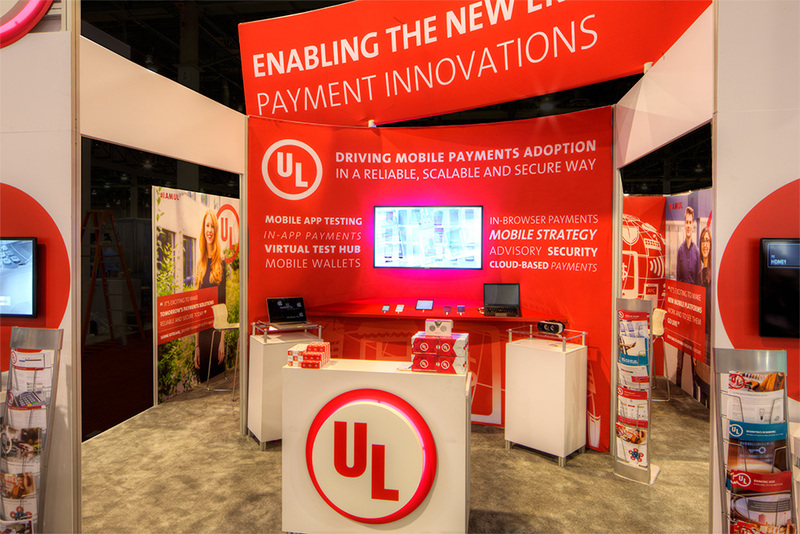 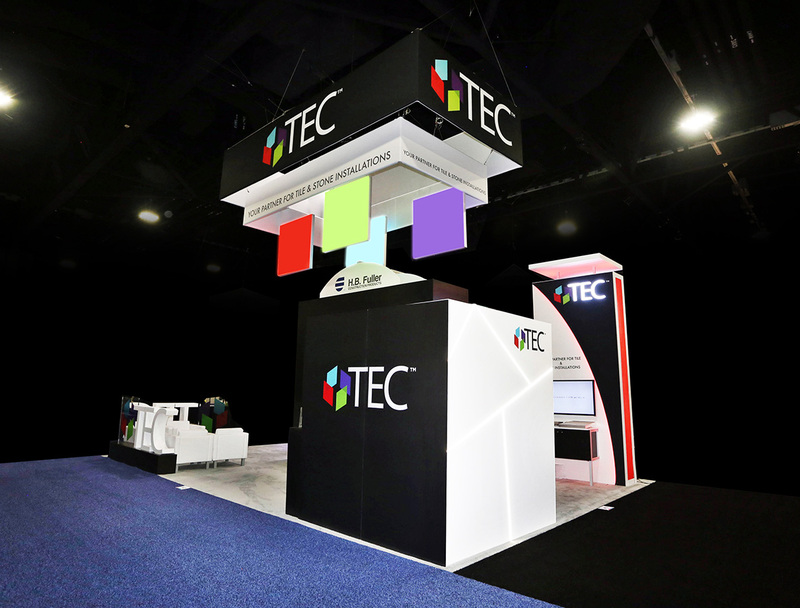 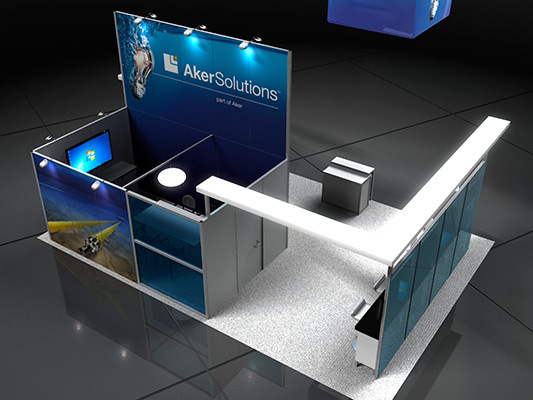 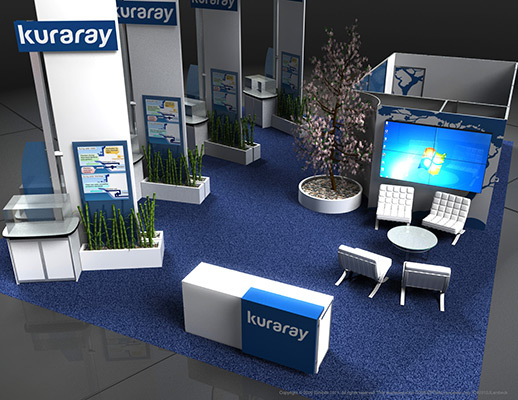 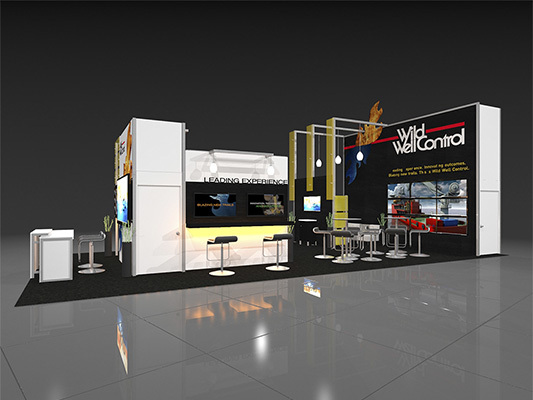 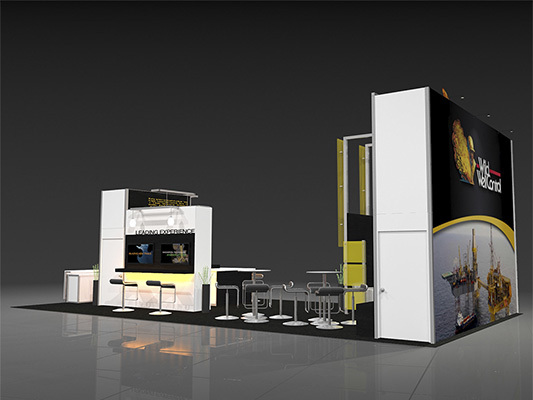 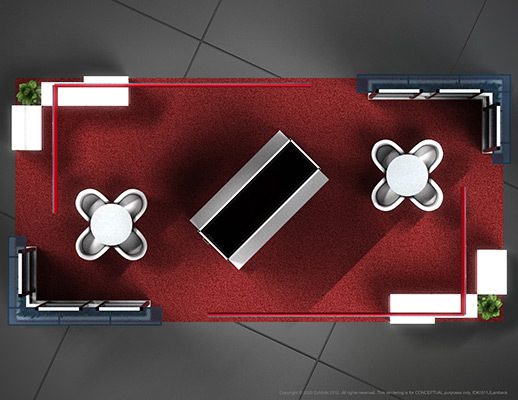 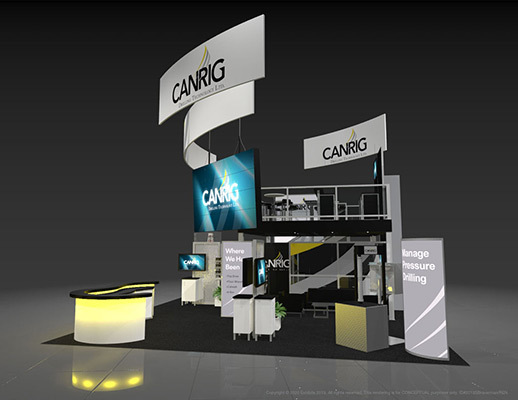 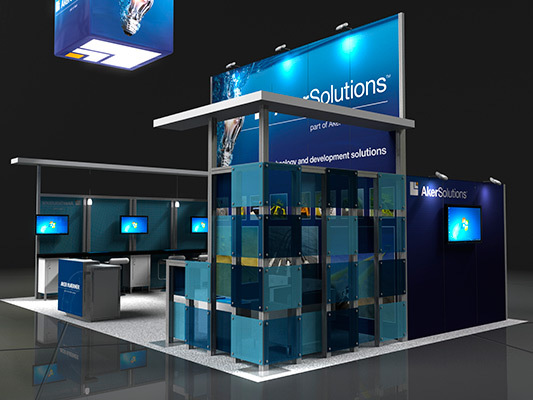 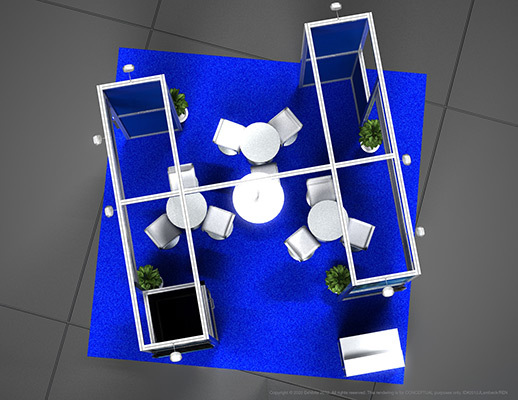 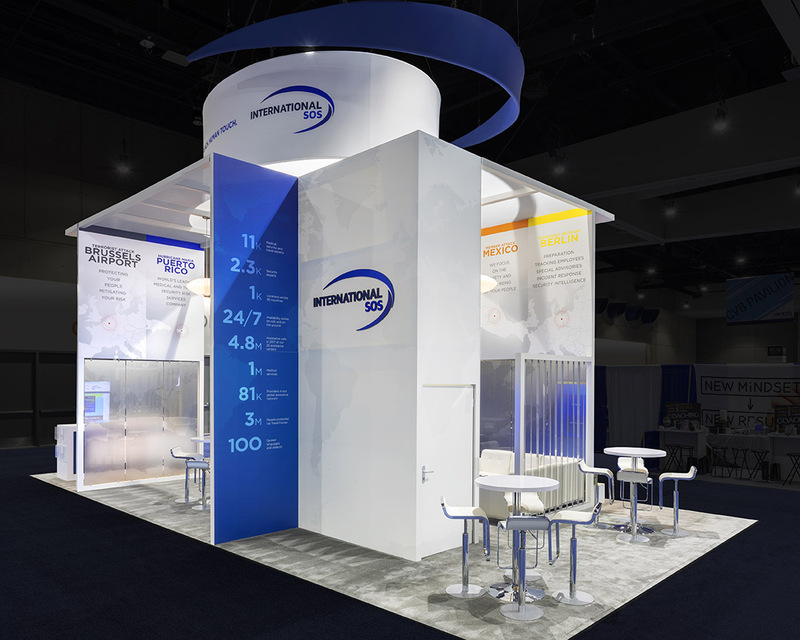 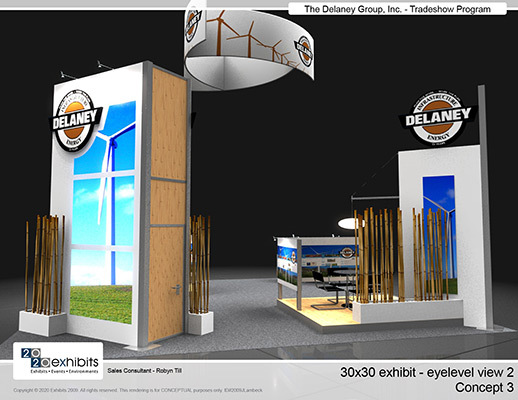 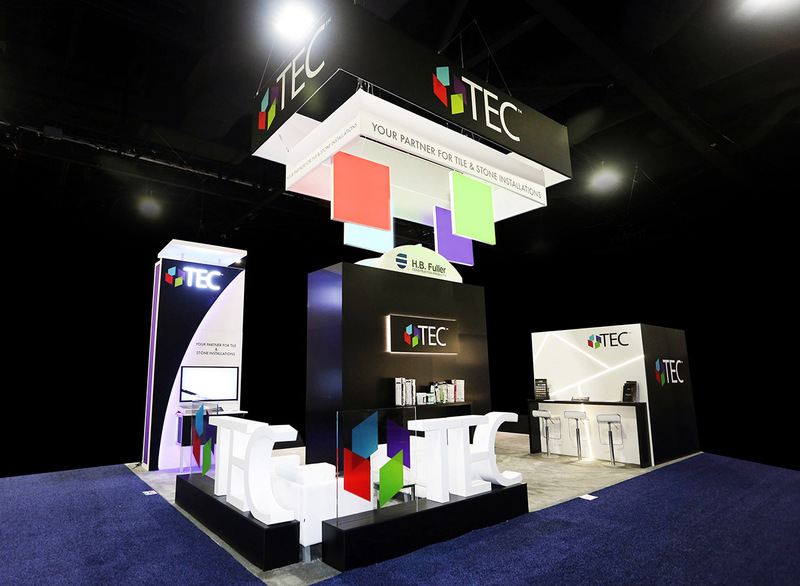 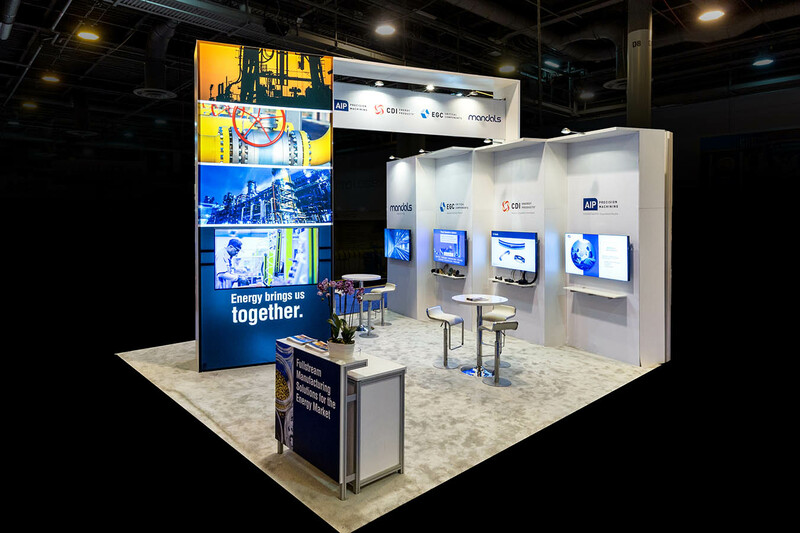 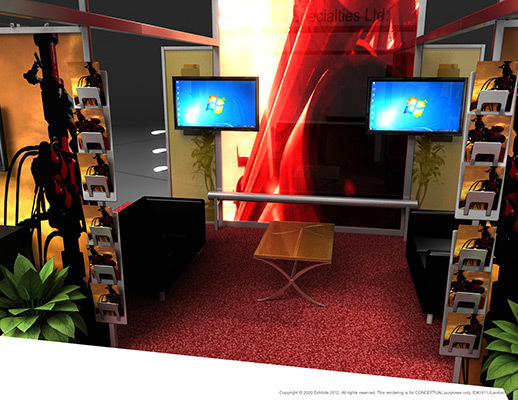 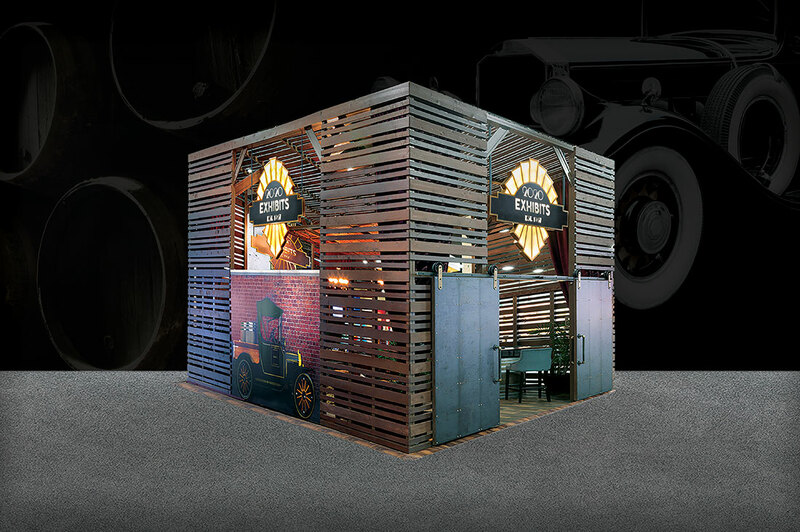 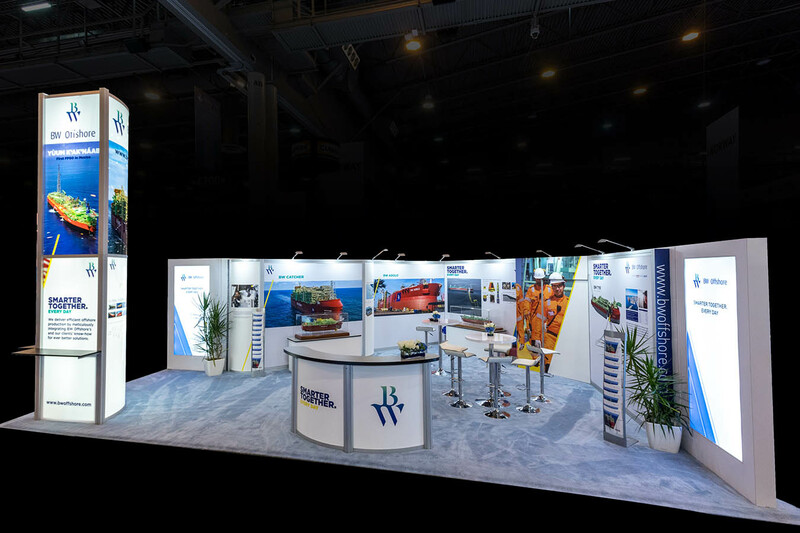 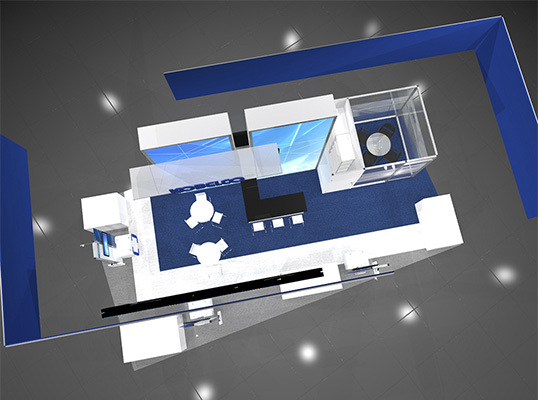 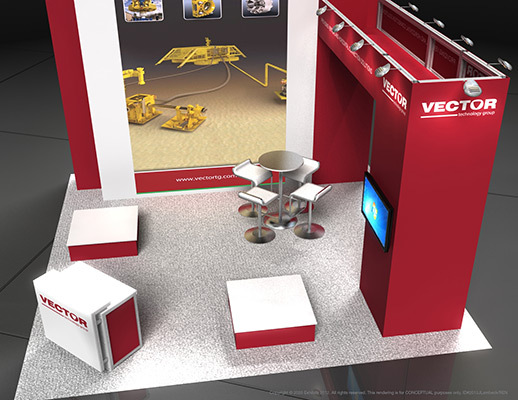 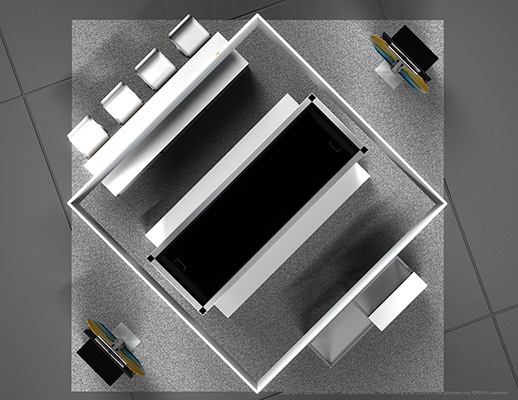 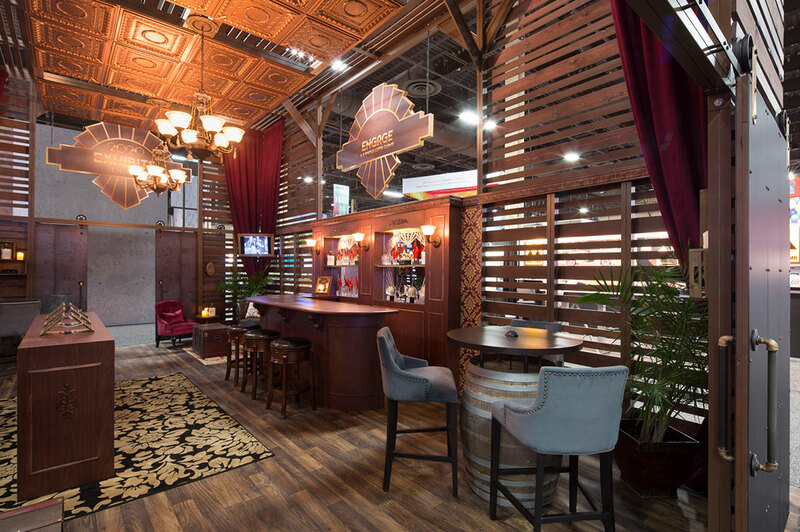 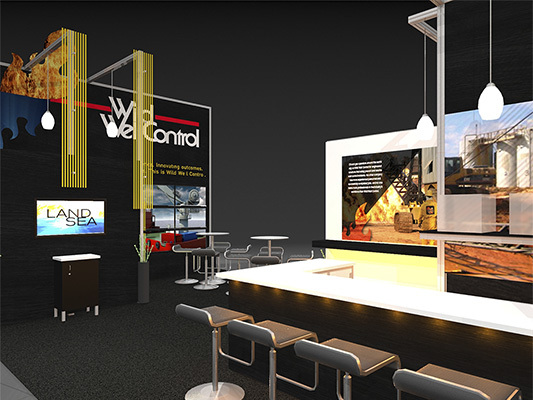 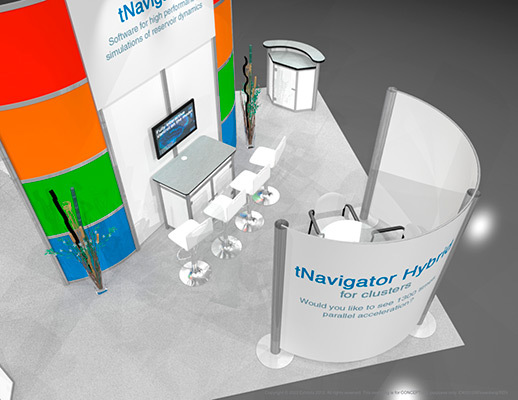 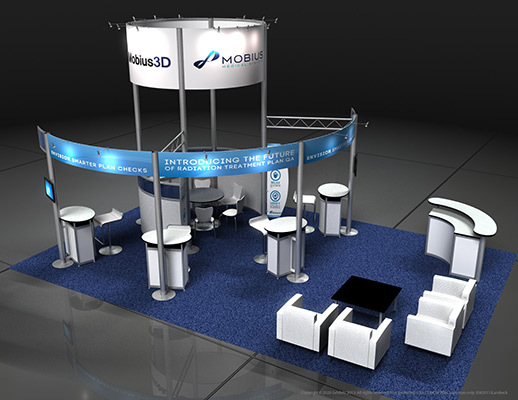 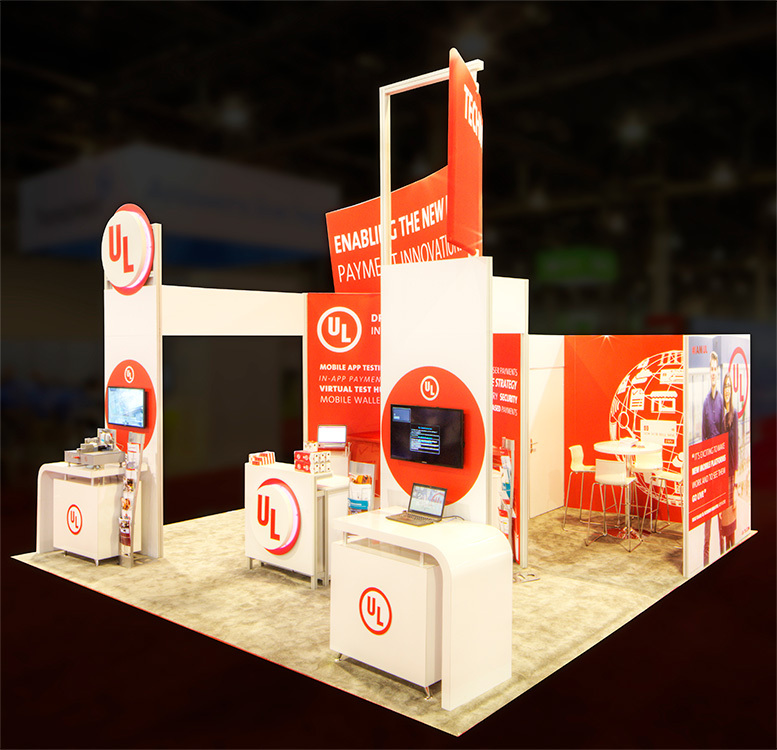 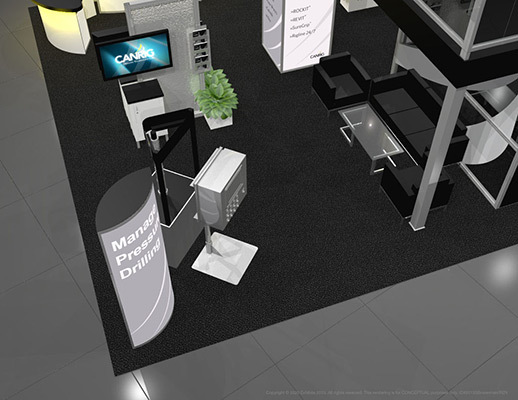 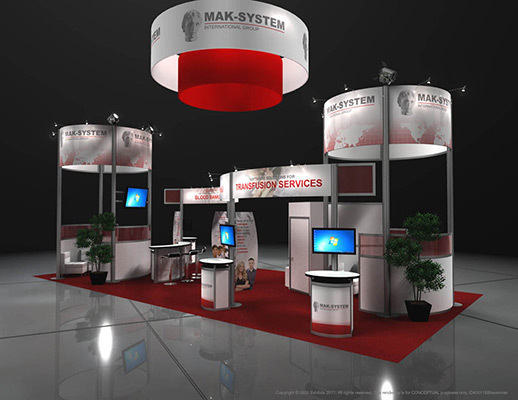 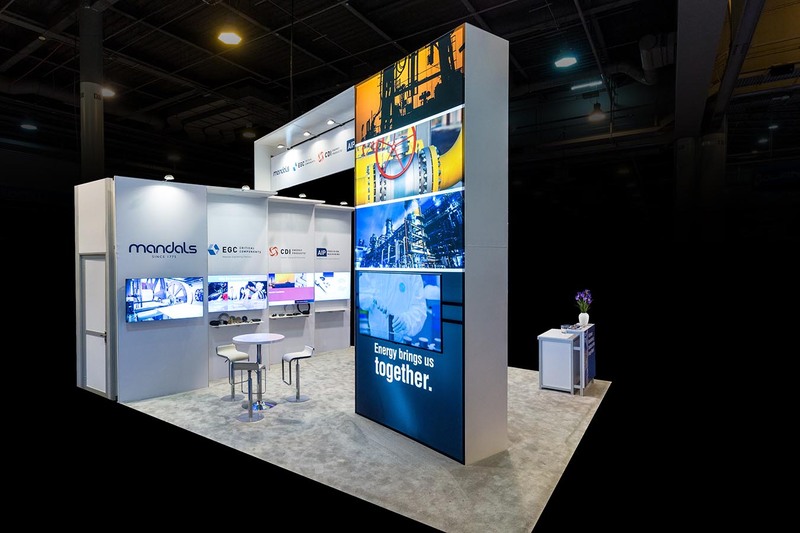 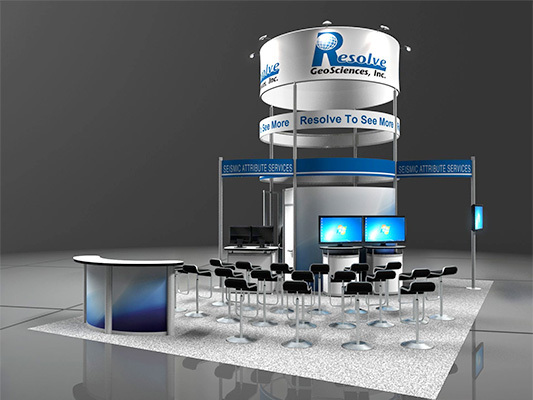 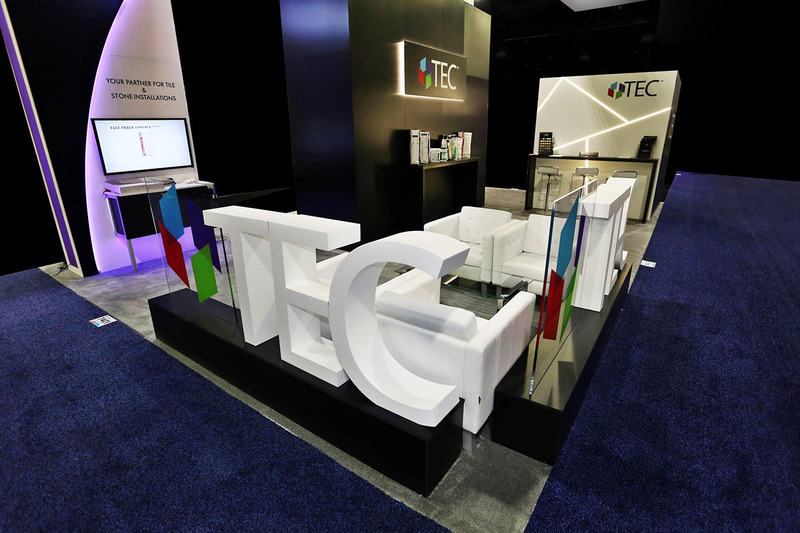 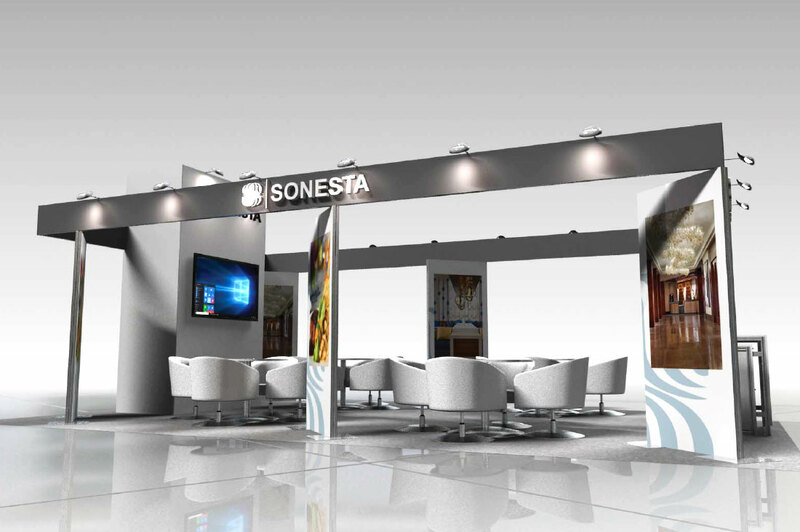 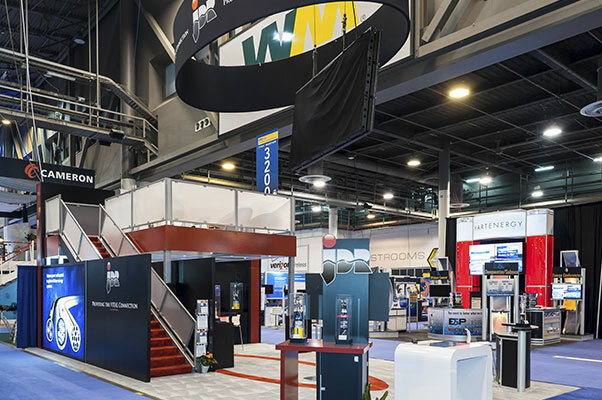 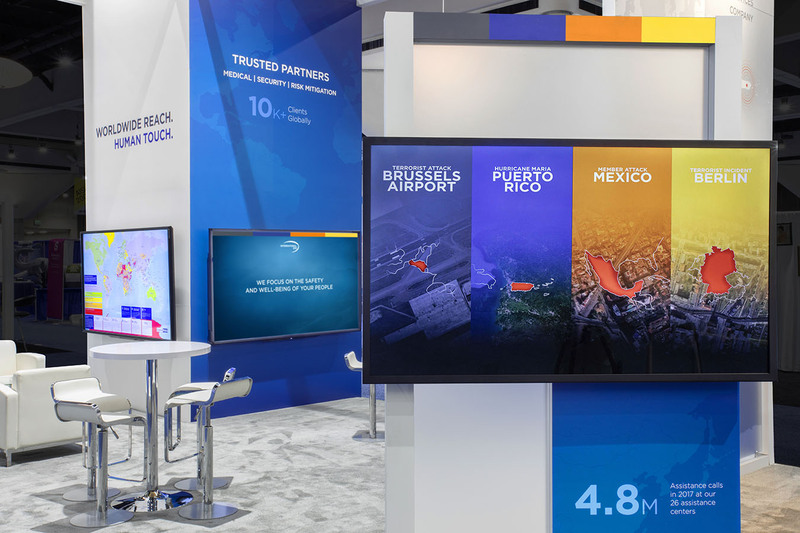 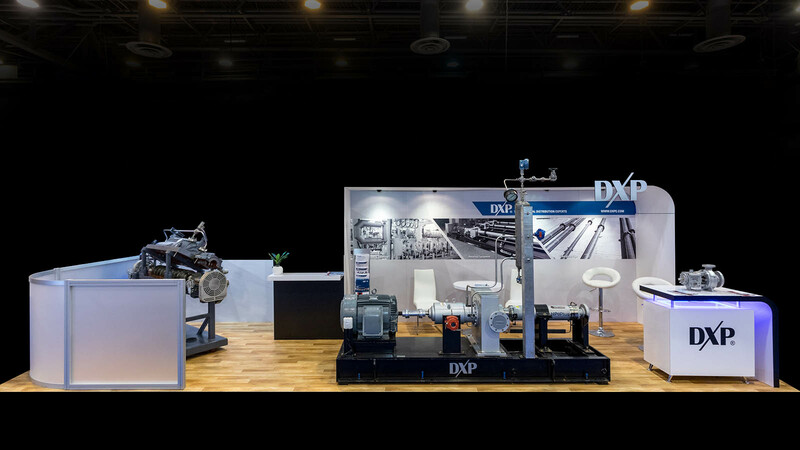 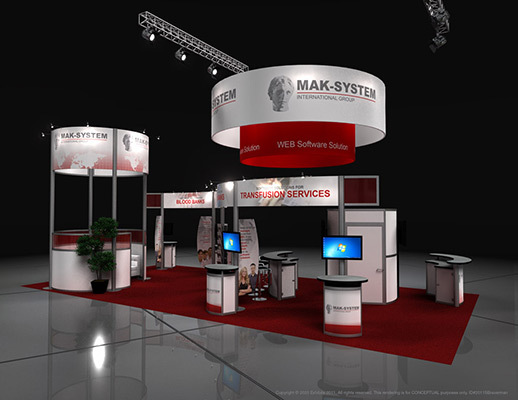 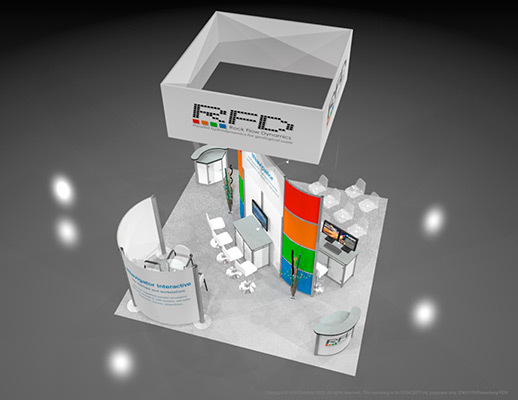 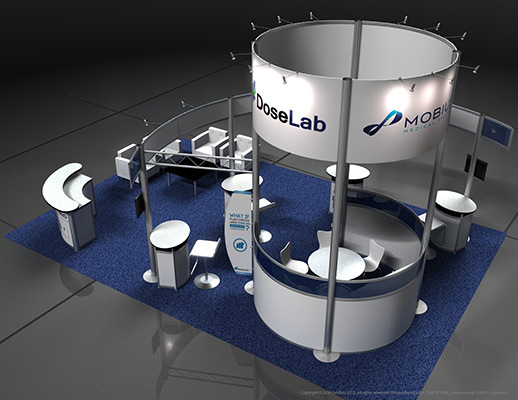 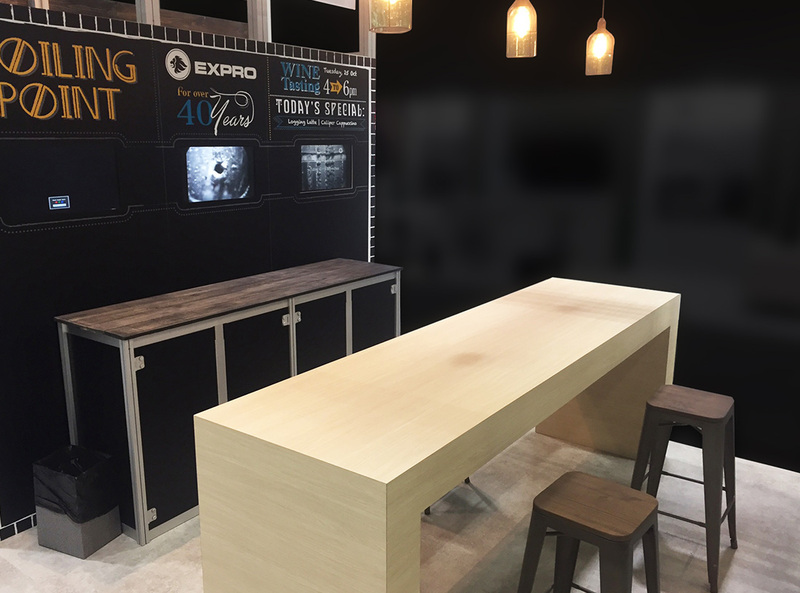 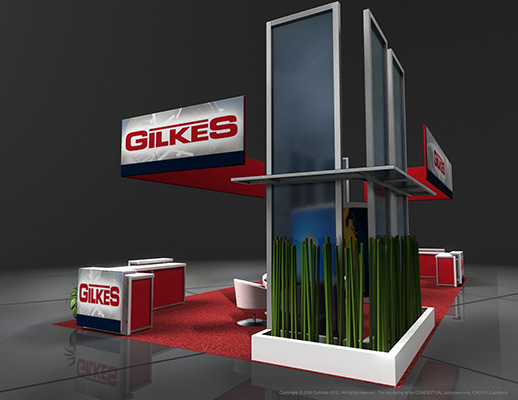 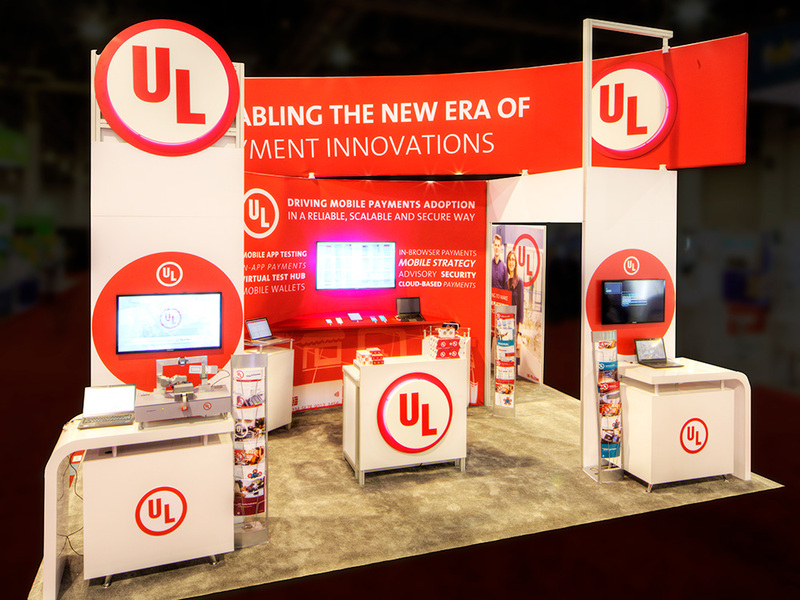 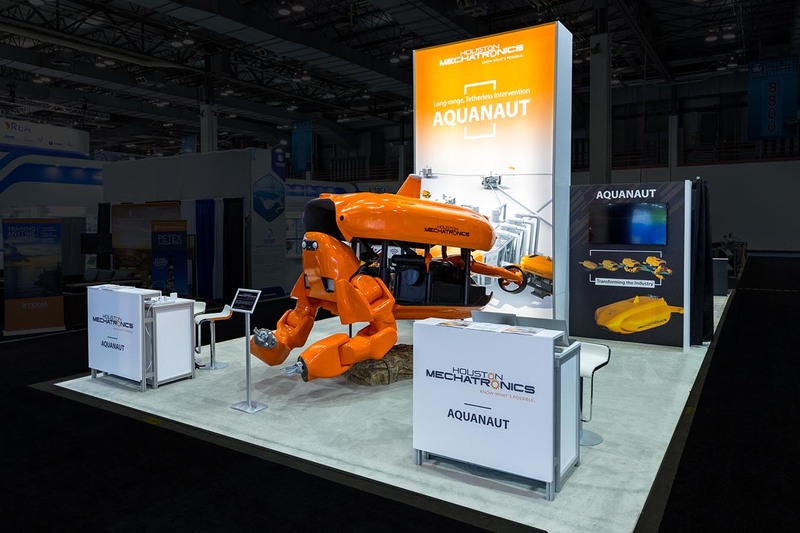 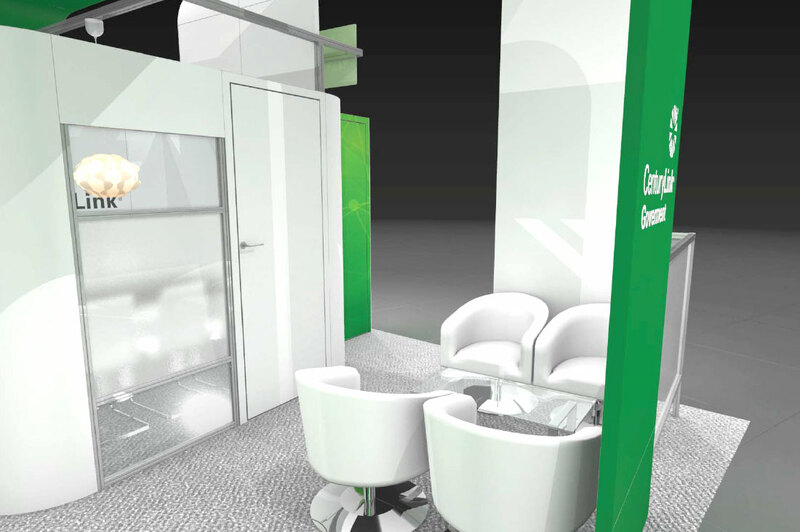 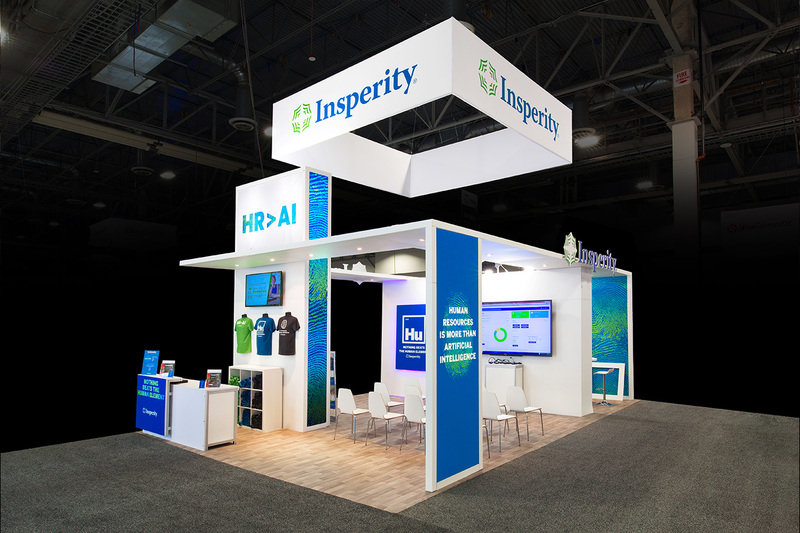 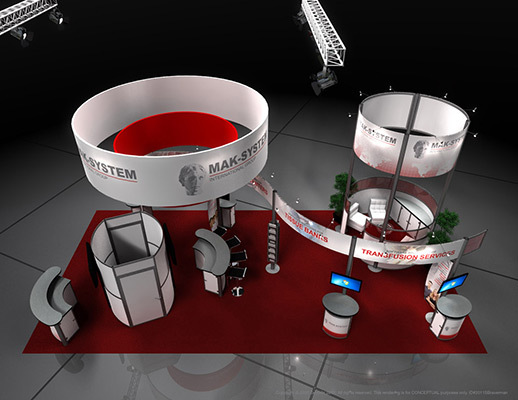 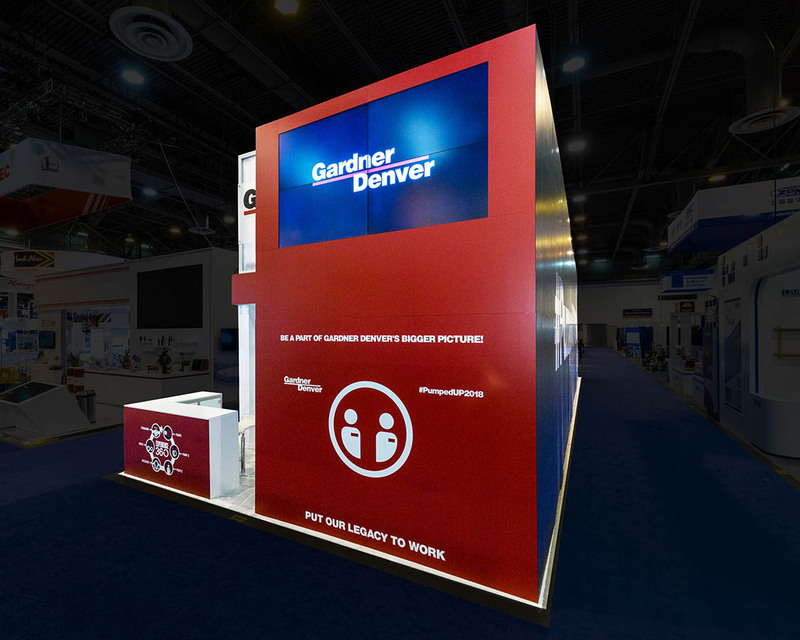 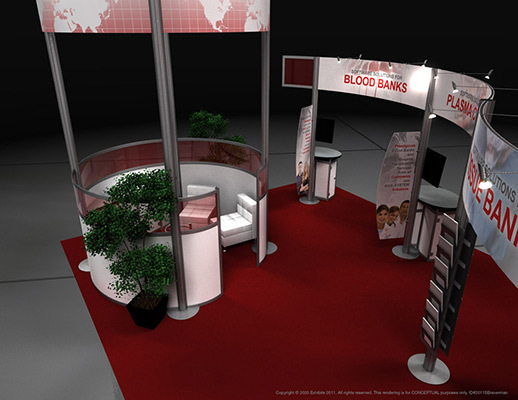 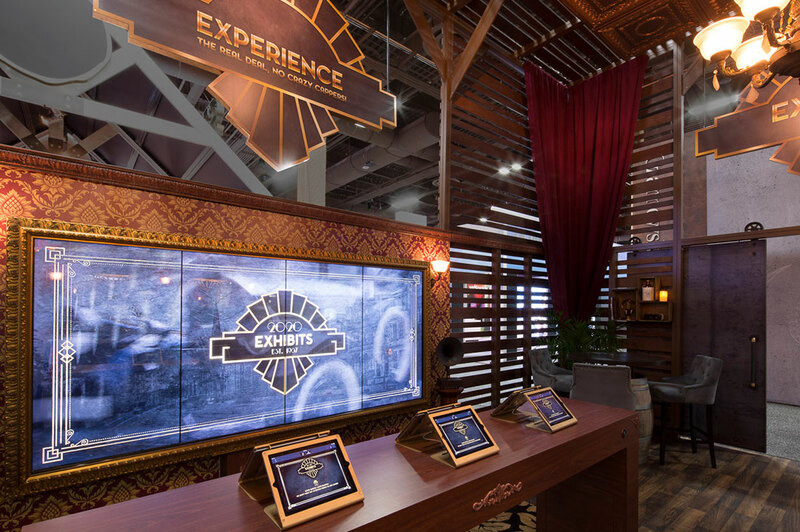 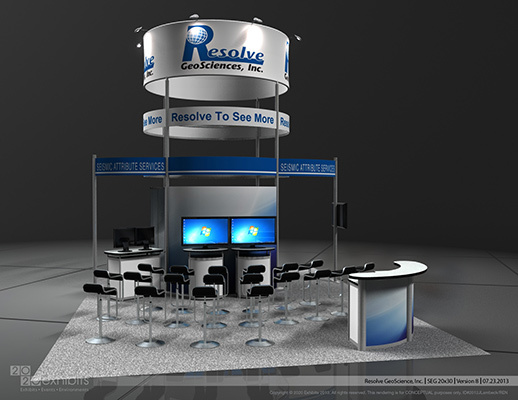 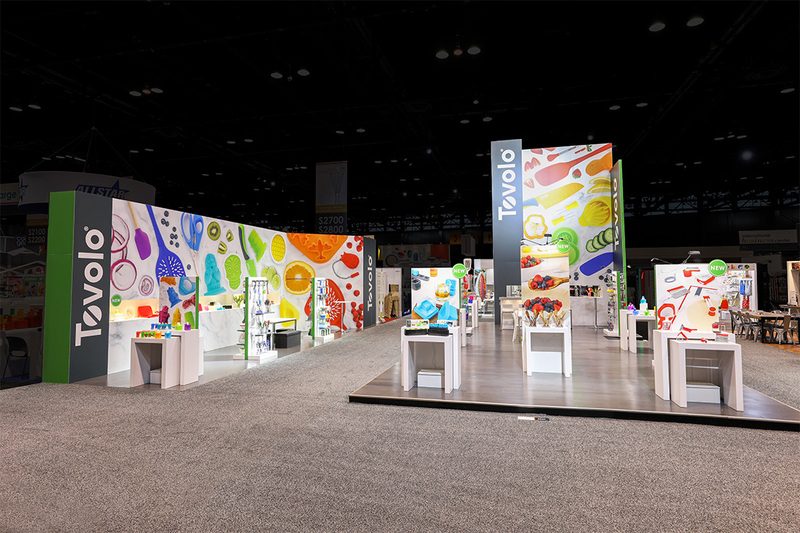 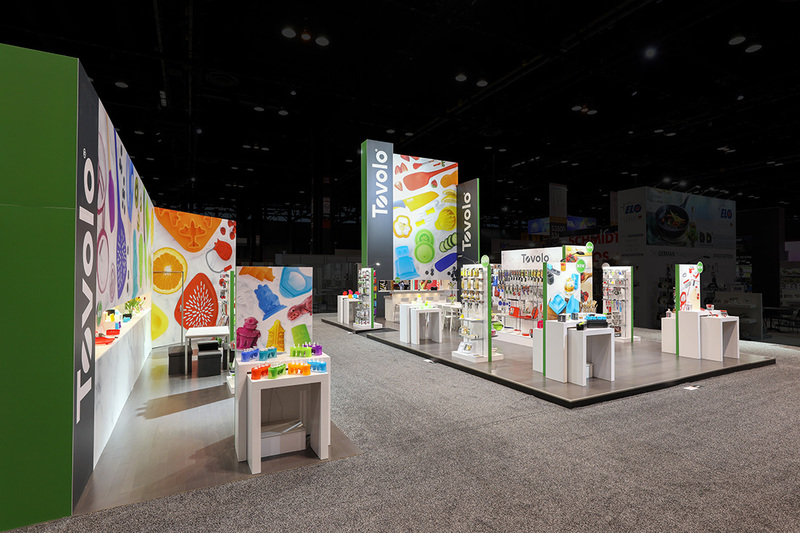 Maximizing all available angles and lines of sight, the space includes comfortable, accommodating areas for reception, hospitality, conversation and informal meetings all while maintaining openness for booth traffic to flow through the exhibit. 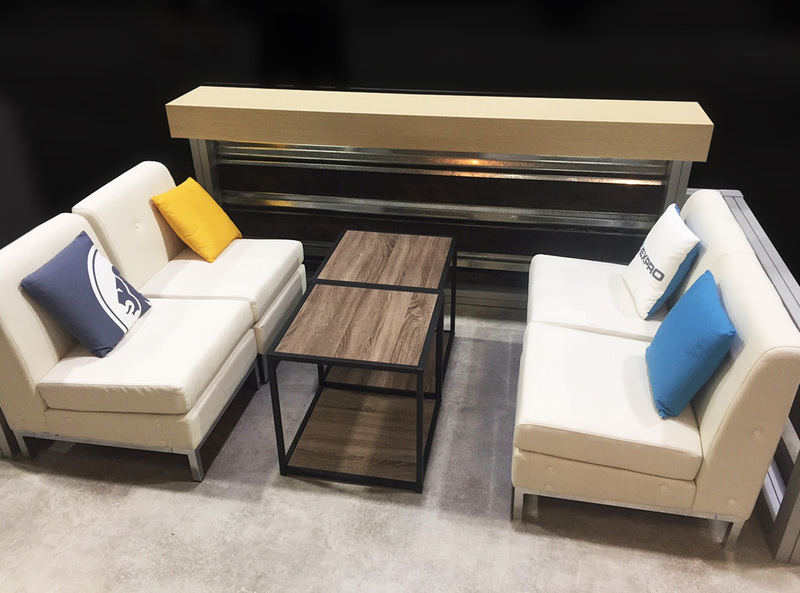 Color scheme is soft and easy on the eyes. 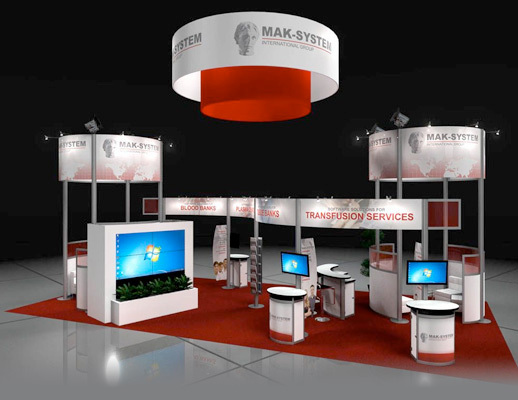 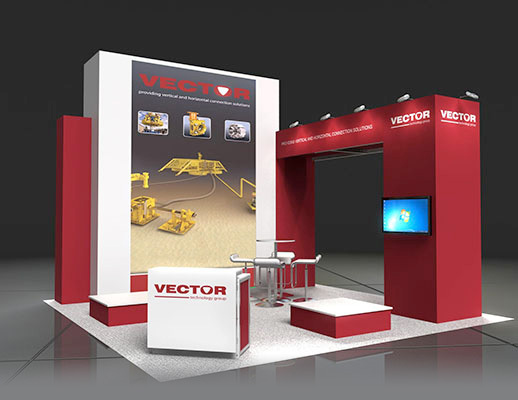 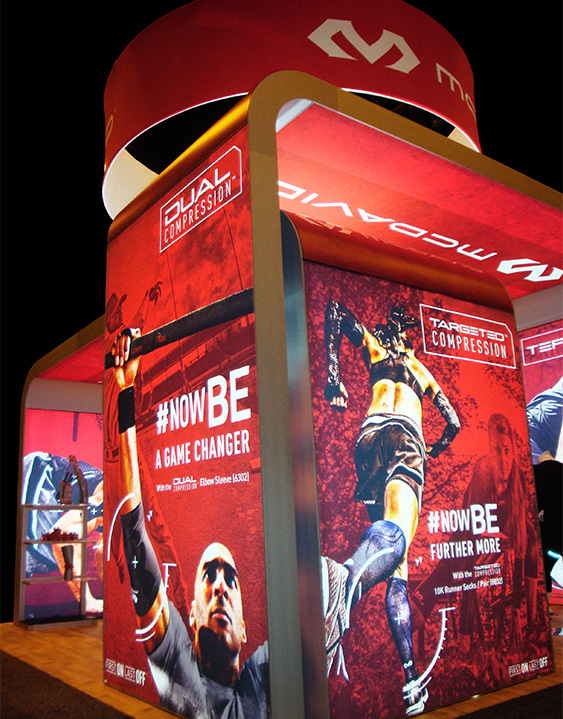 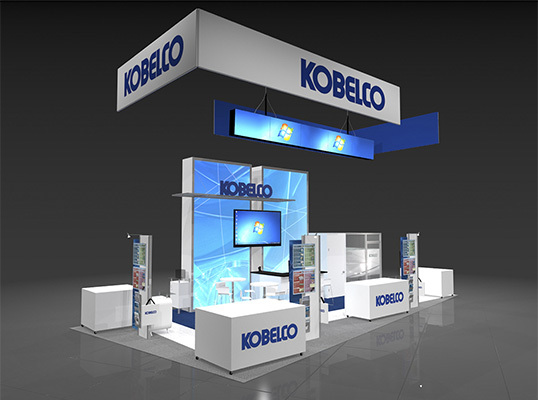 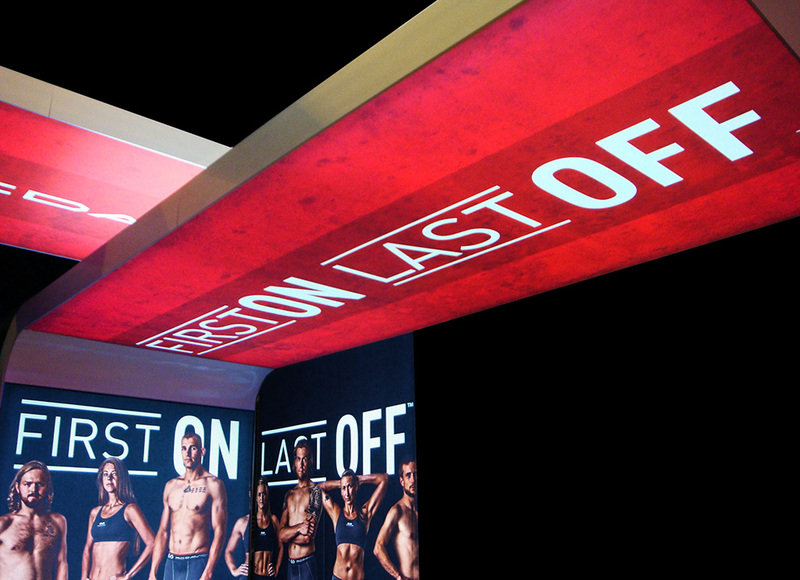 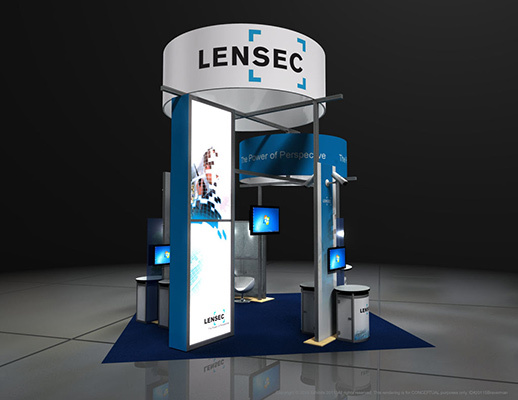 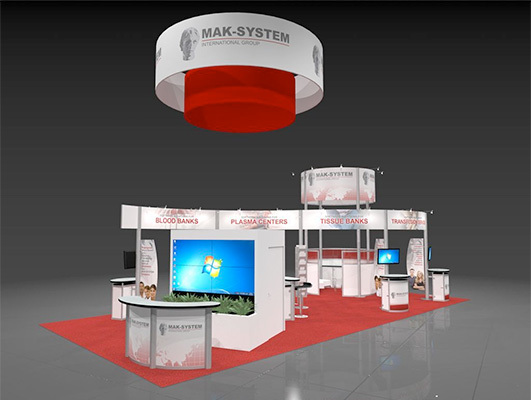 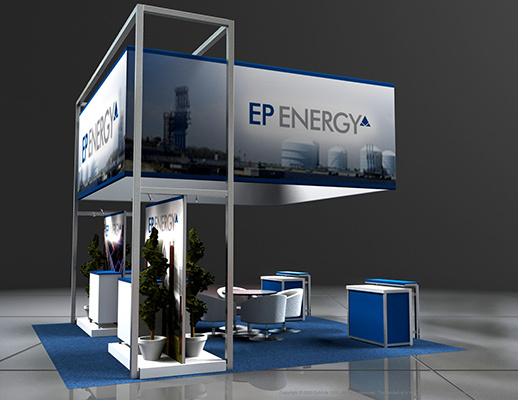 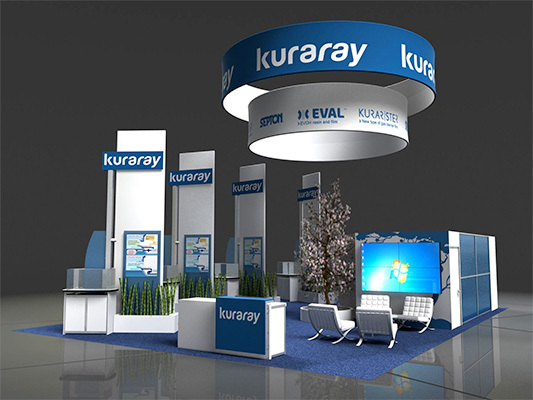 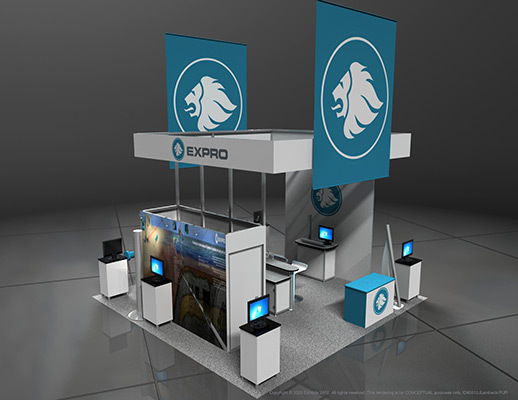 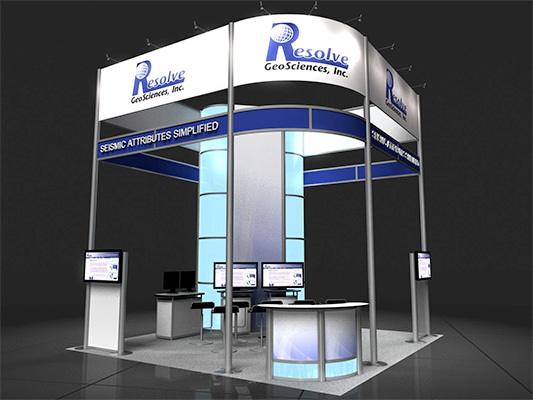 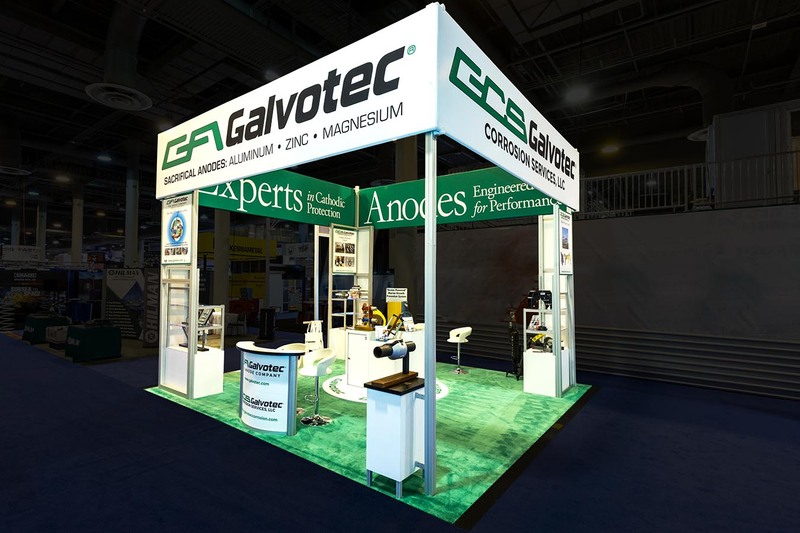 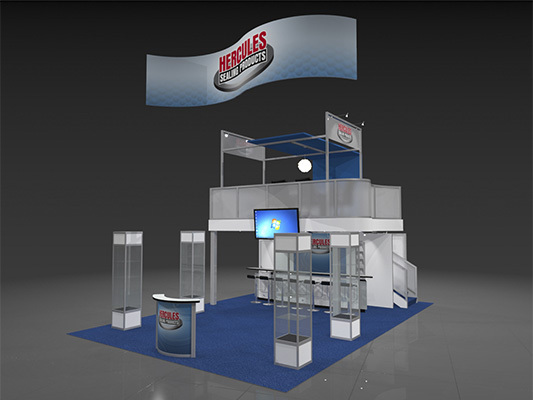 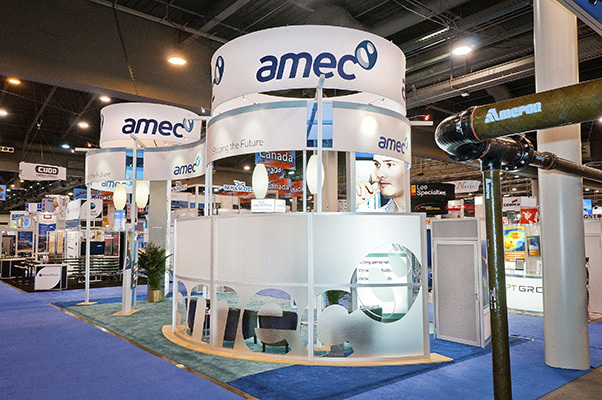 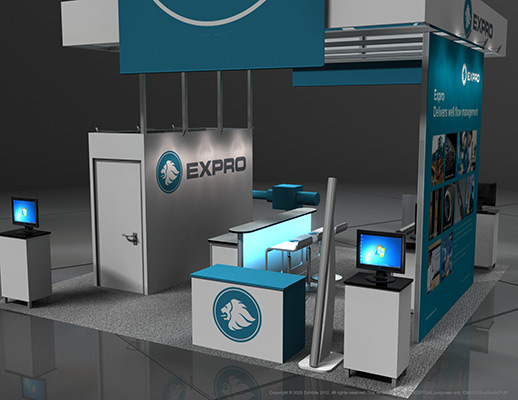 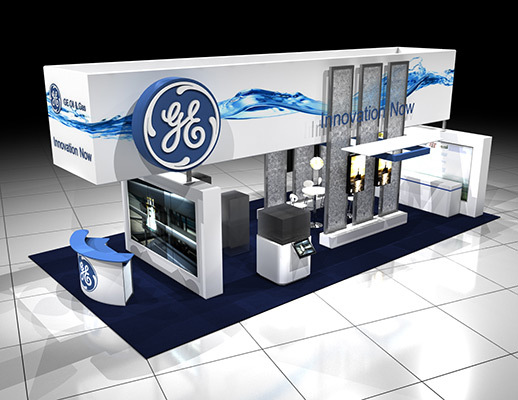 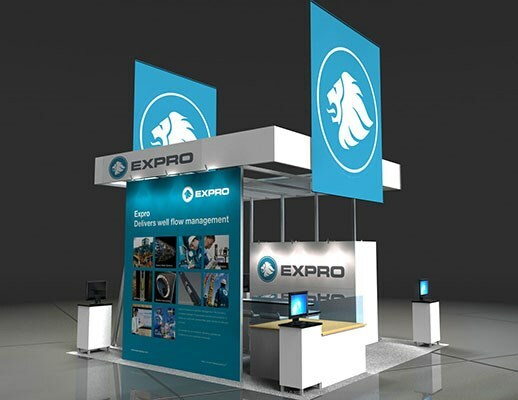 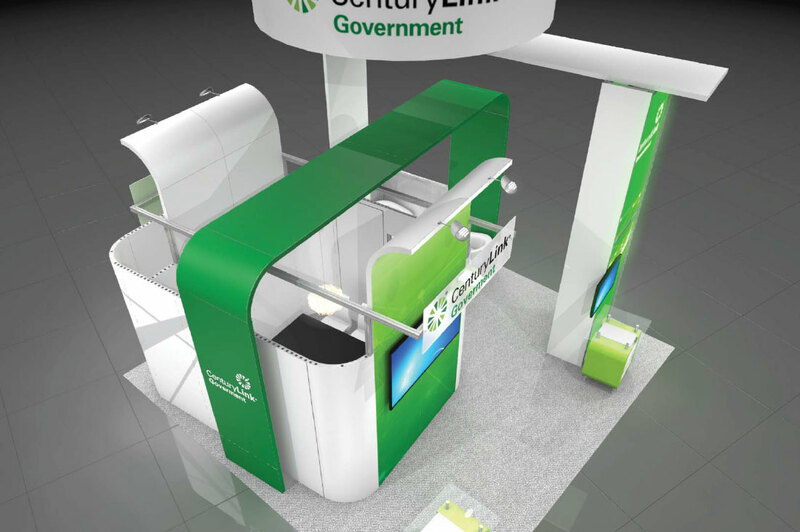 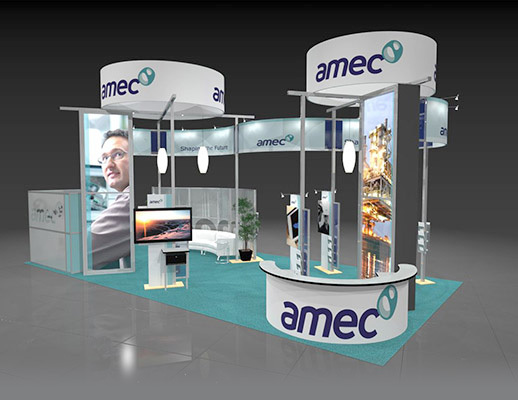 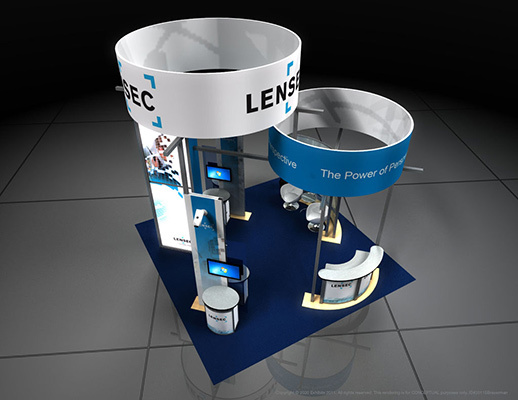 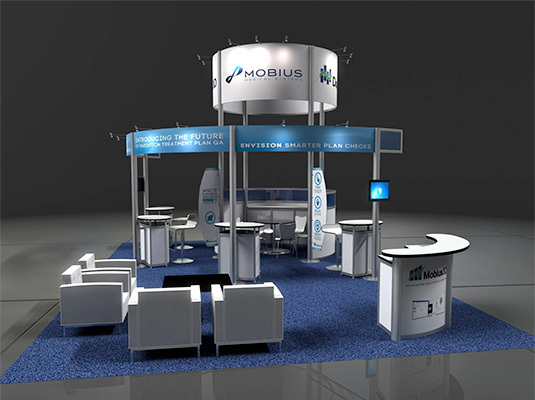 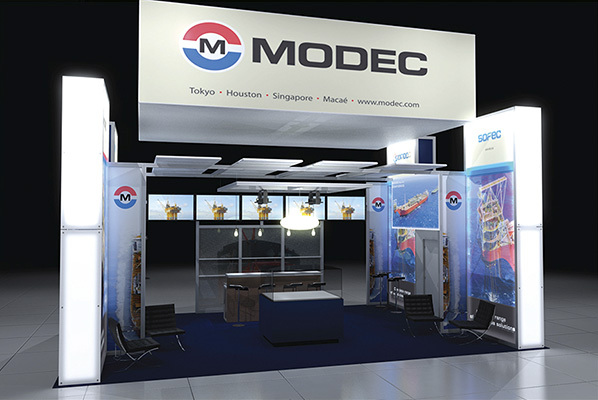 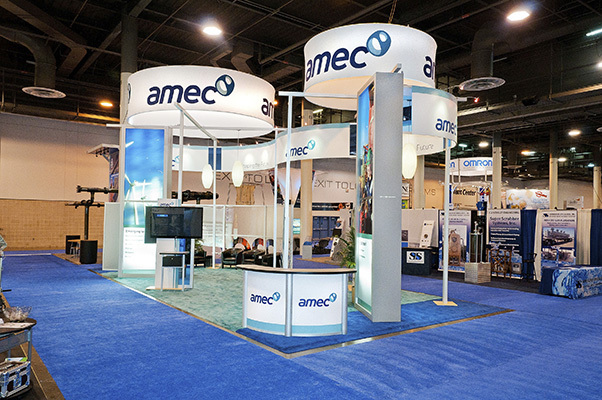 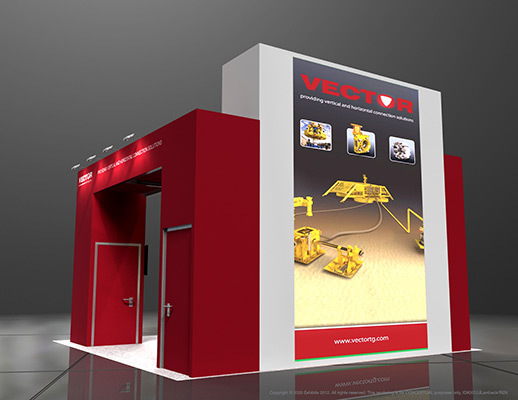 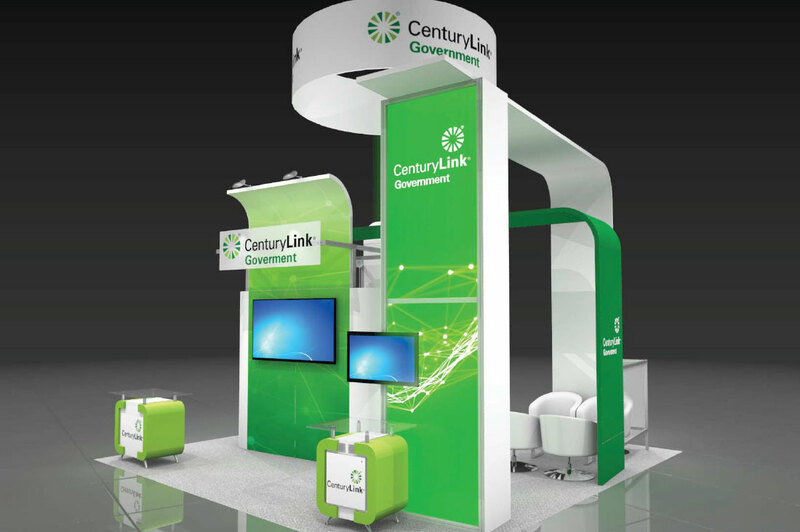 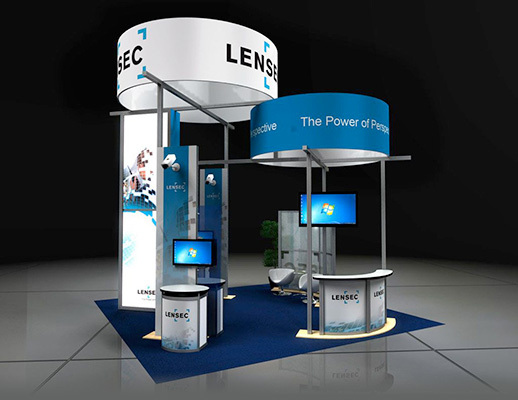 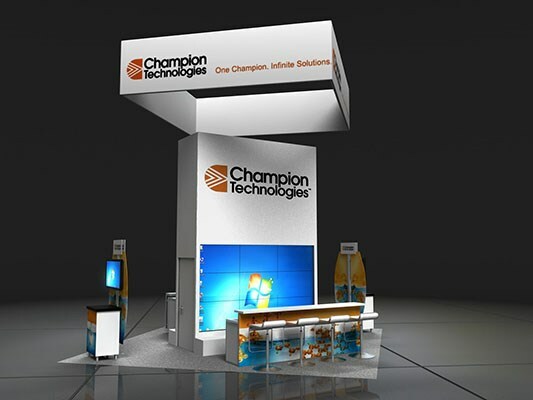 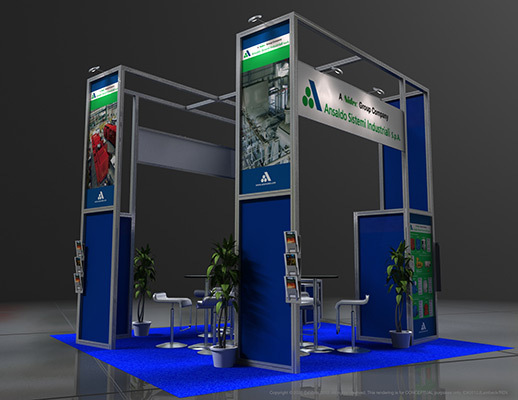 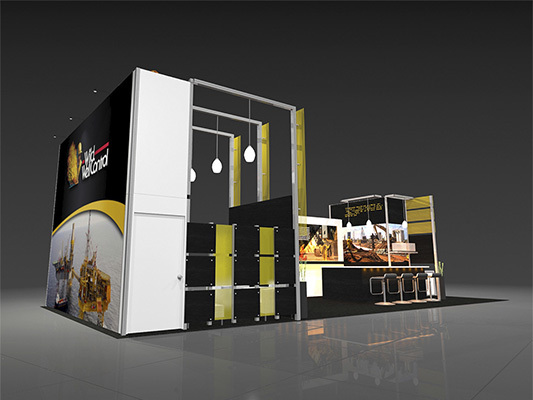 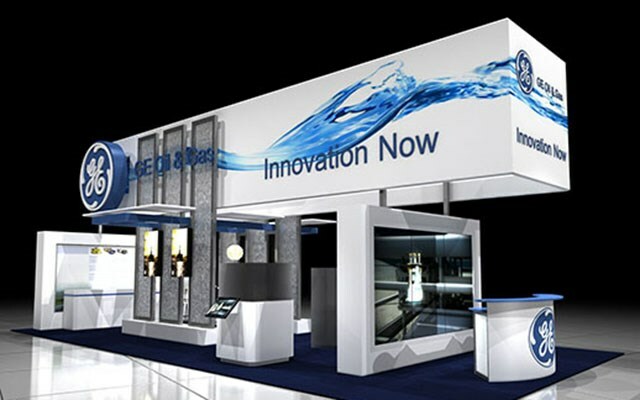 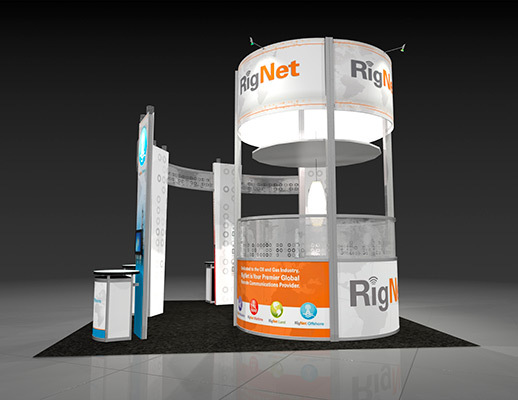 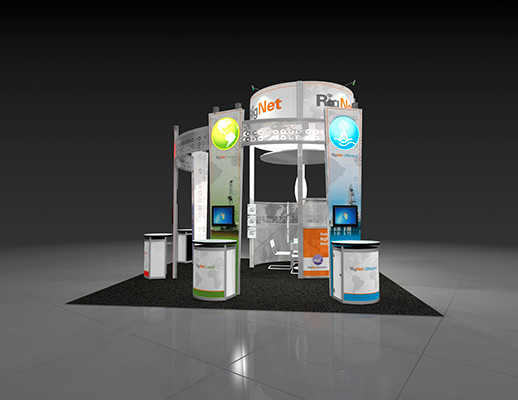 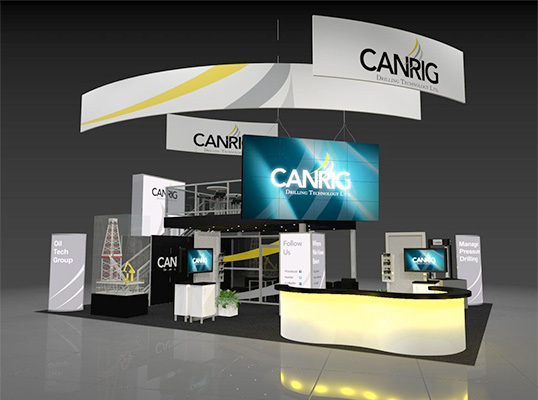 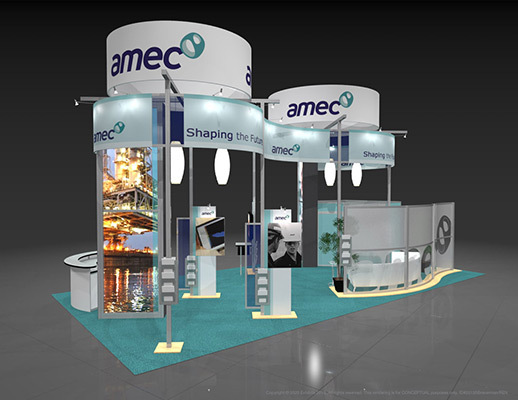 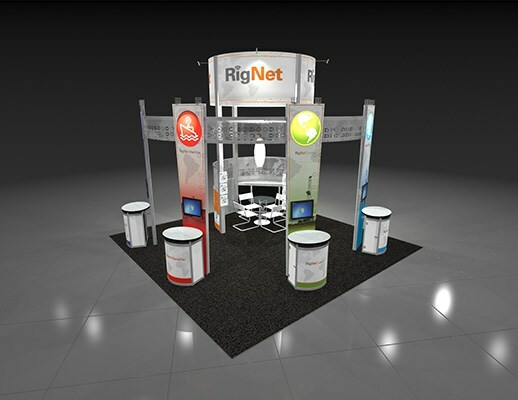 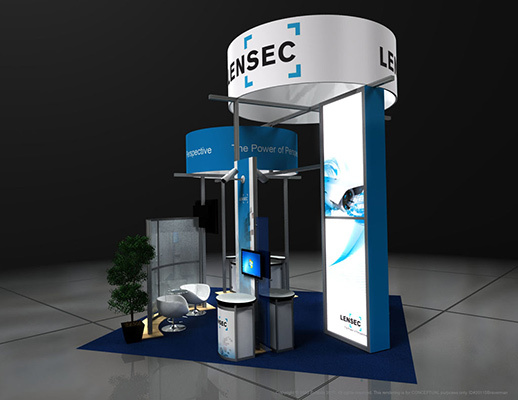 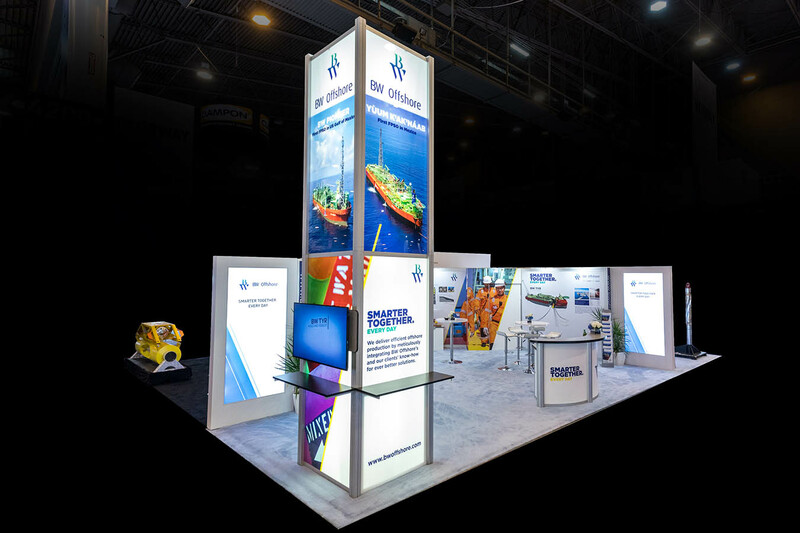 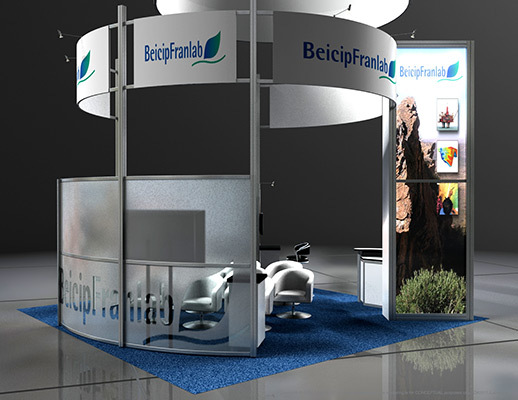 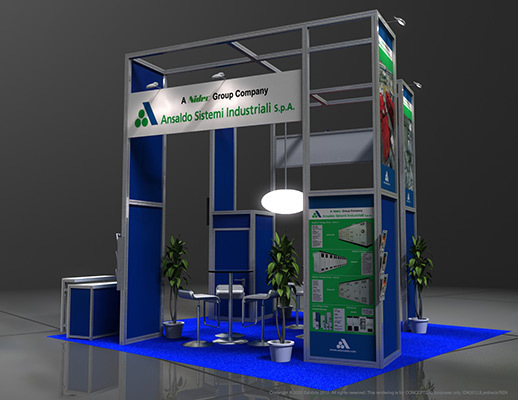 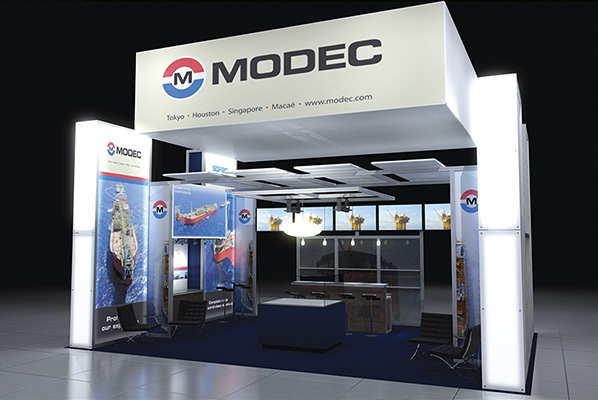 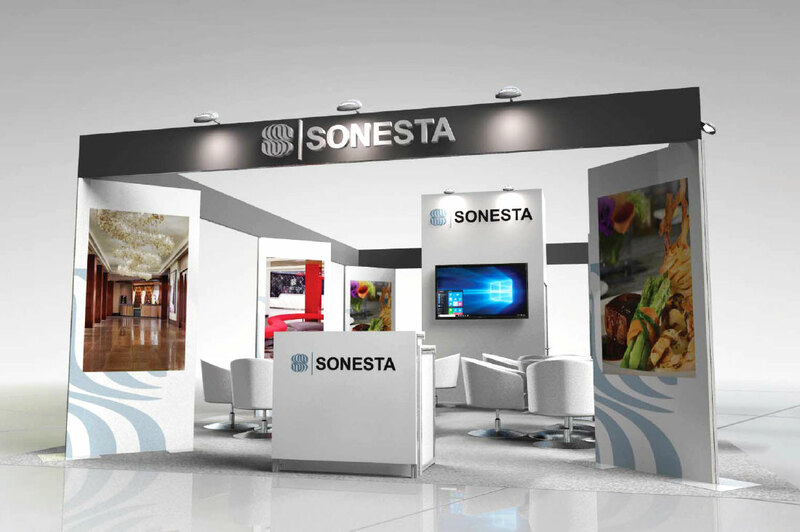 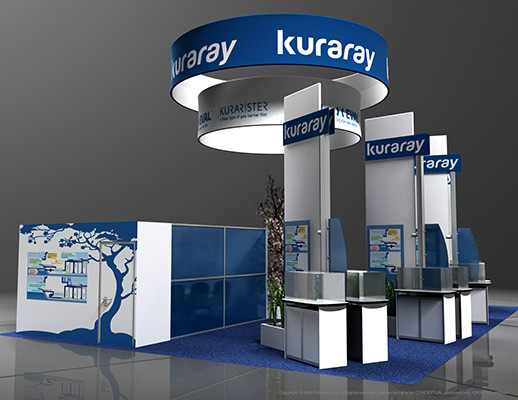 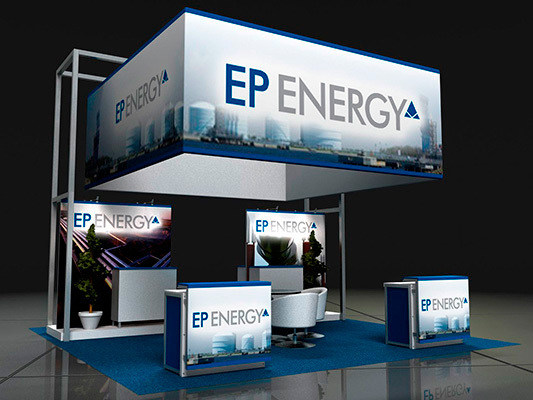 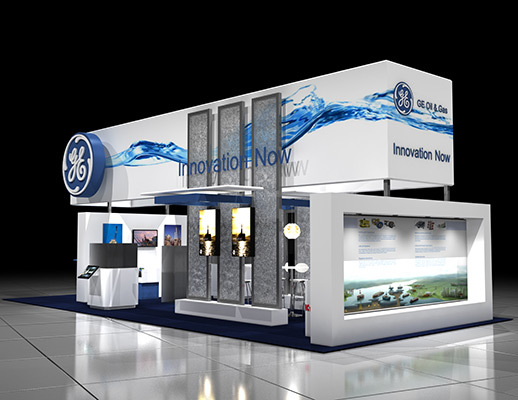 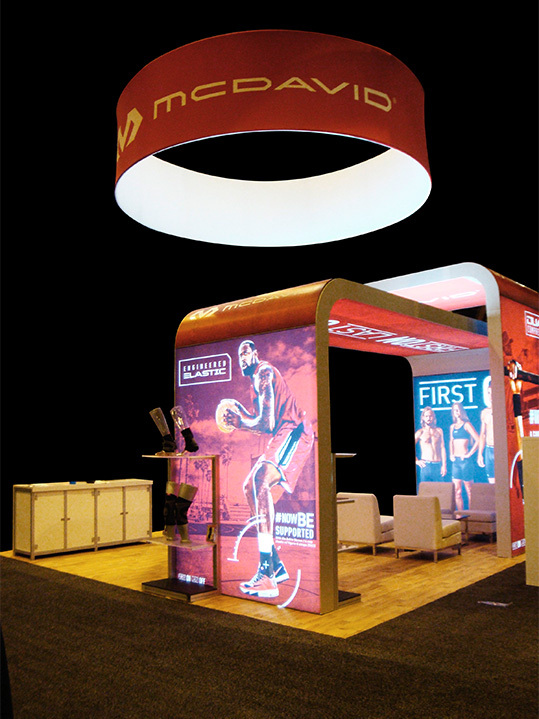 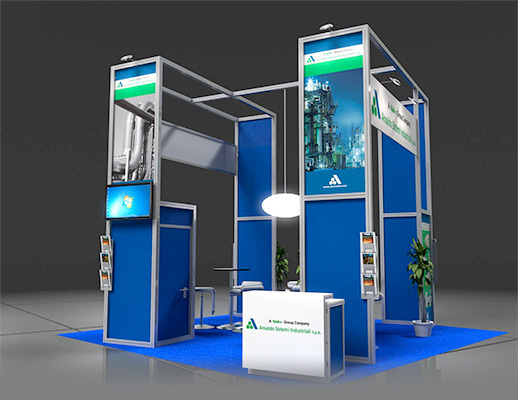 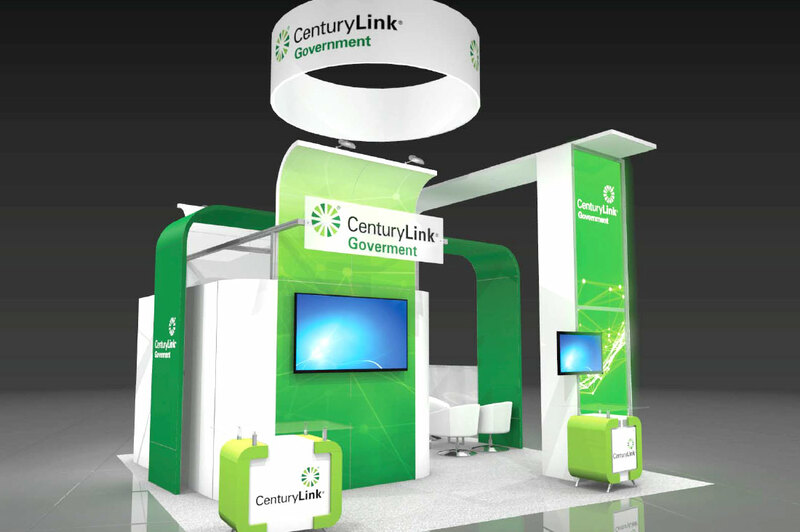 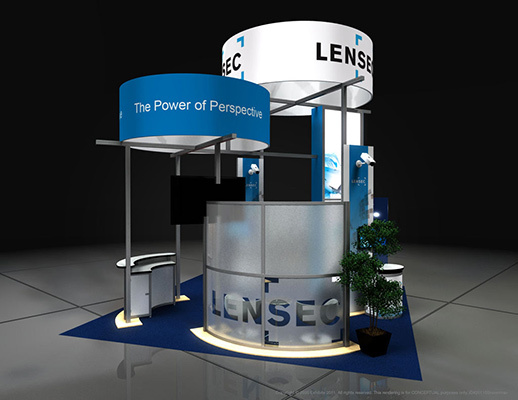 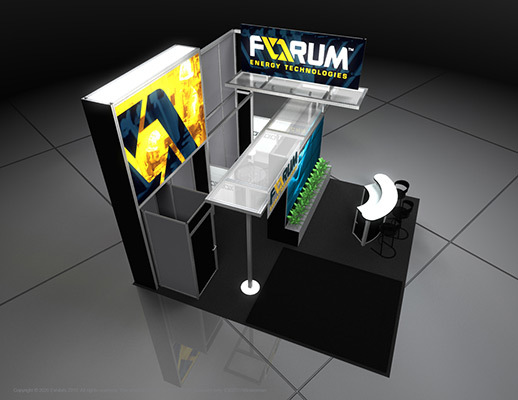 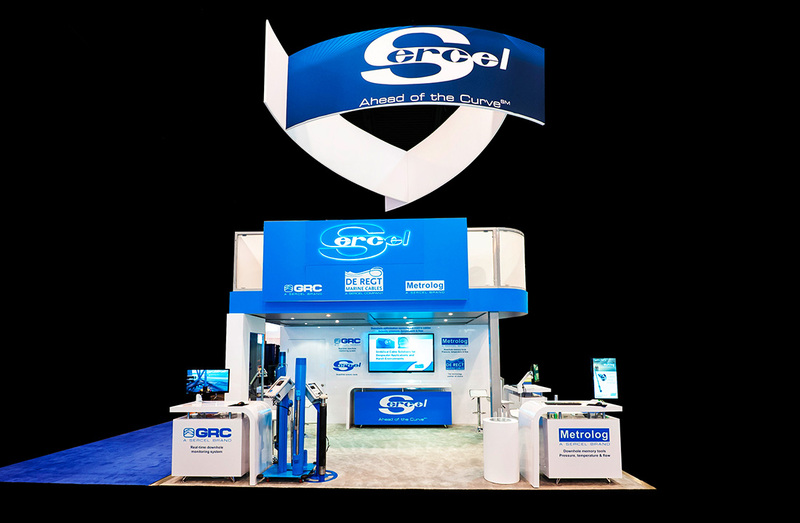 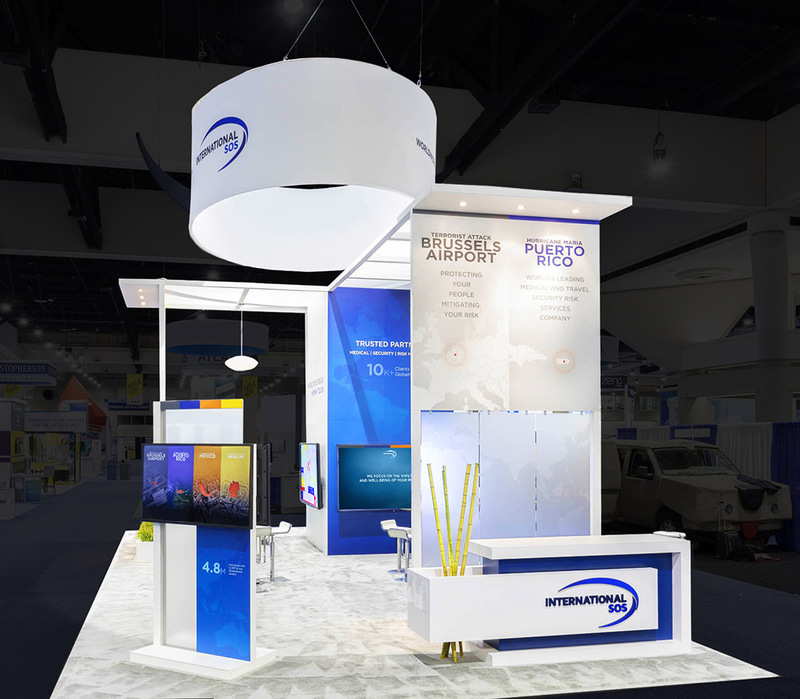 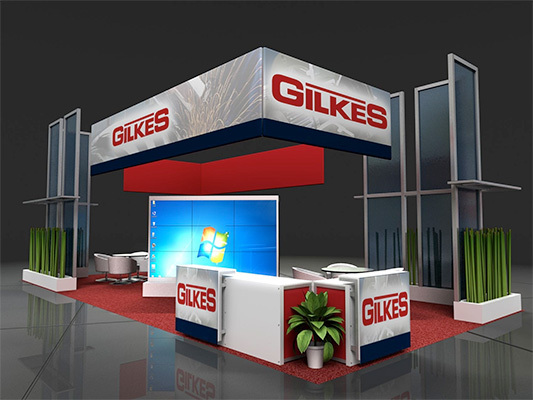 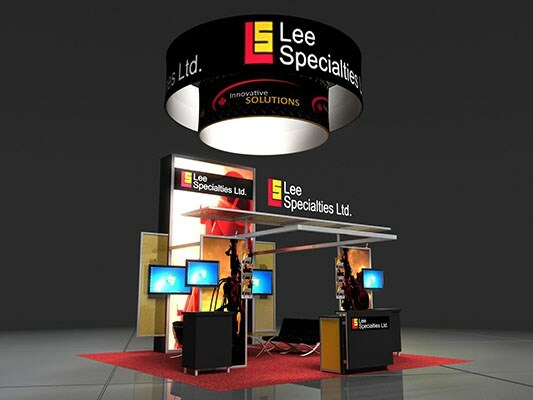 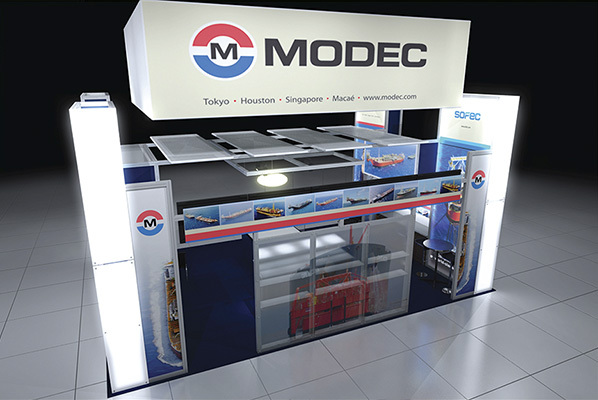 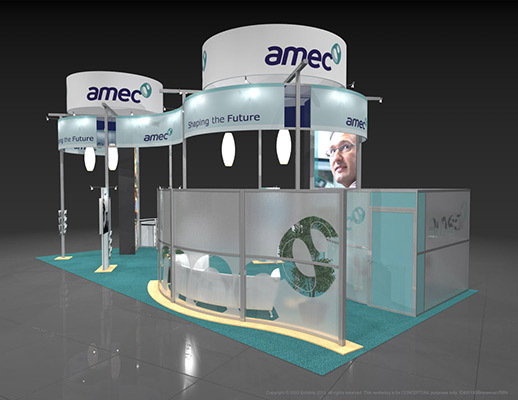 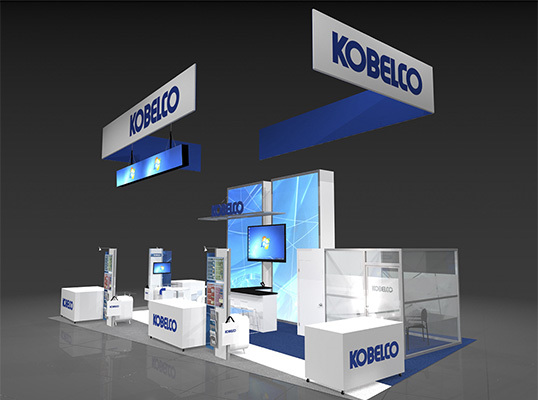 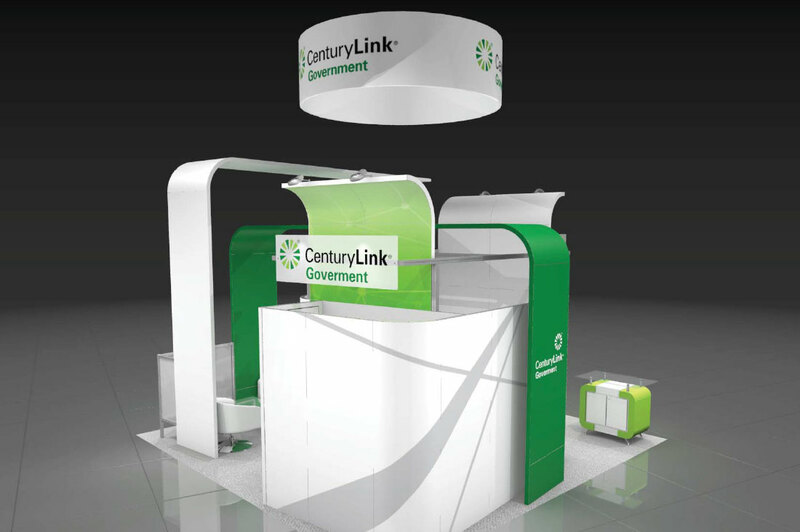 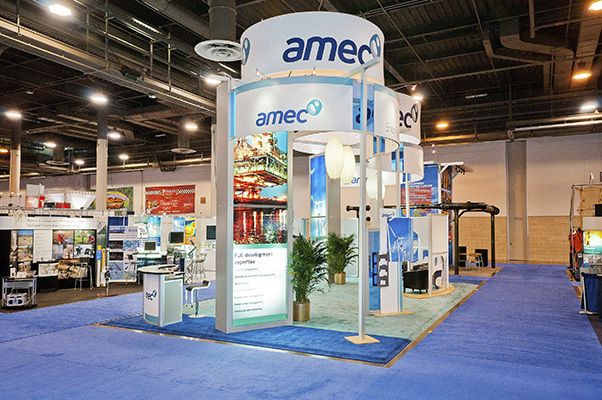 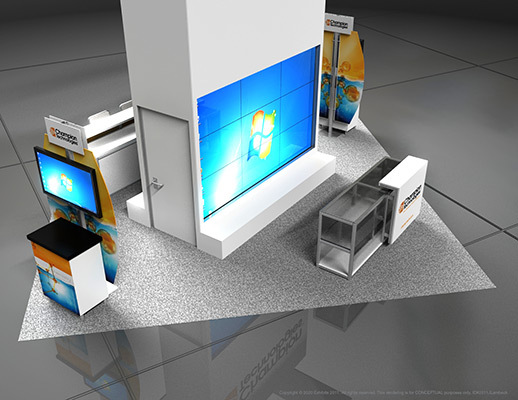 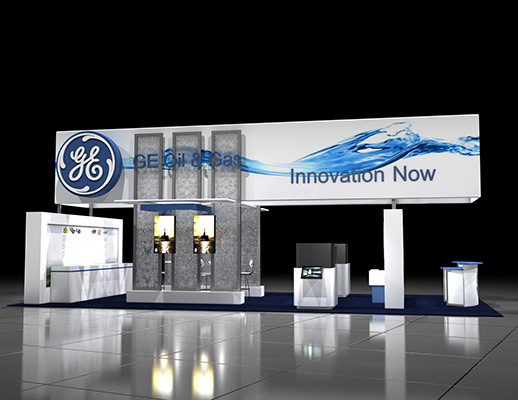 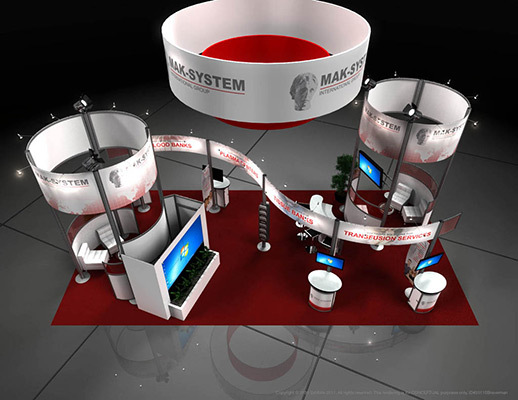 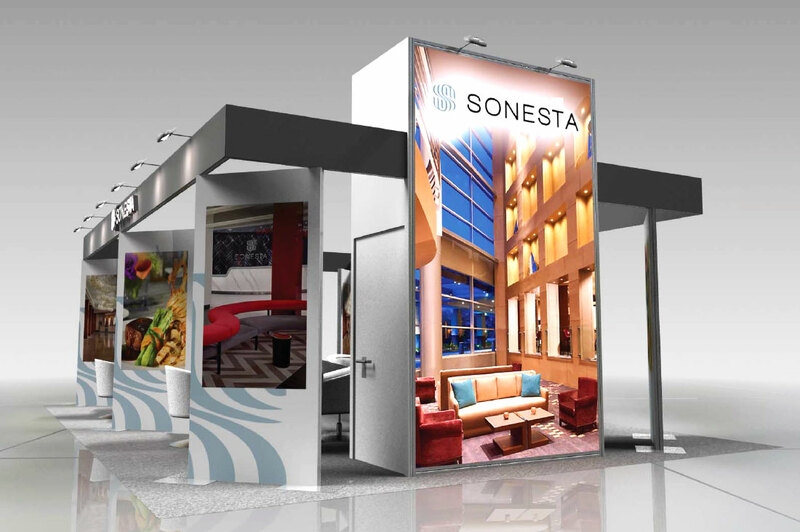 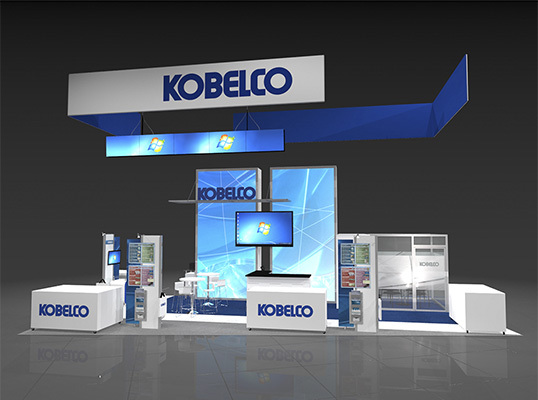 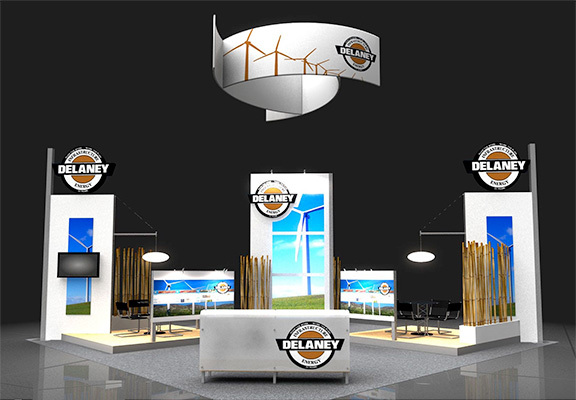 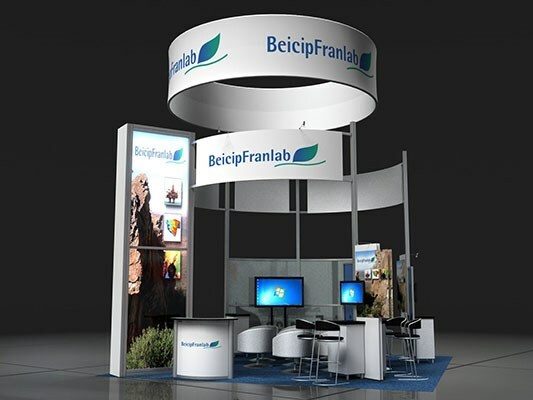 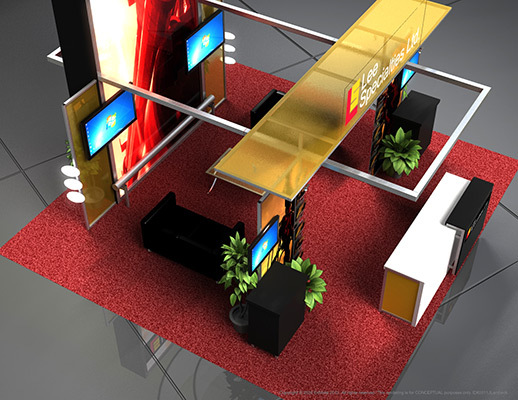 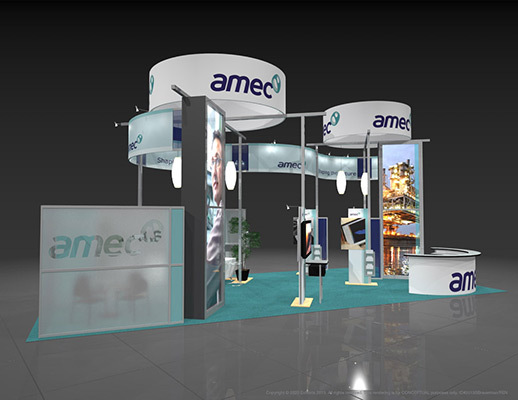 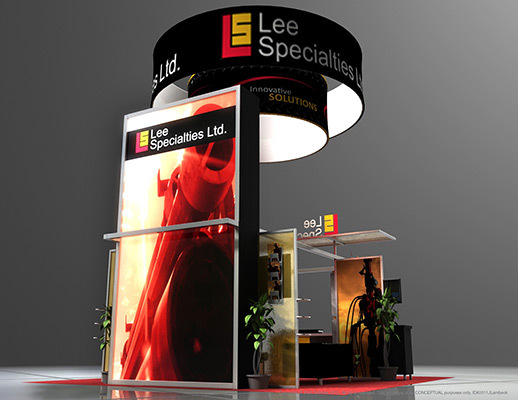 Features include: dual overhead graphic logo signs, curved overhead graphic banners, tall graphic banners, banner stands, video monitor kiosks, private meeting areas, cushioned seating, open seating area, reception area, literature displays, overhead lighting and carpeted inlay.